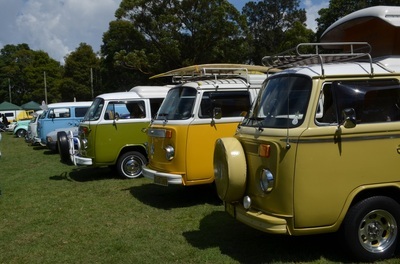 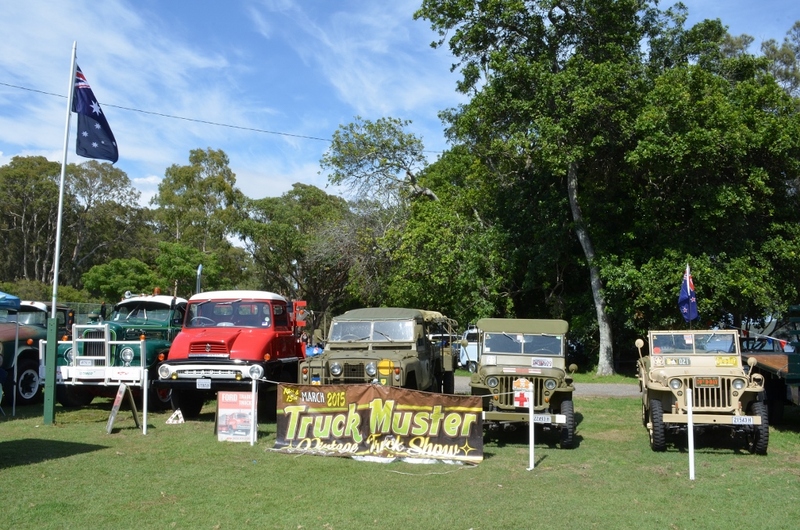 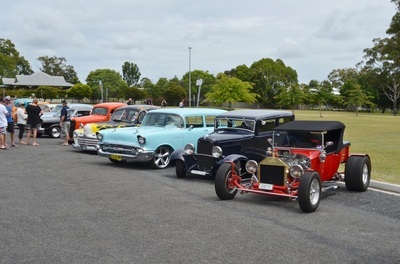 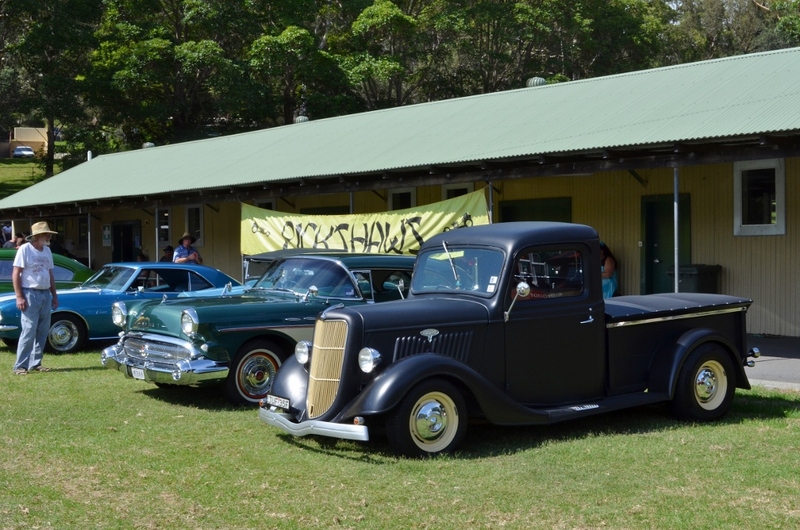 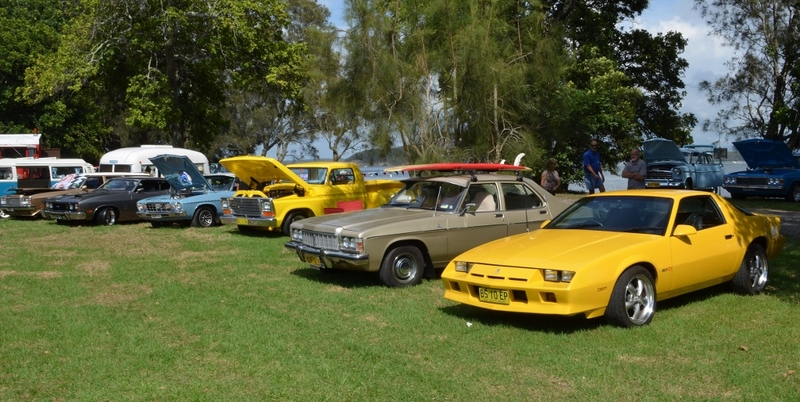 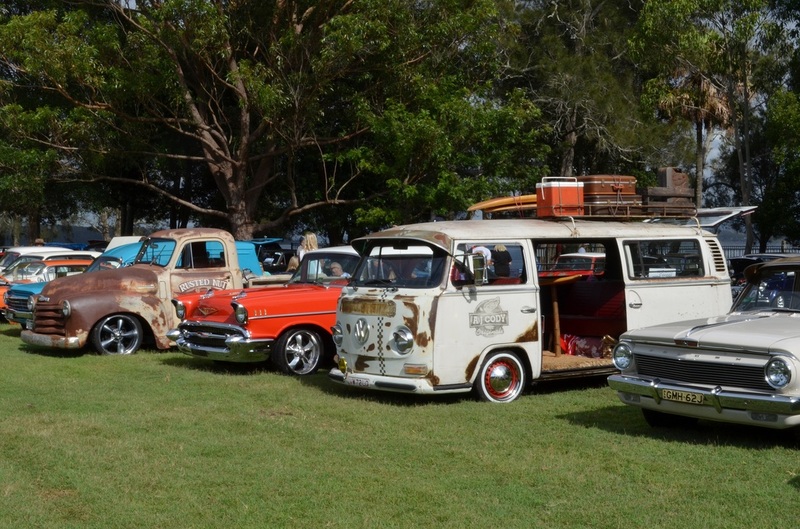 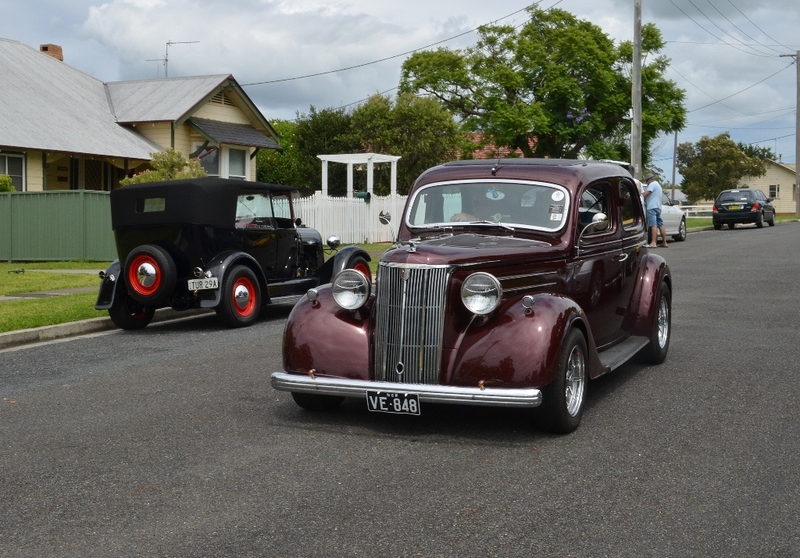 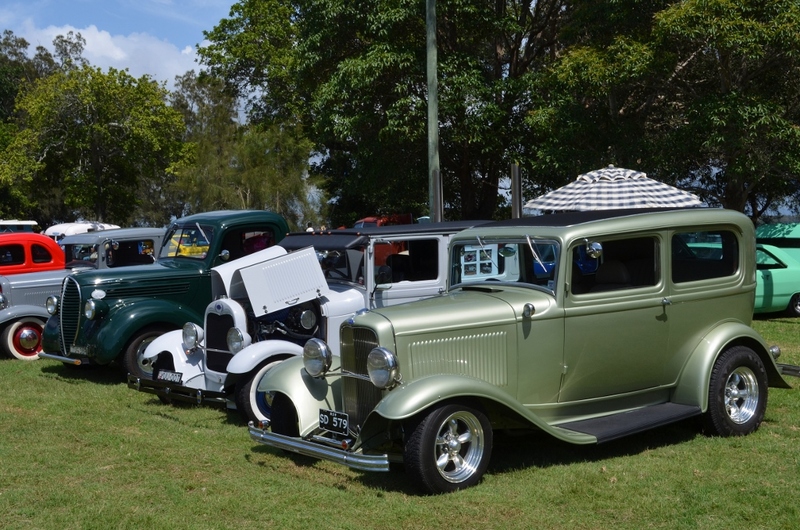 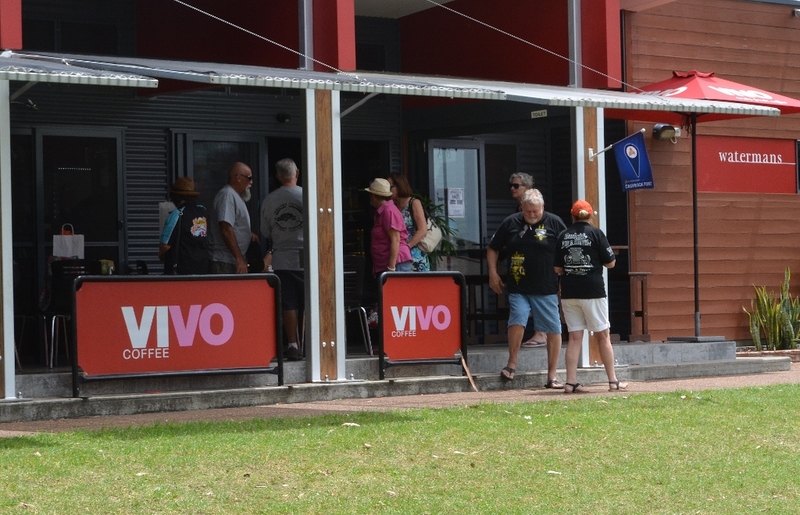 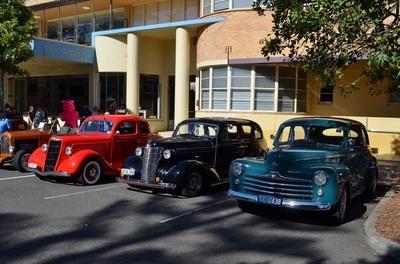 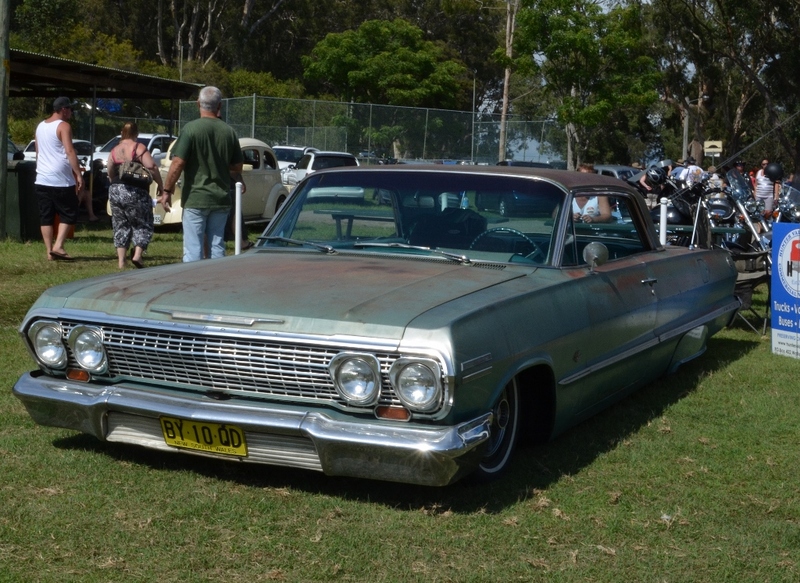 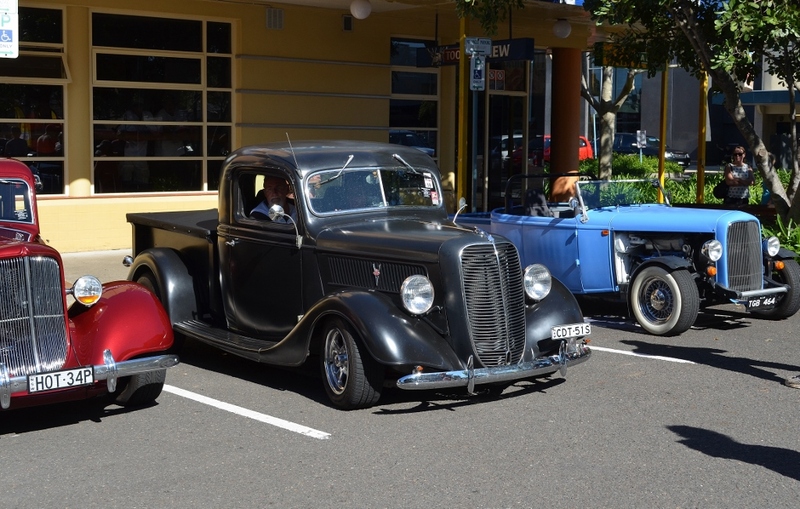 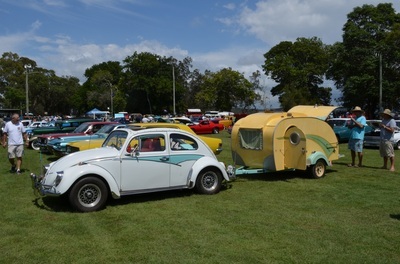 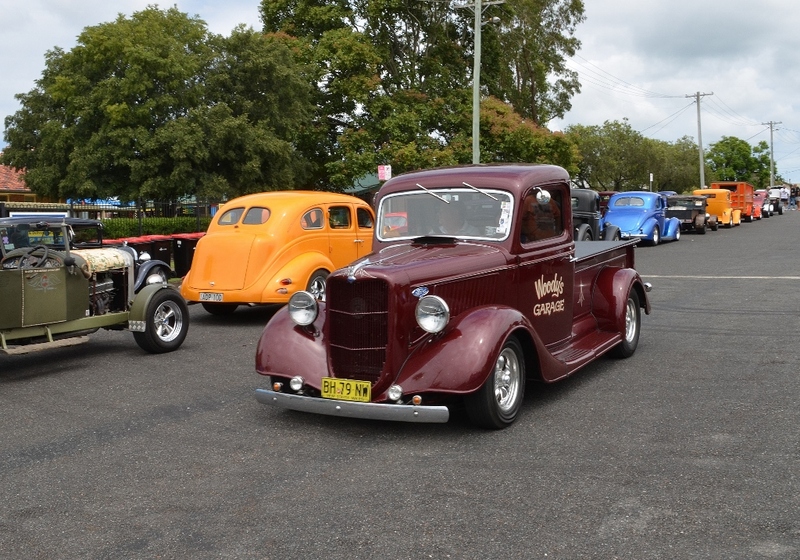 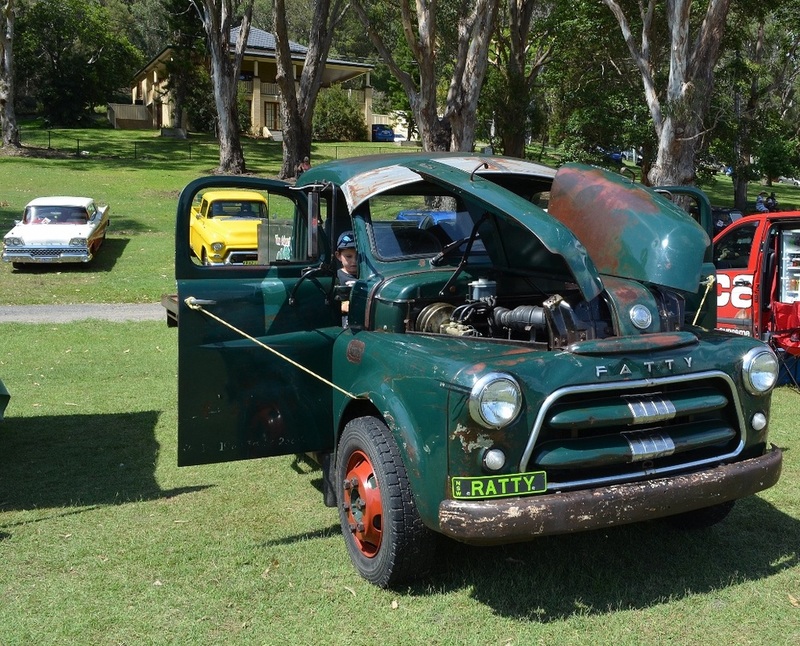 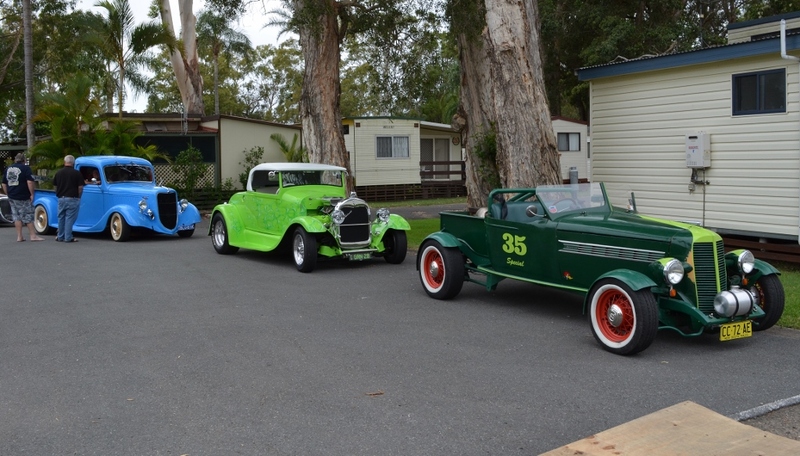 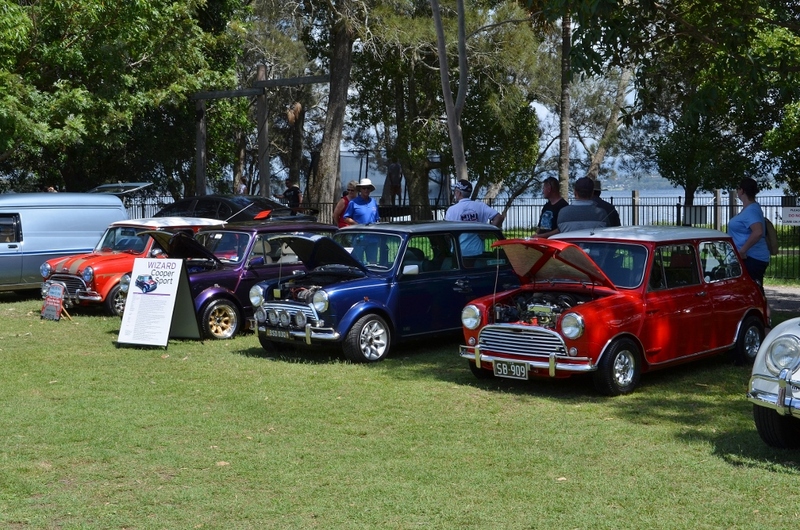 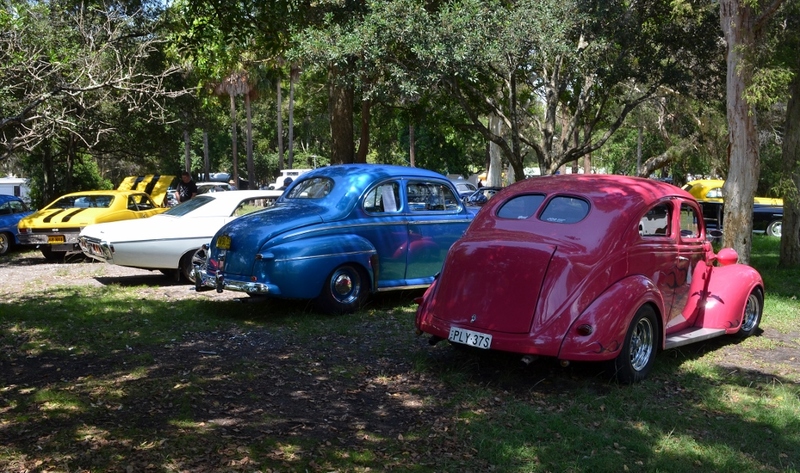 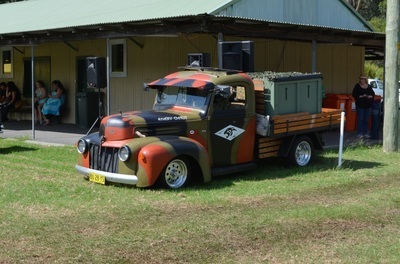 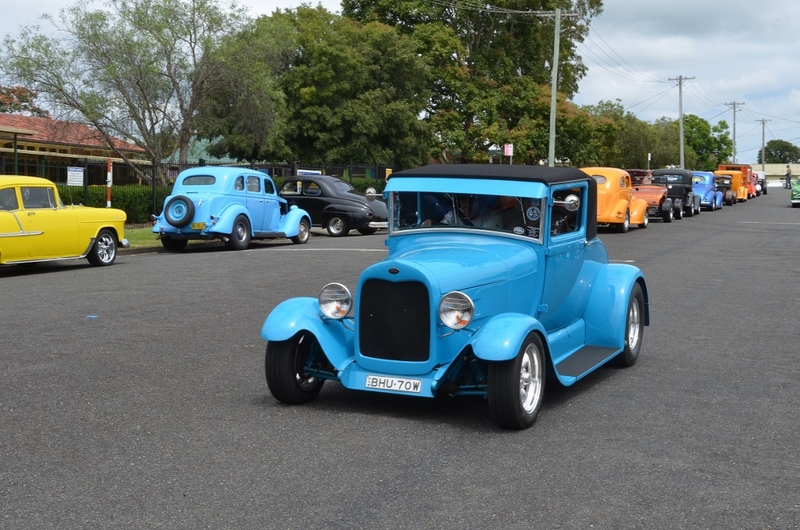 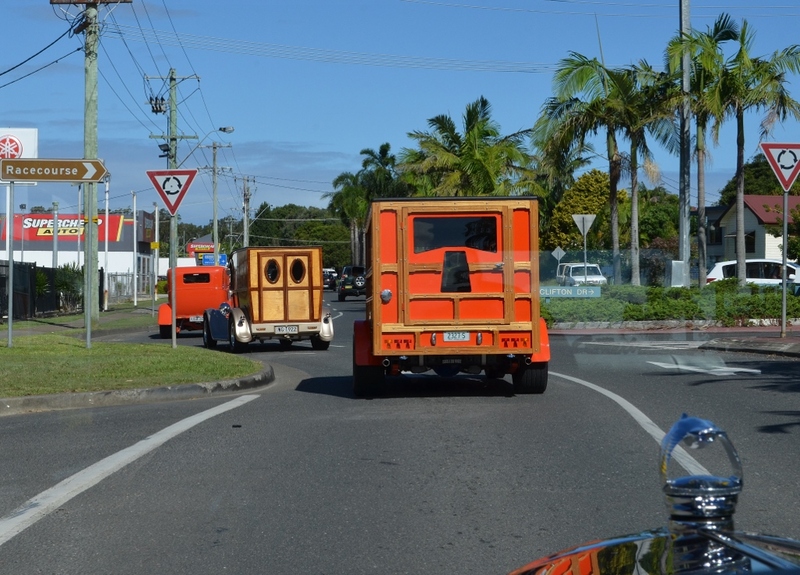 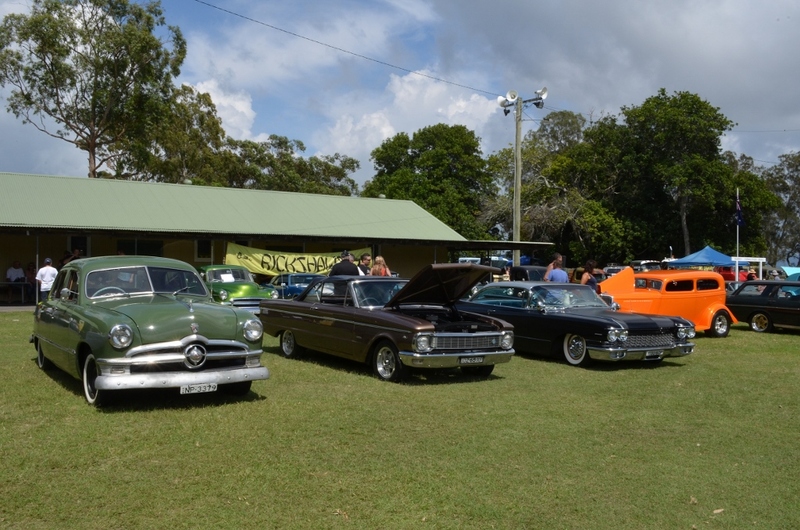 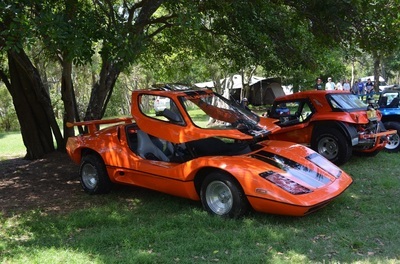 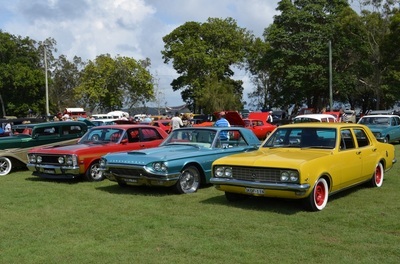 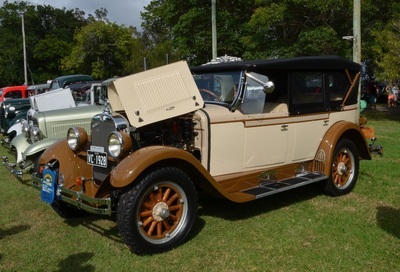 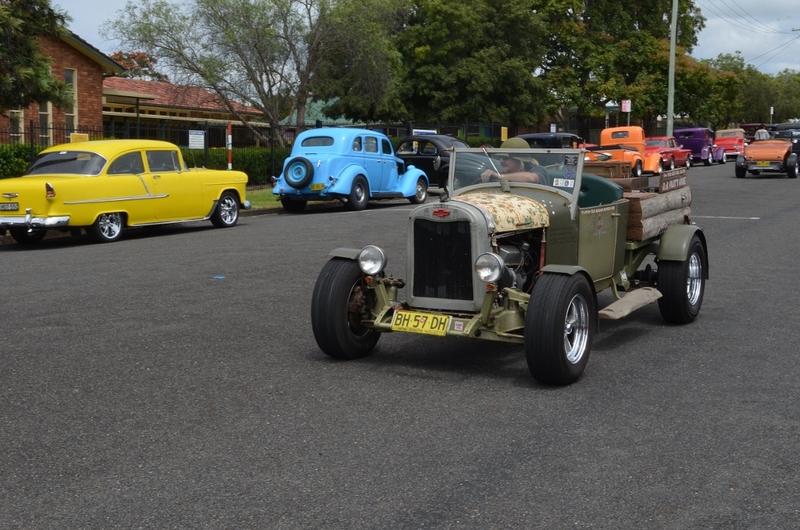 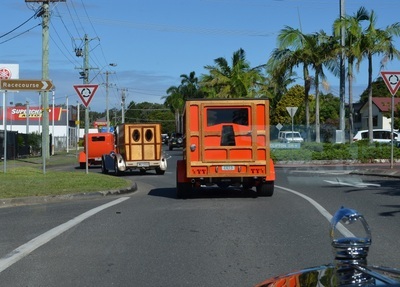 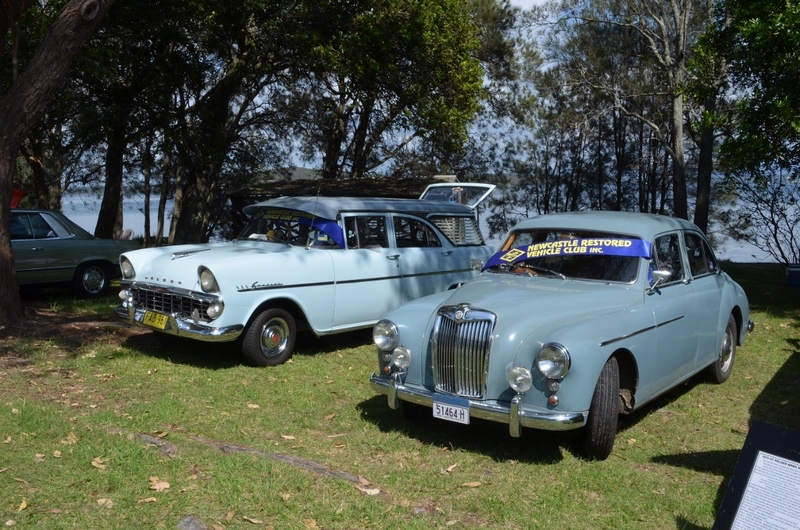 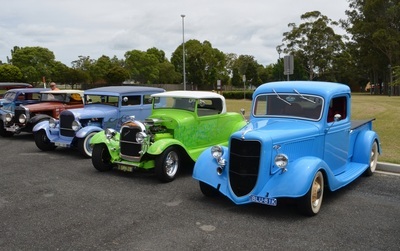 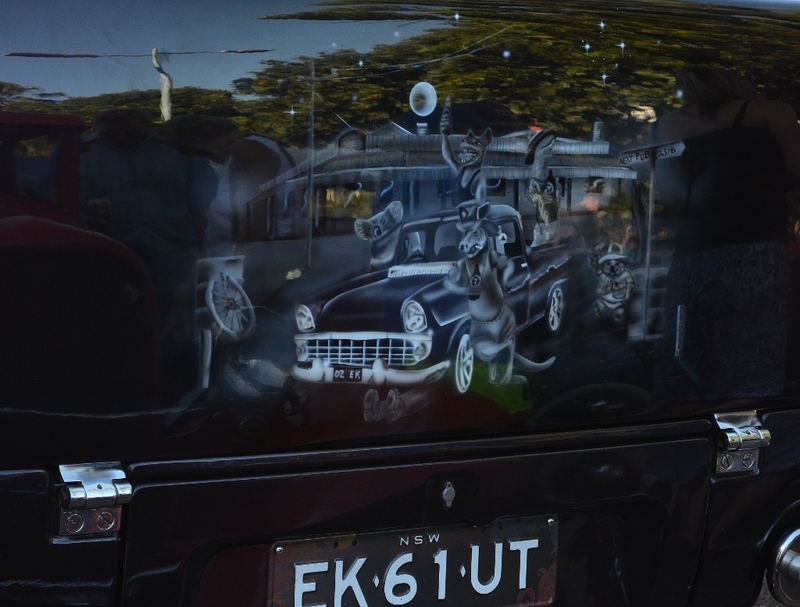 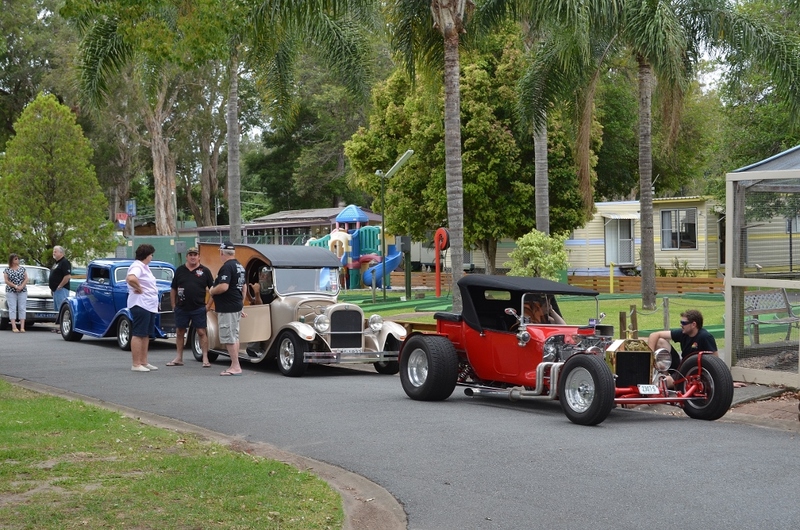 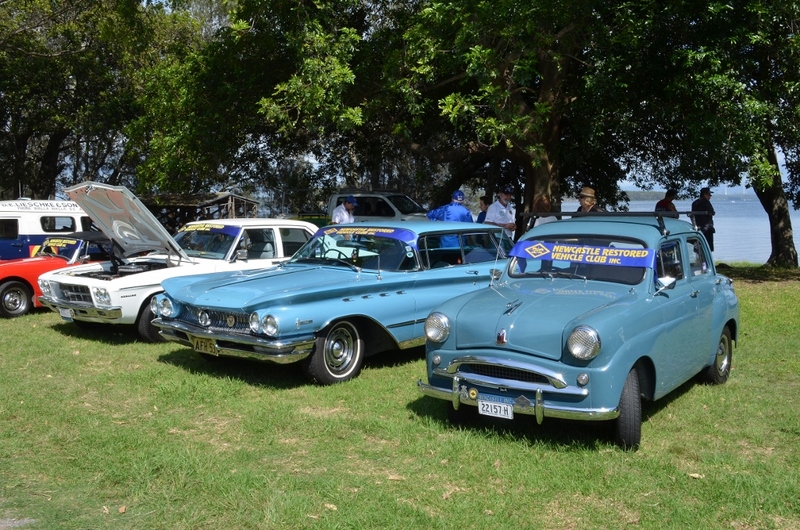 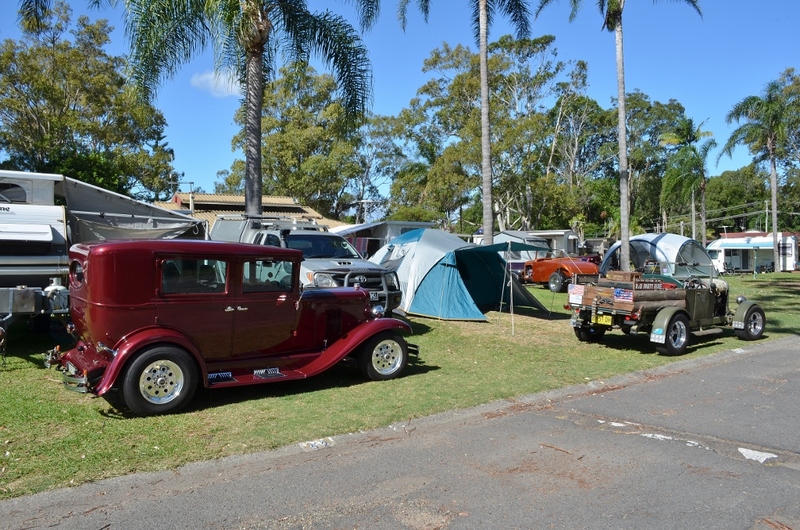 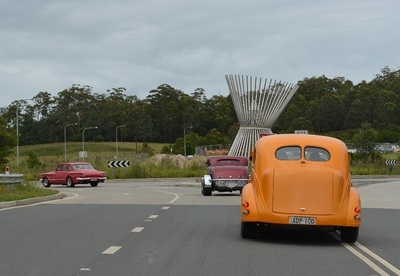 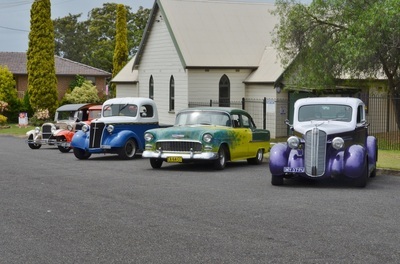 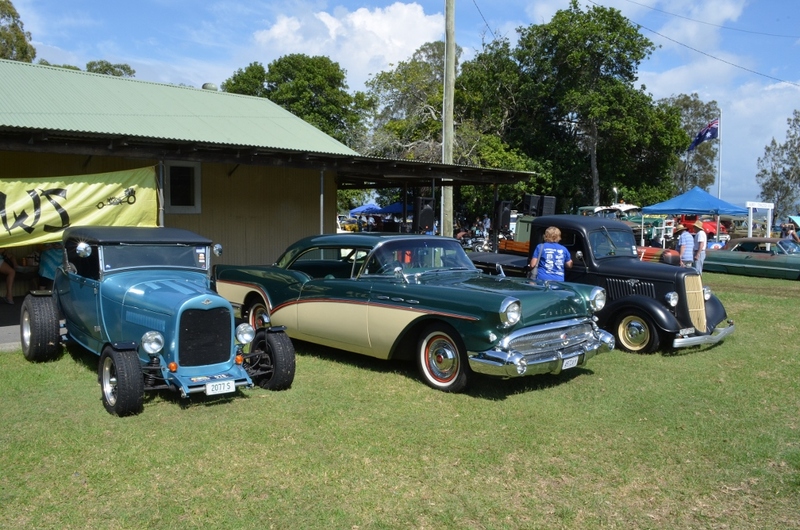 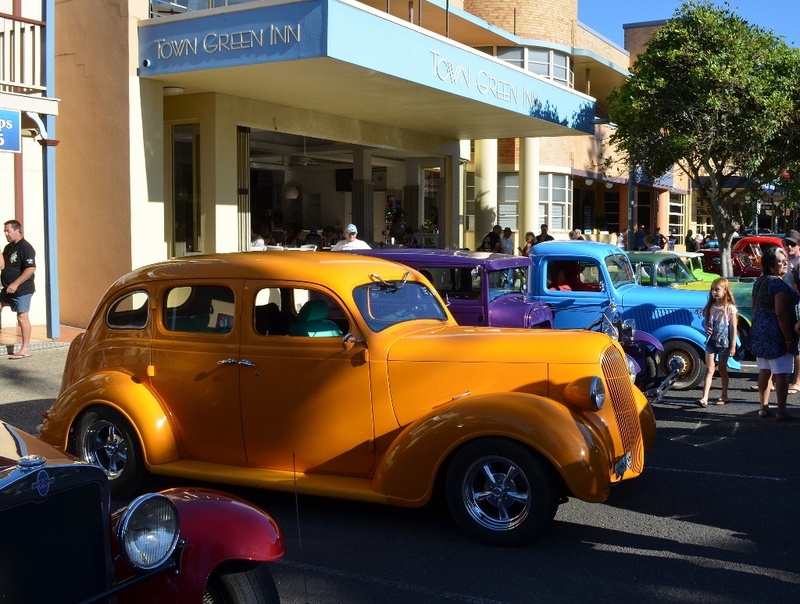 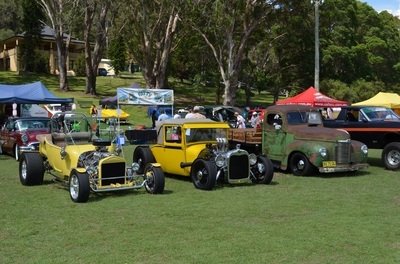 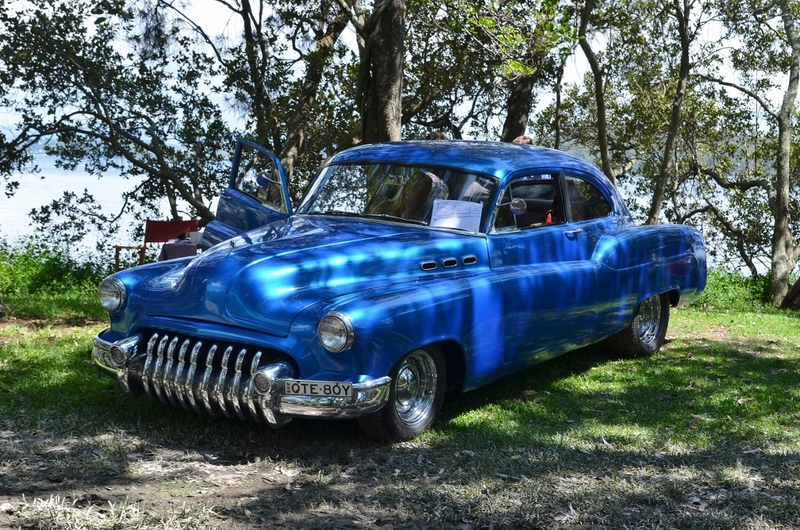 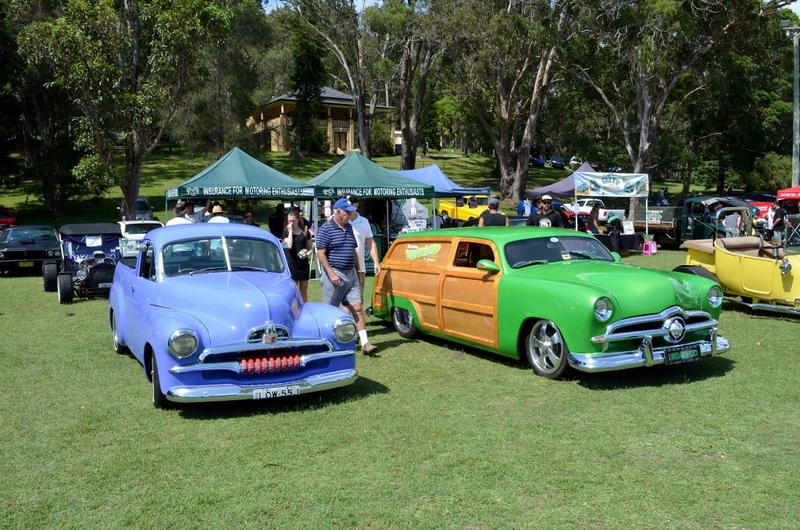 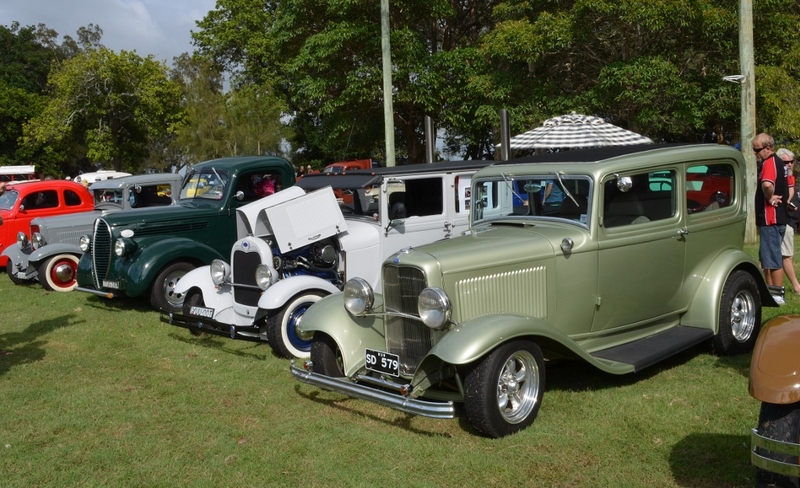 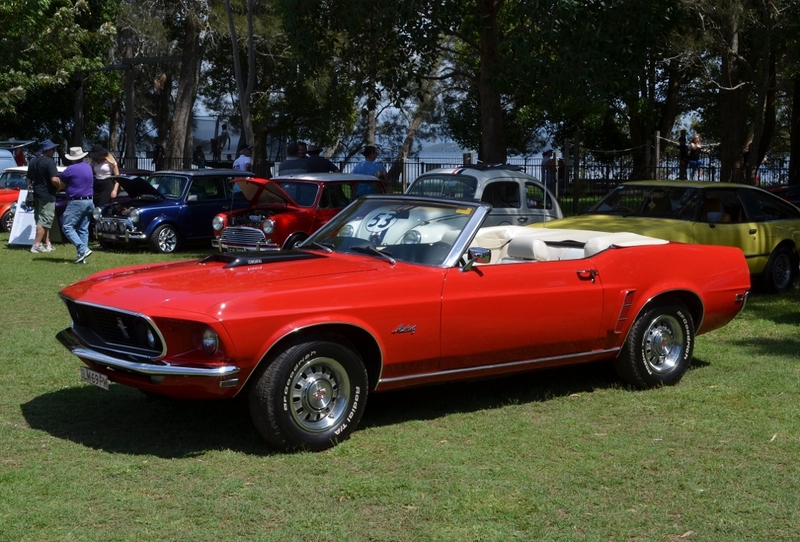 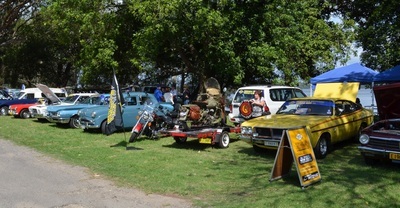 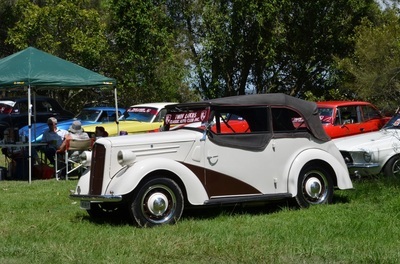 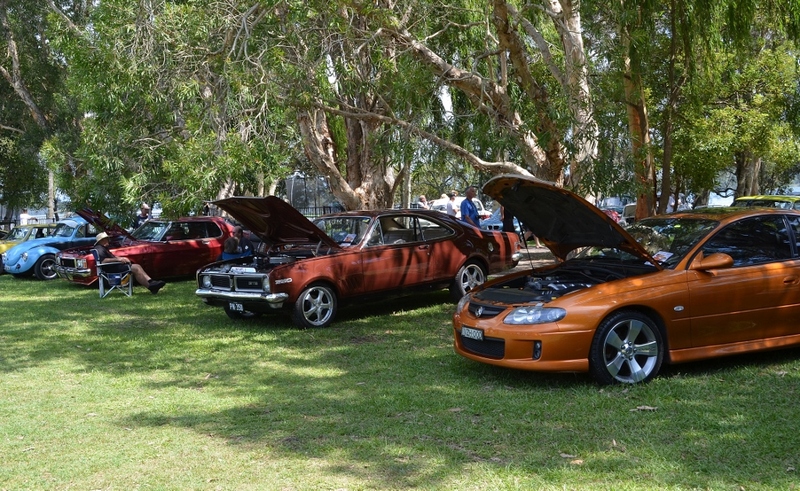 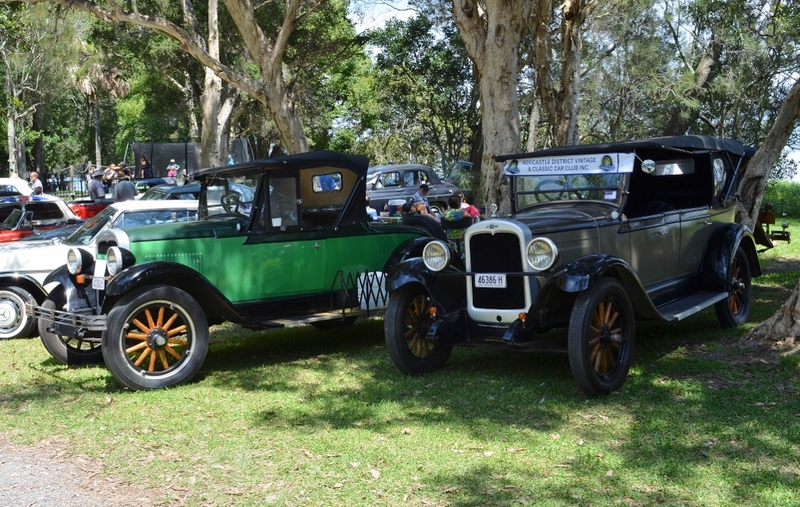 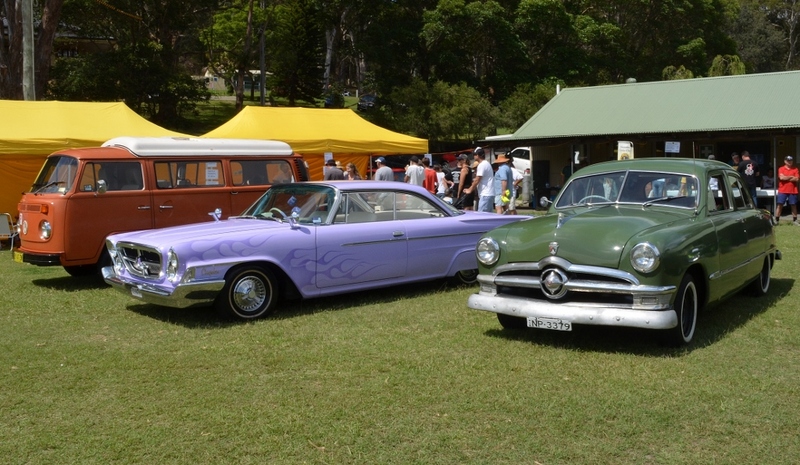 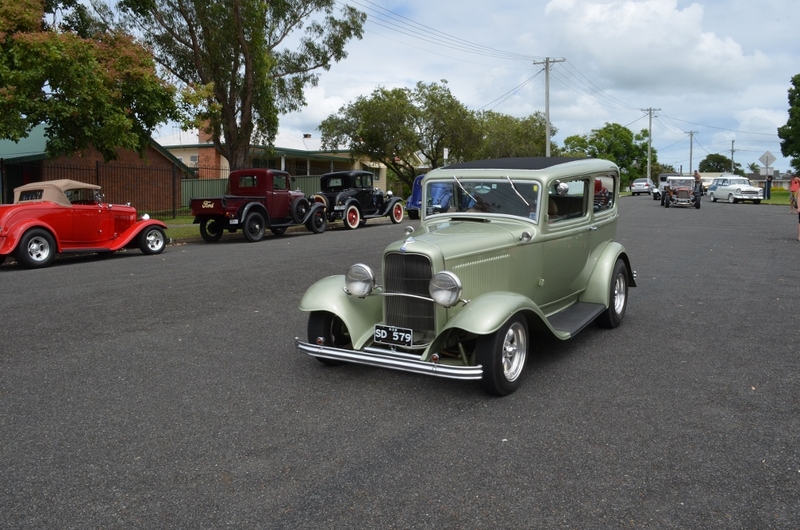 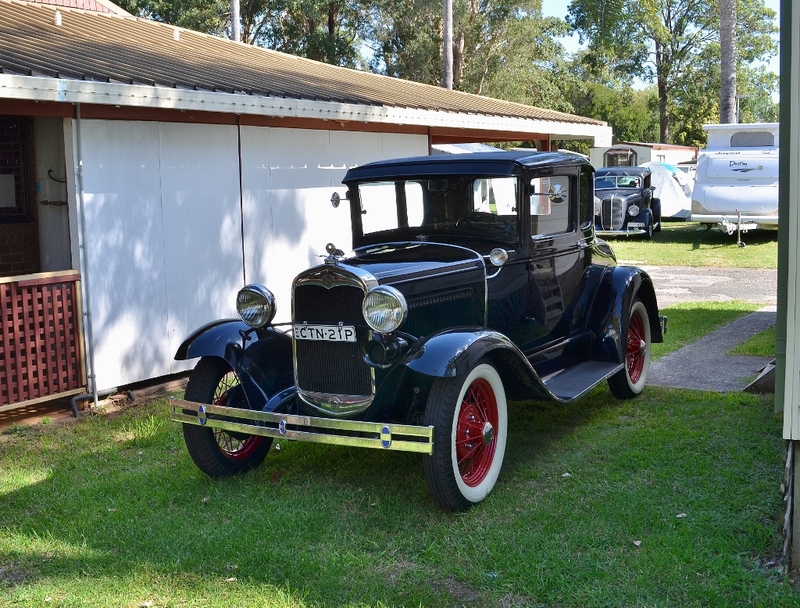 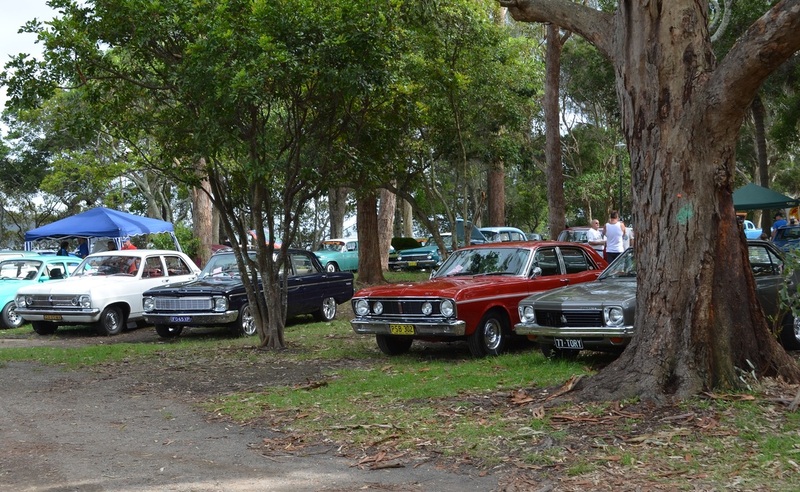 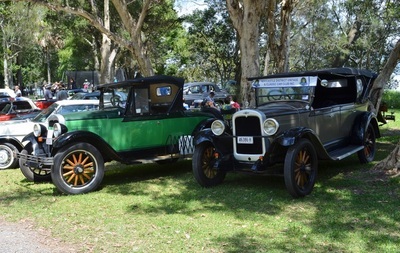 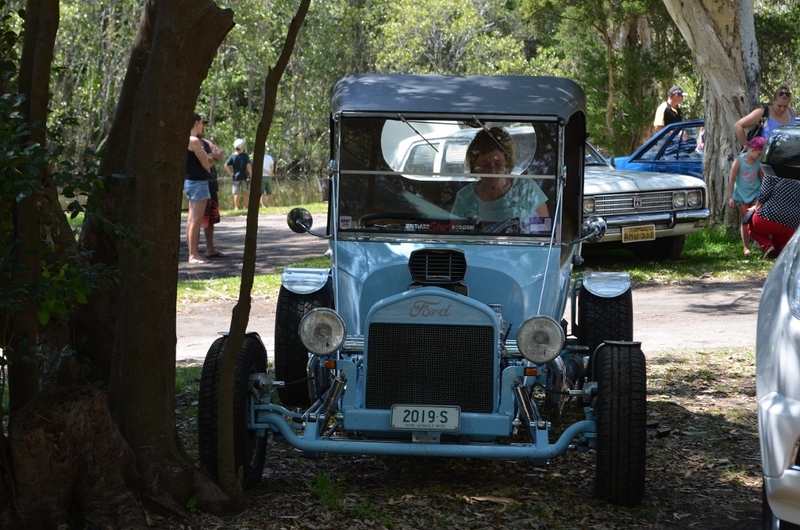 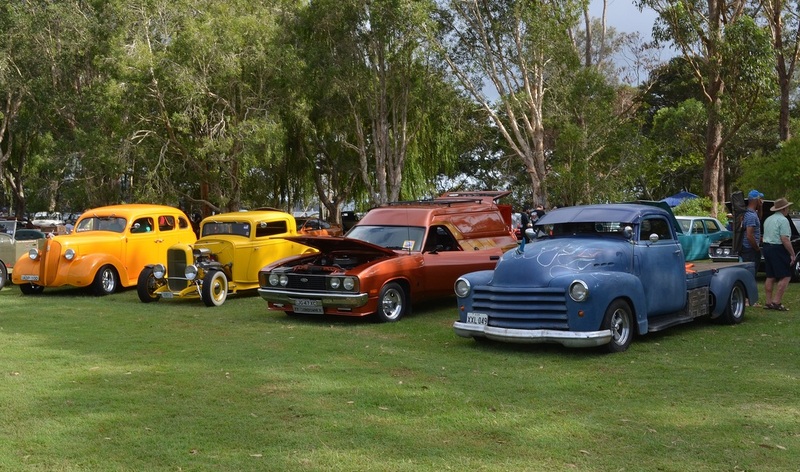 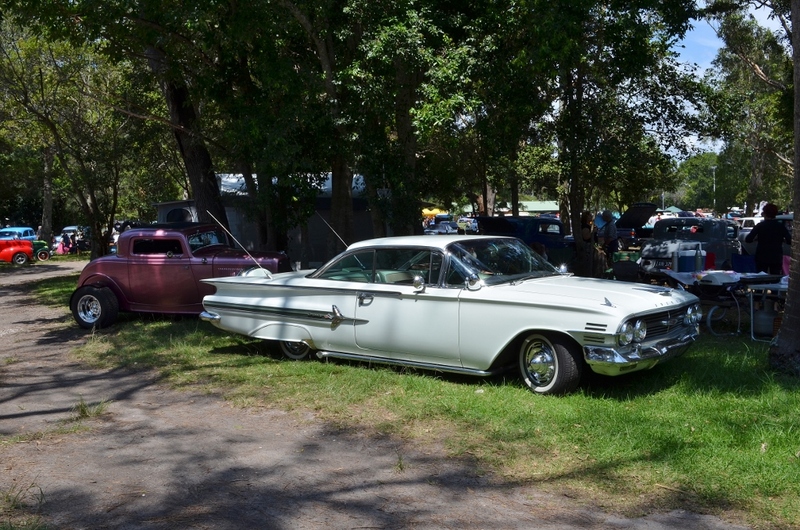 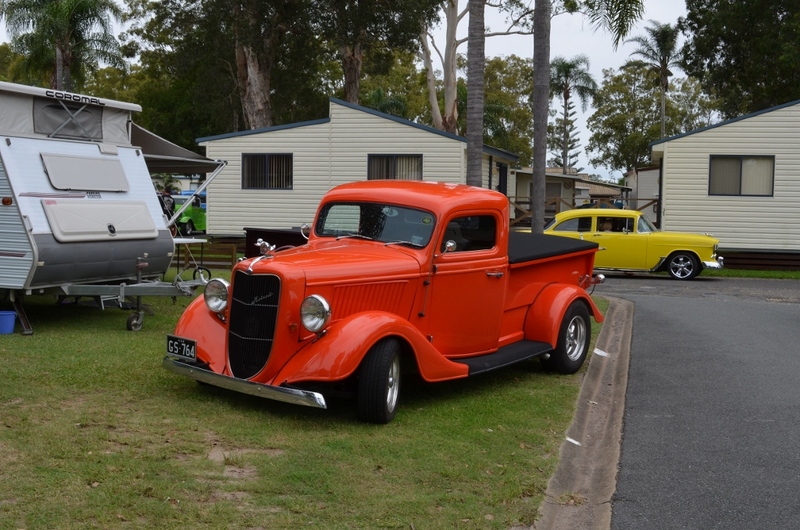 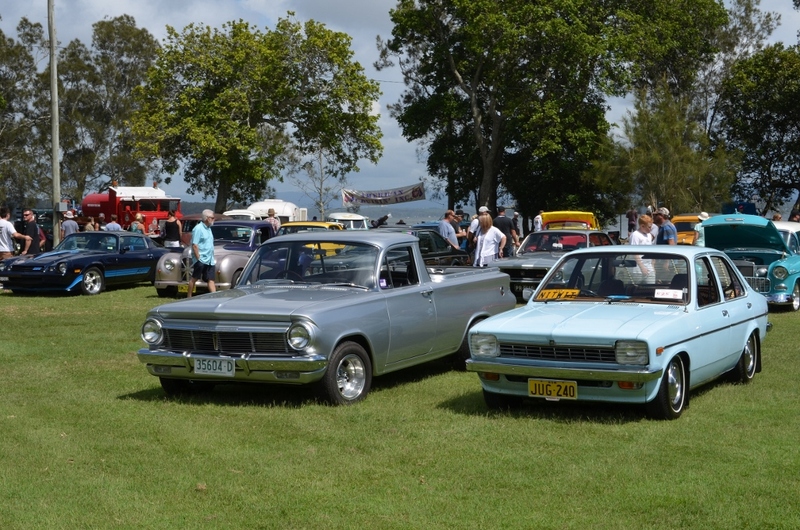 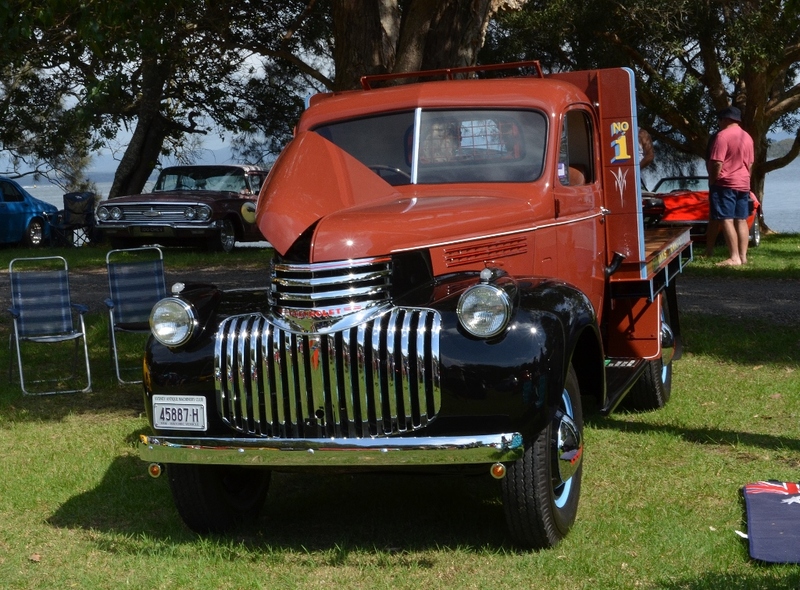 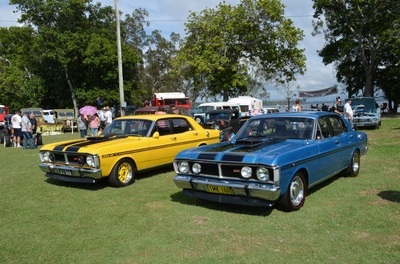 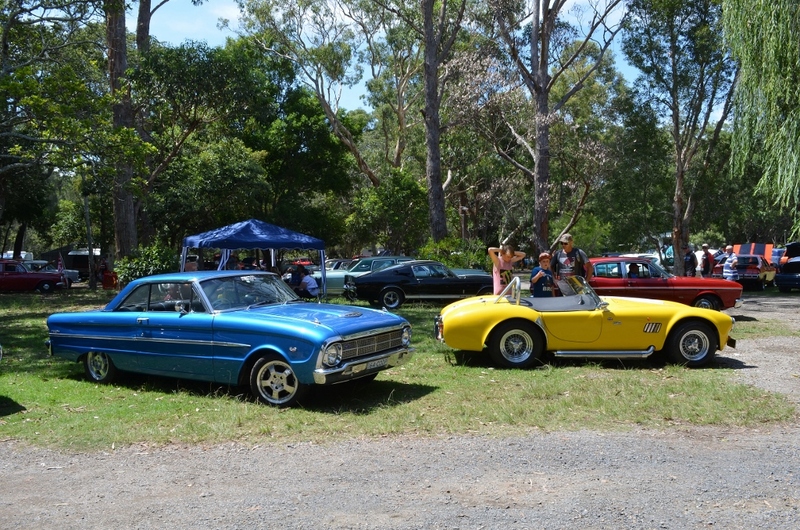 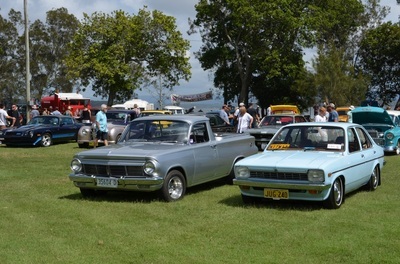 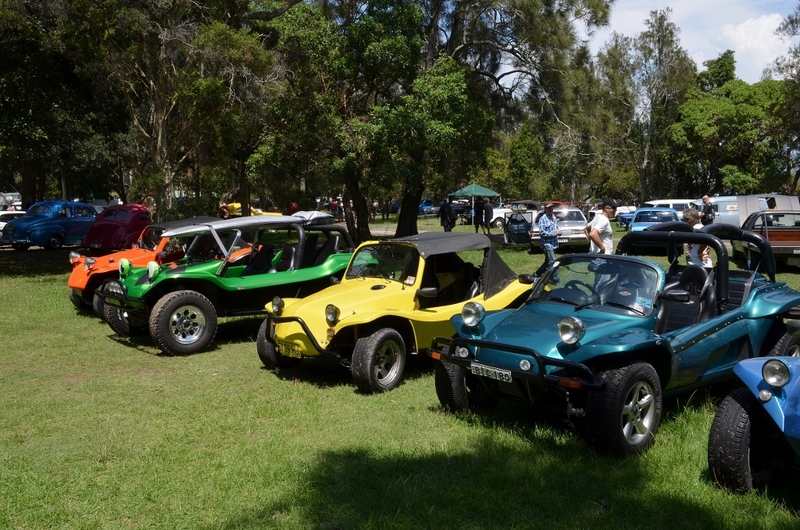 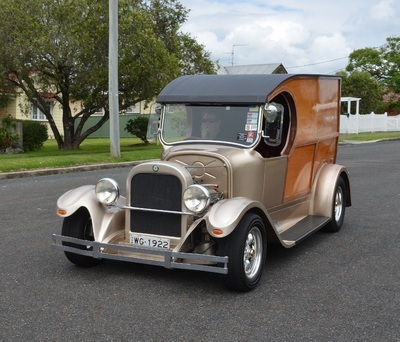 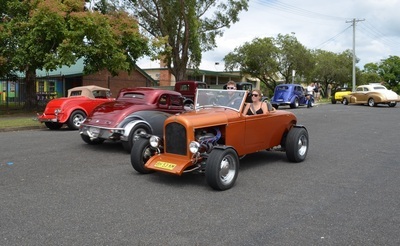 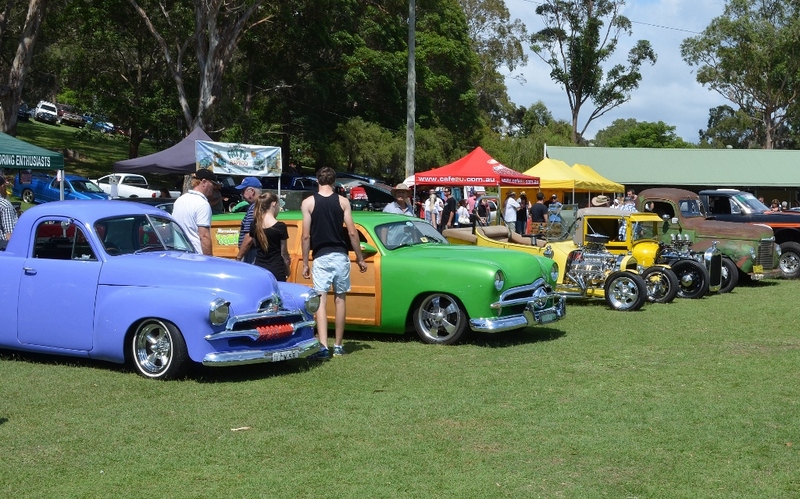 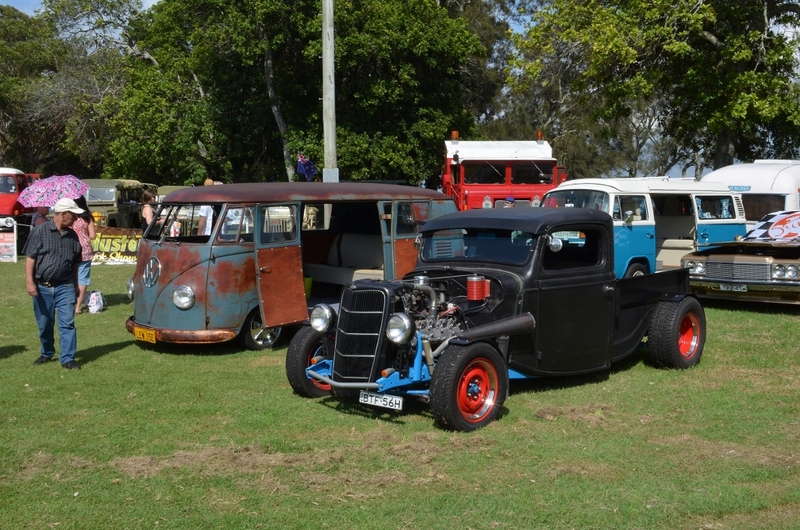 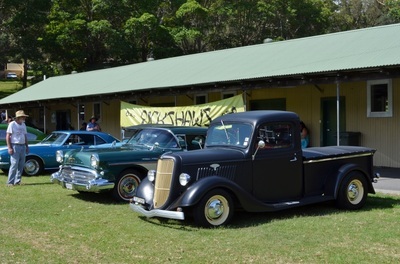 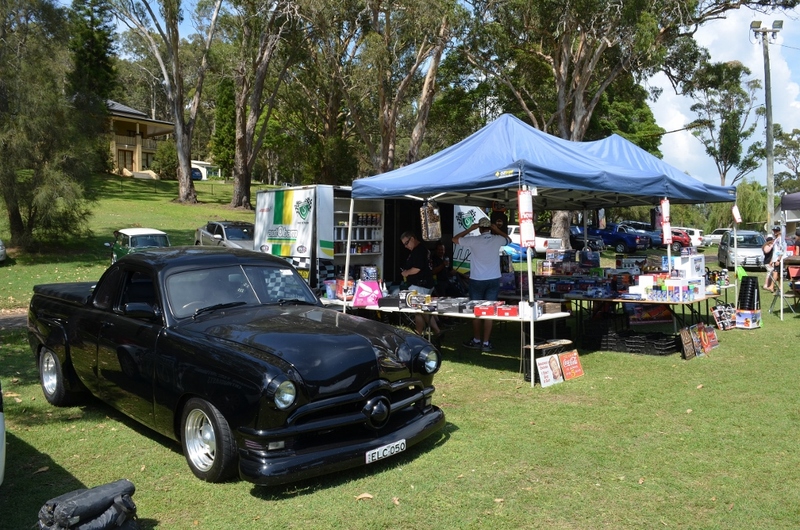 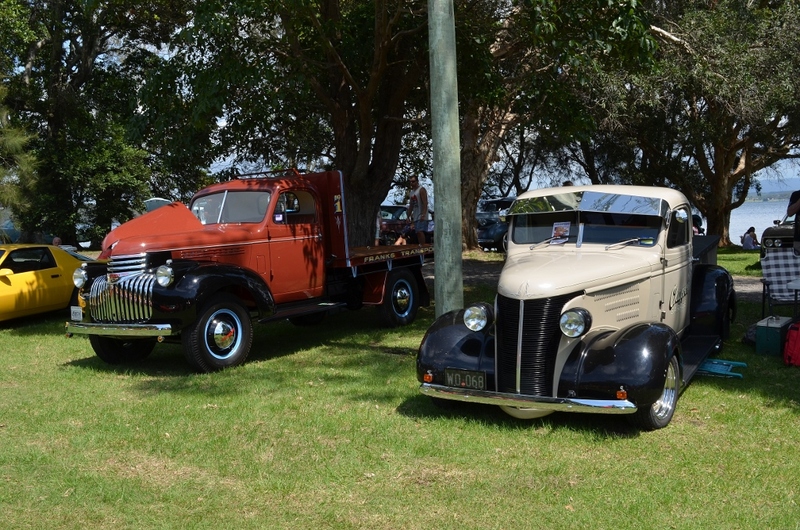 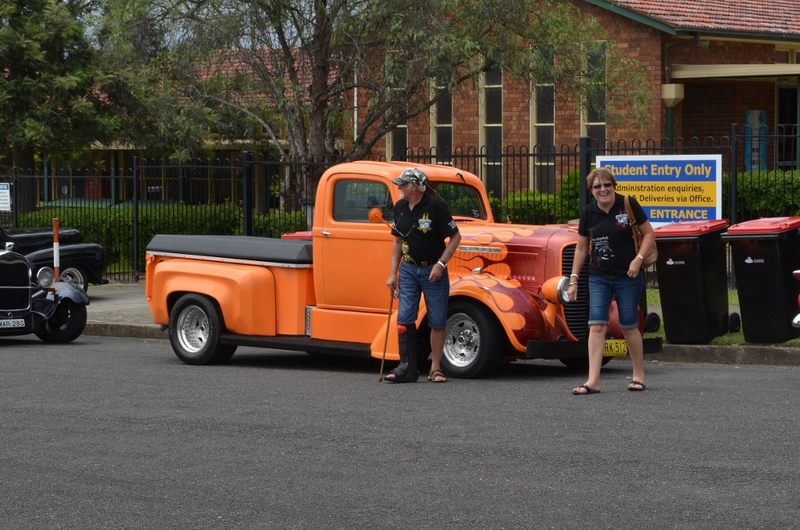 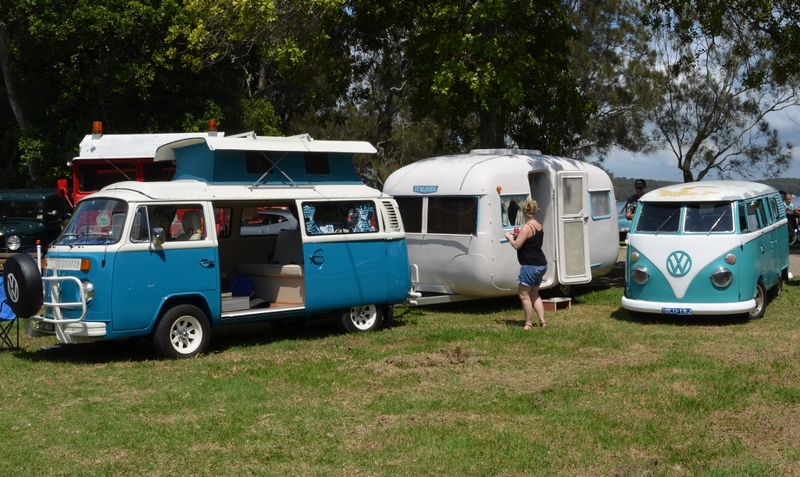 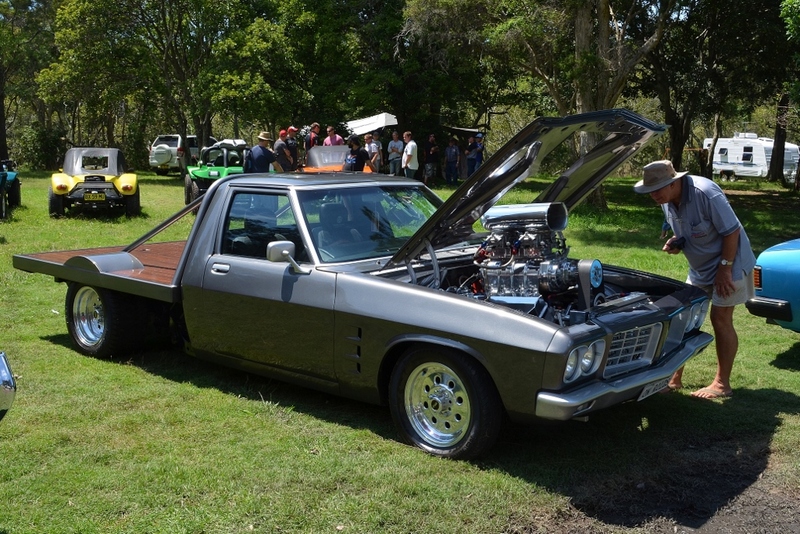 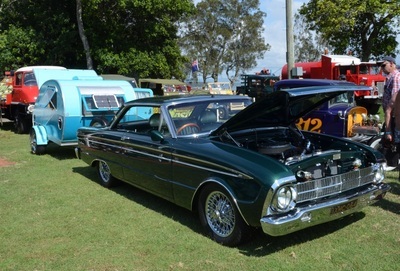 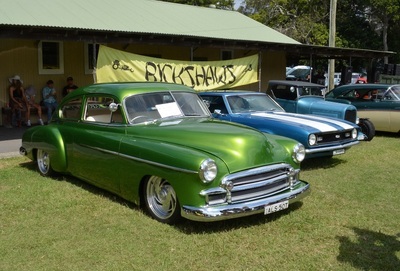 Rickshaws' 2015 Motorists Appreciation Day was one of the largest car shows of recent years. 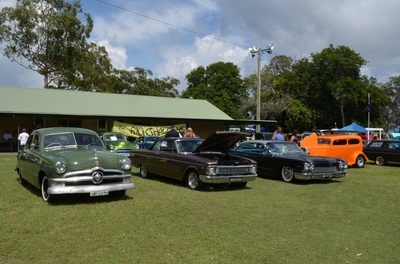 The weather was kind and everyone had their machines out of the garage for this event. Bargoed house has to be one of the best locations for a car show and the only problem was we were asked to leave so they could shut the gates. 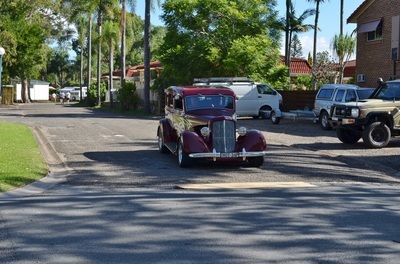 Reluctantly we had to pack up and go home. What a great day, thanks Rickshaws. 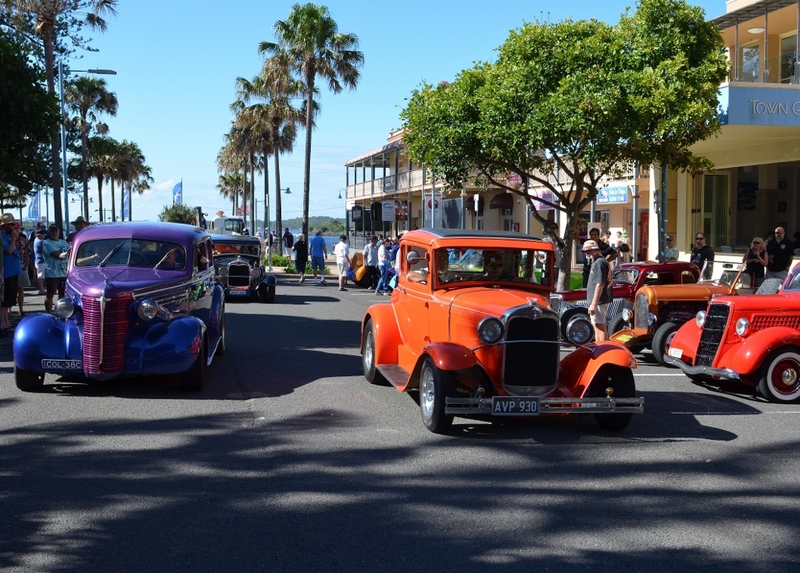 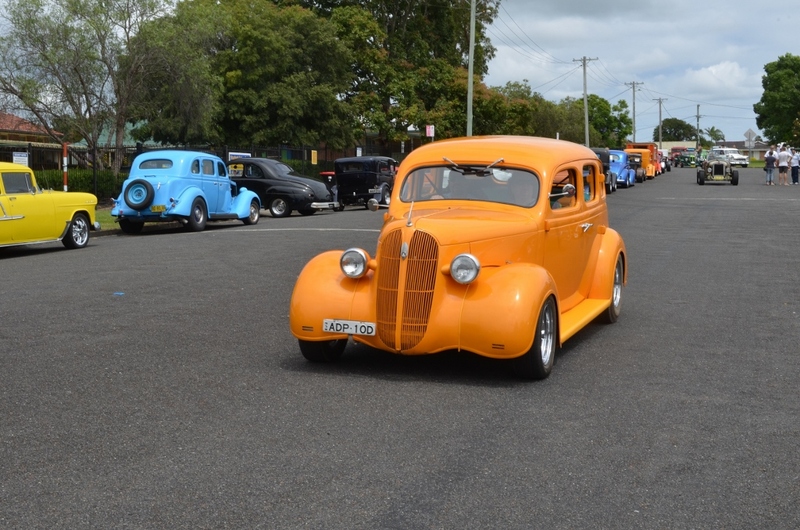 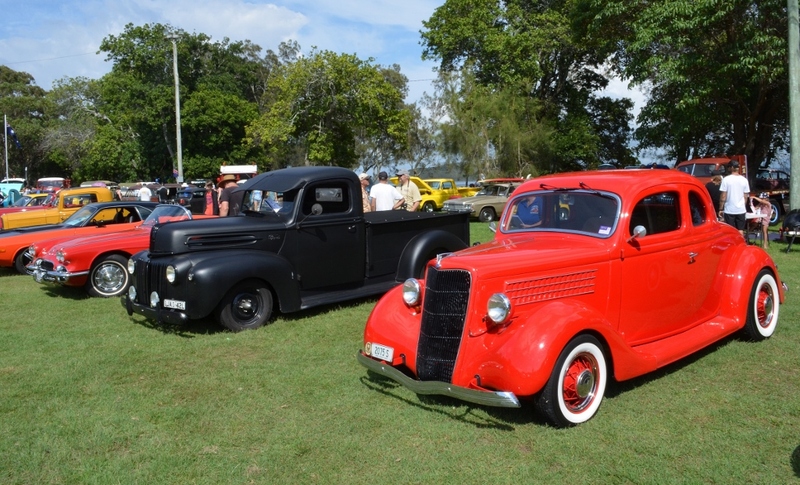 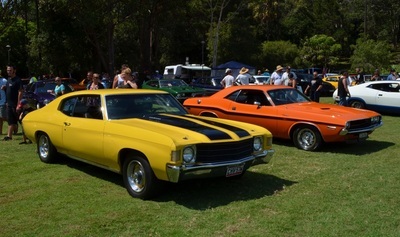 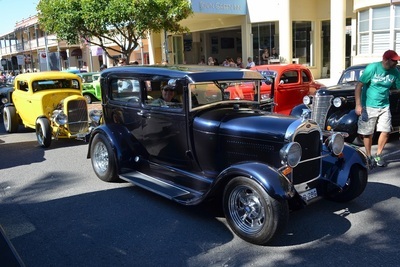 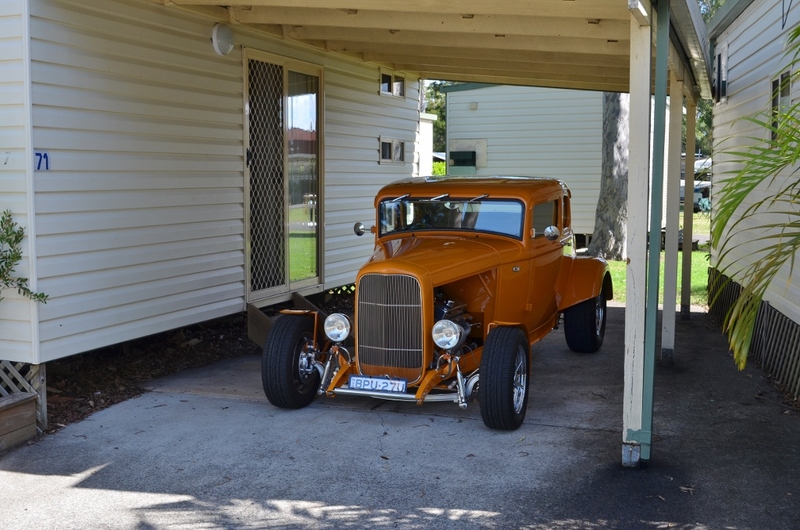 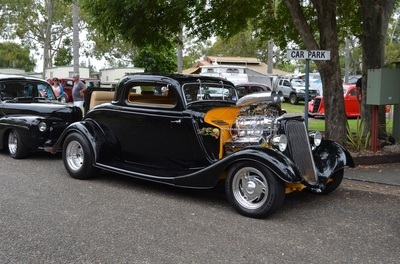 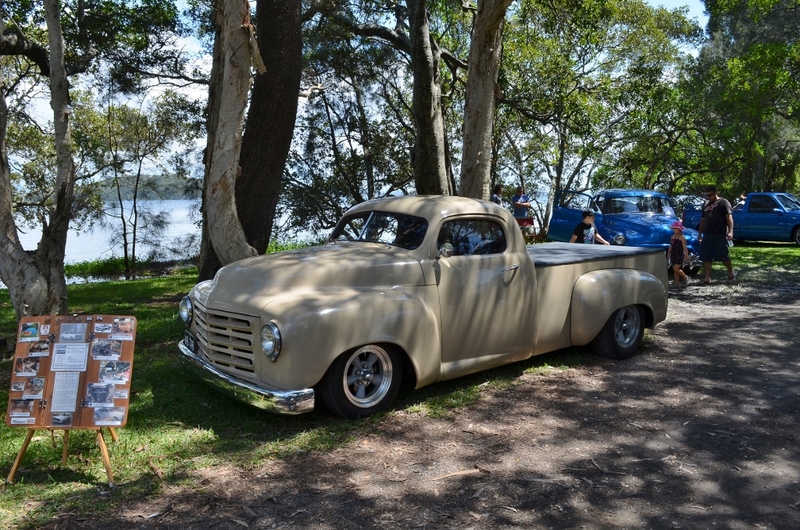 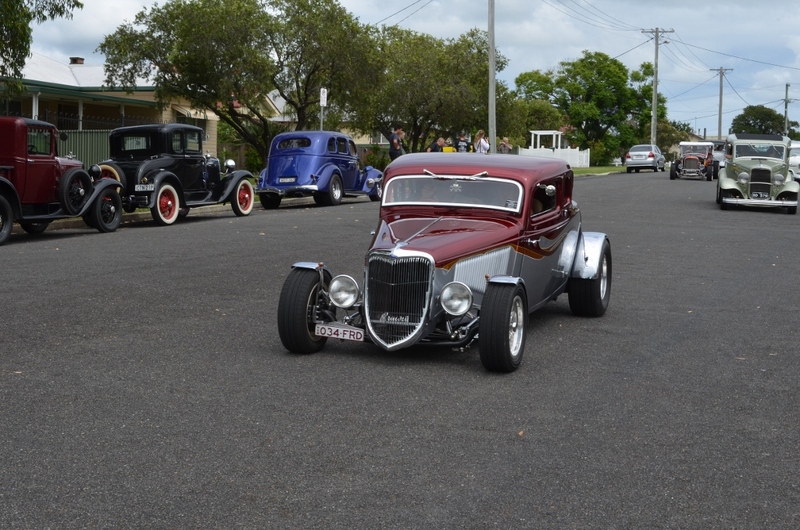 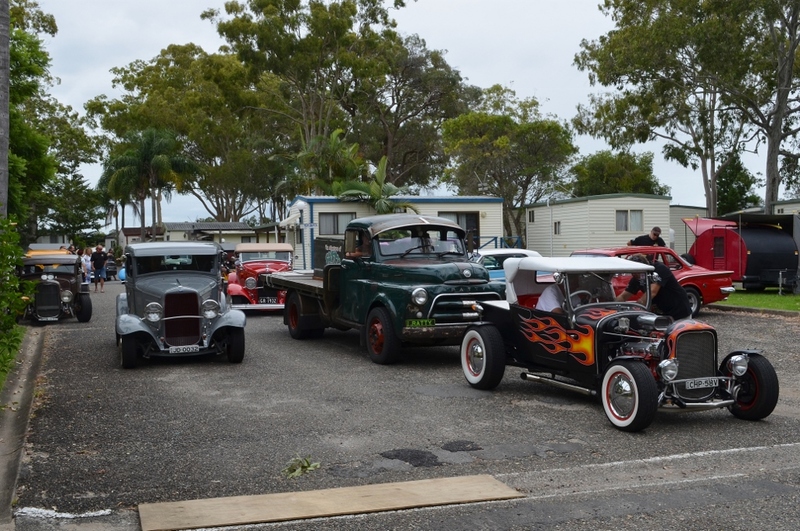 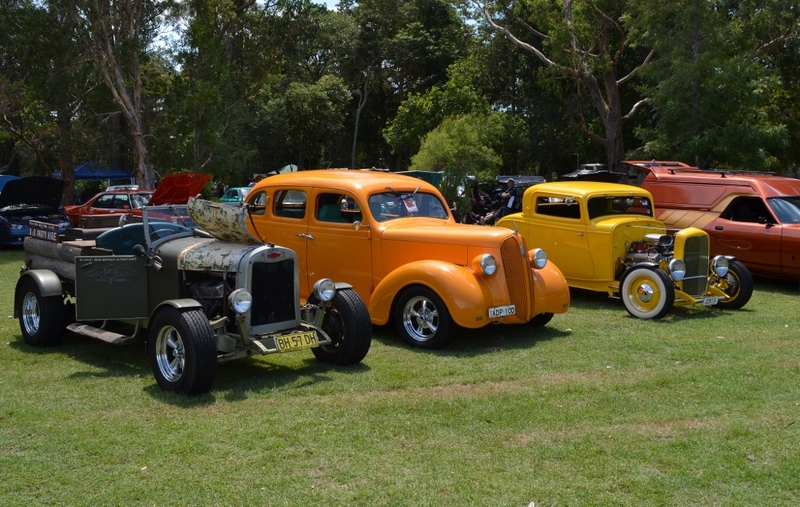 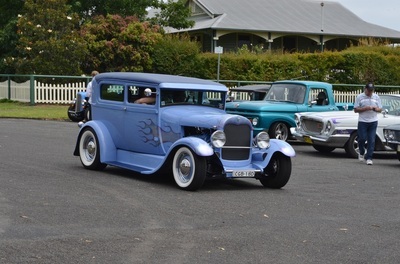 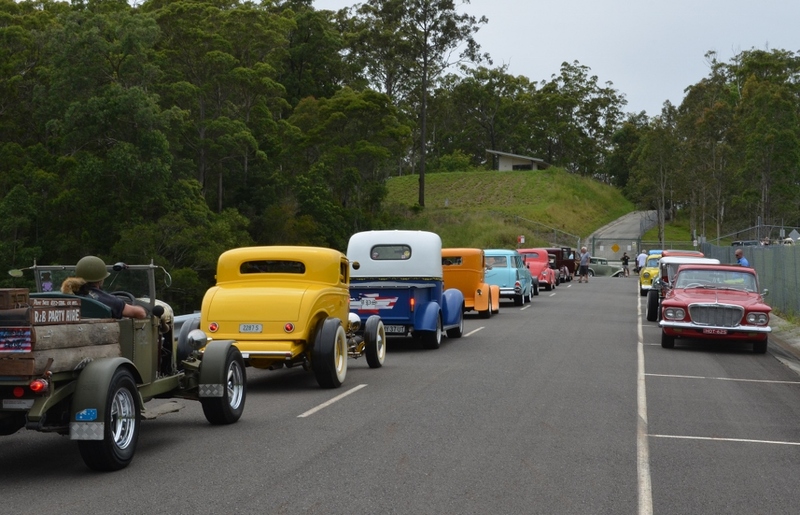 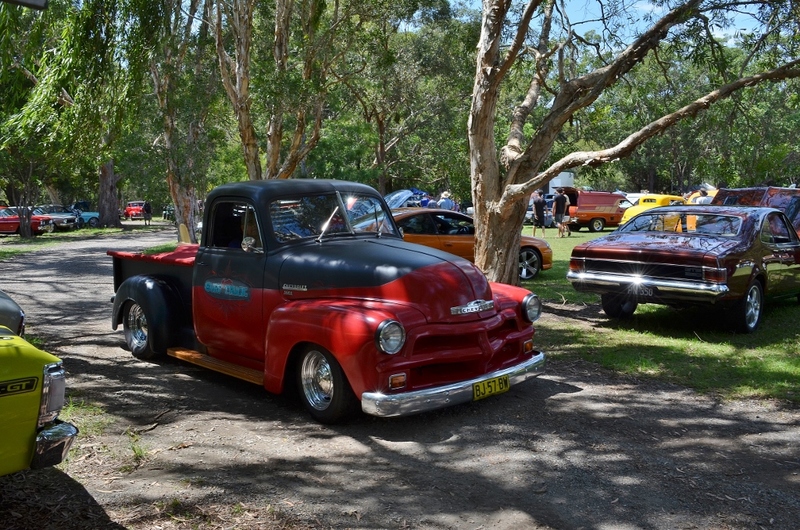 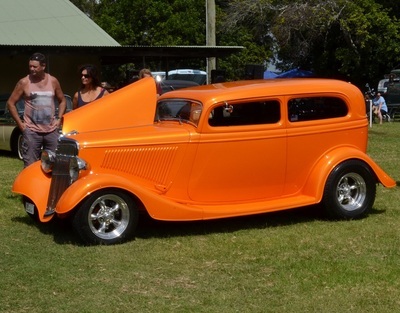 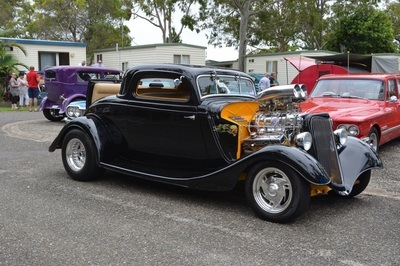 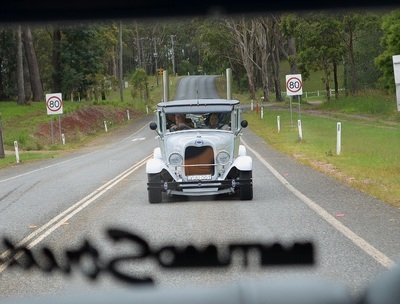 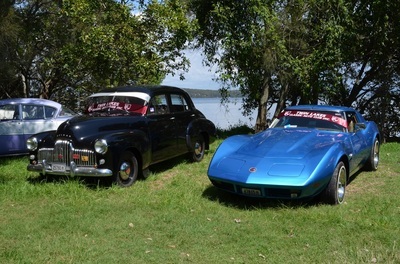 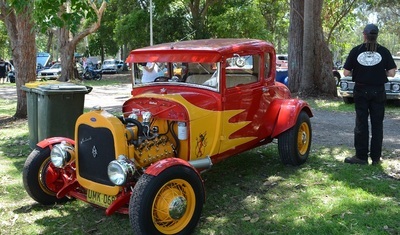 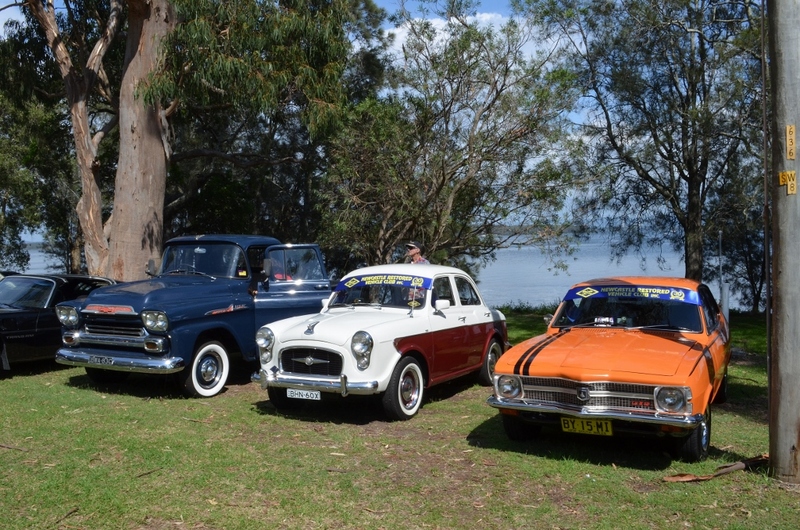 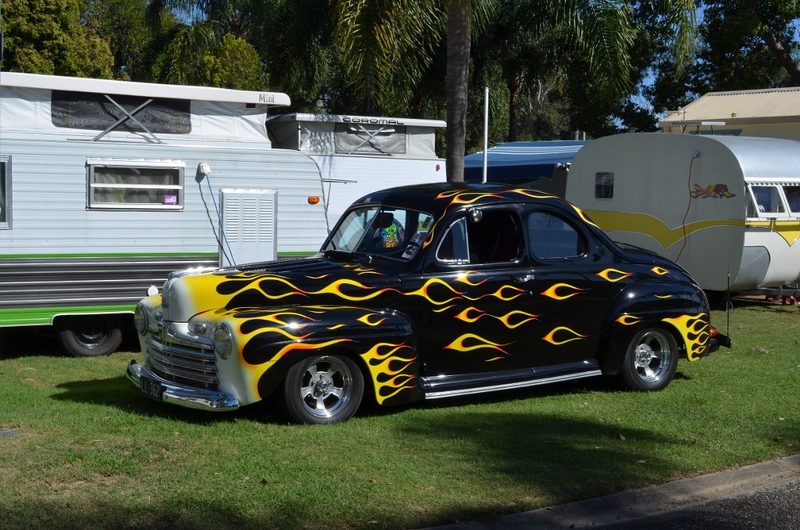 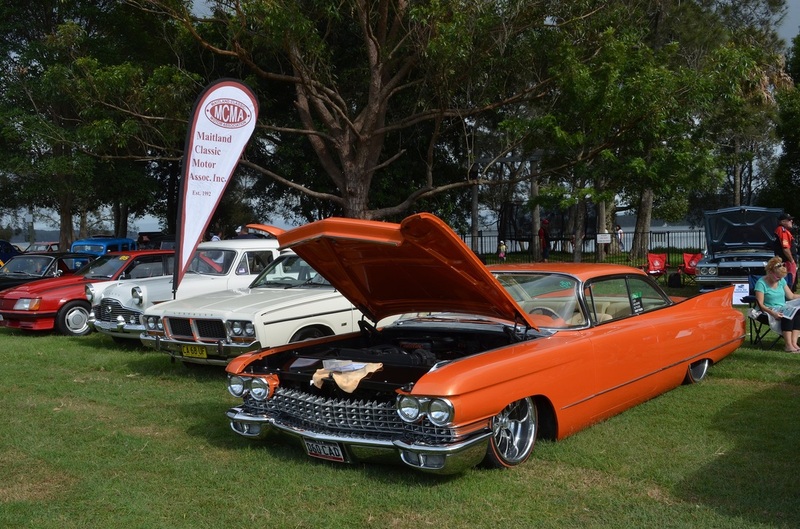 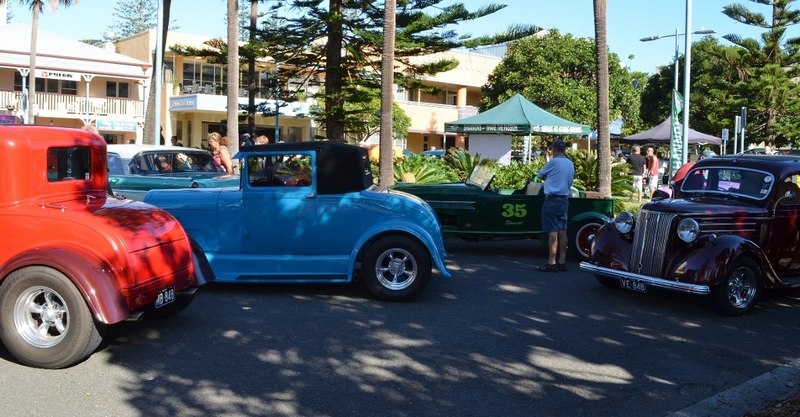 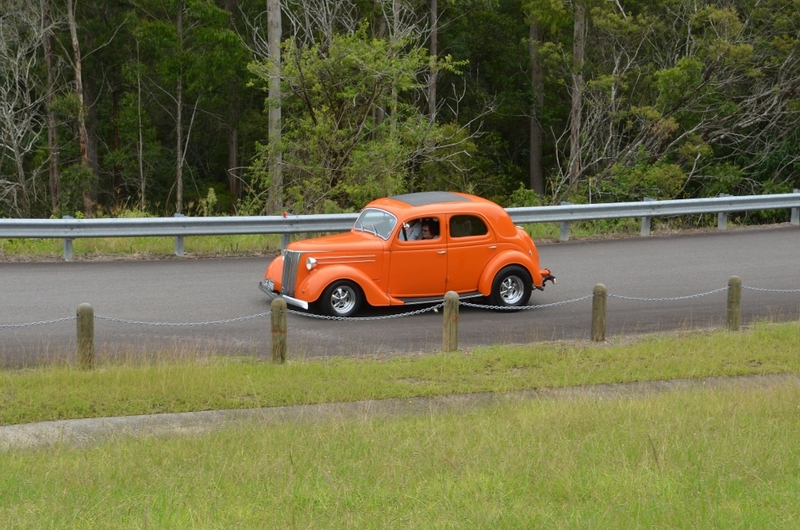 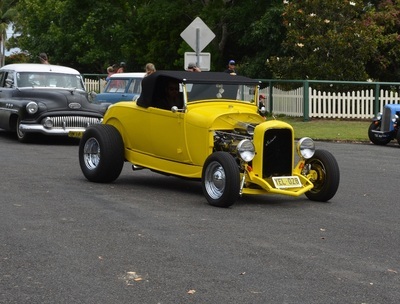 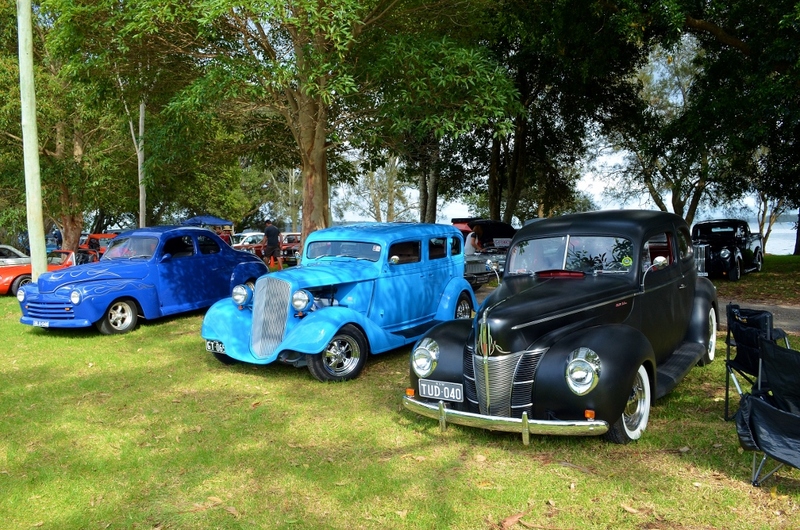 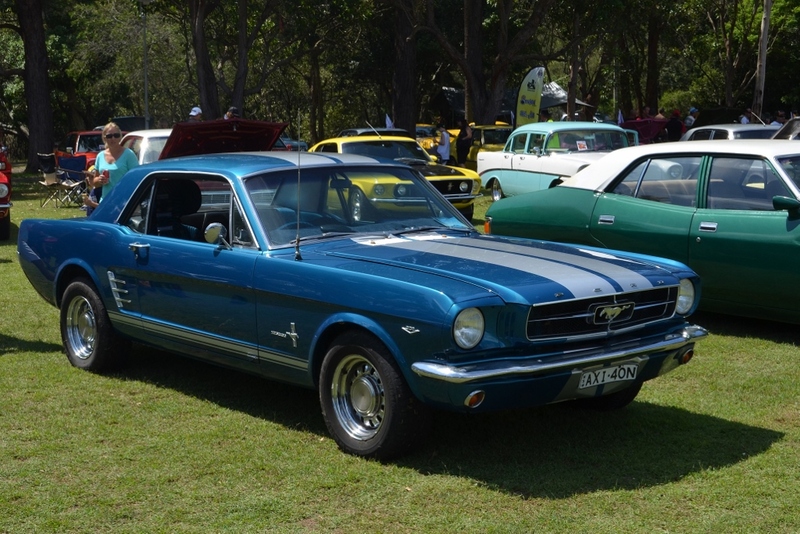 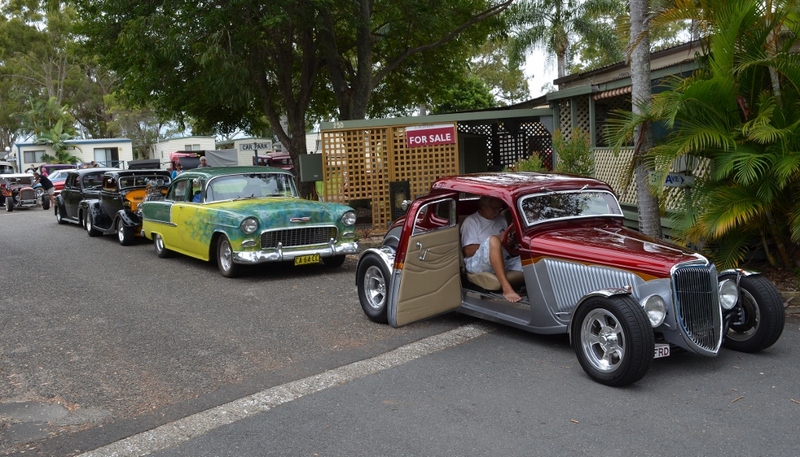 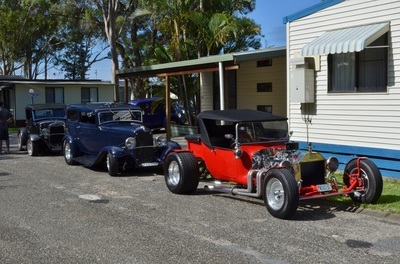 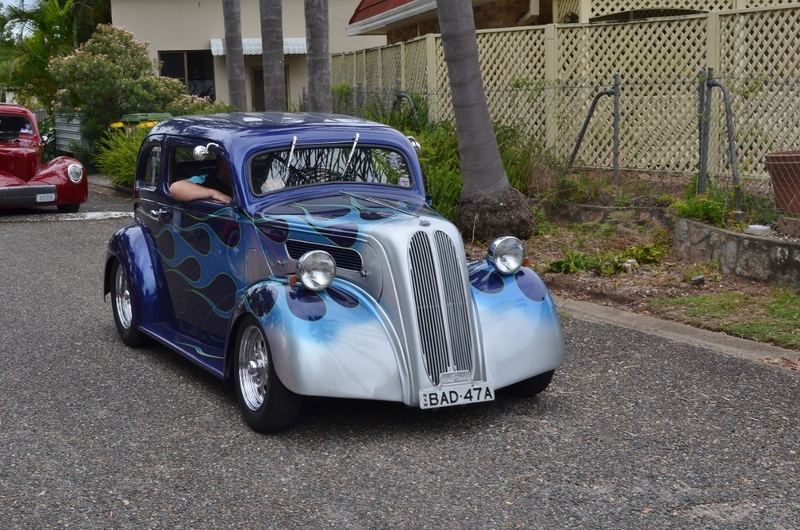 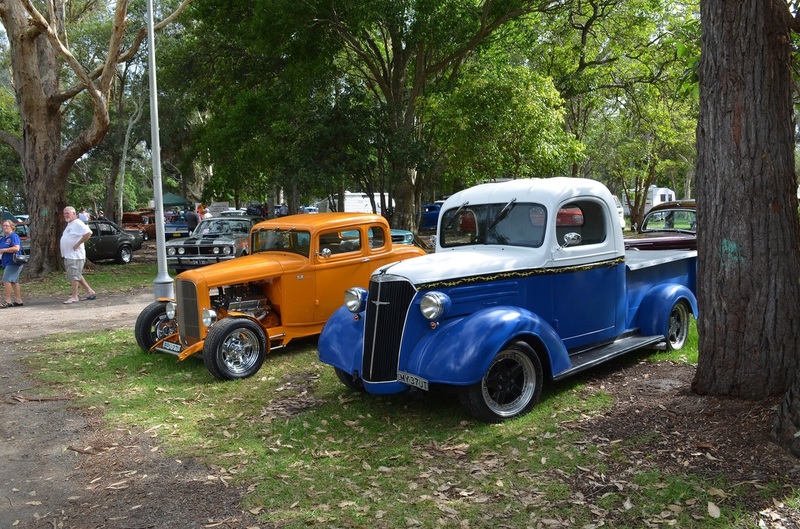 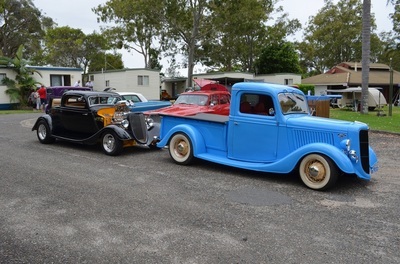 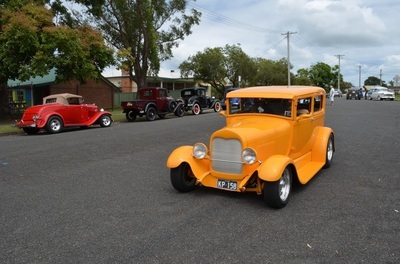 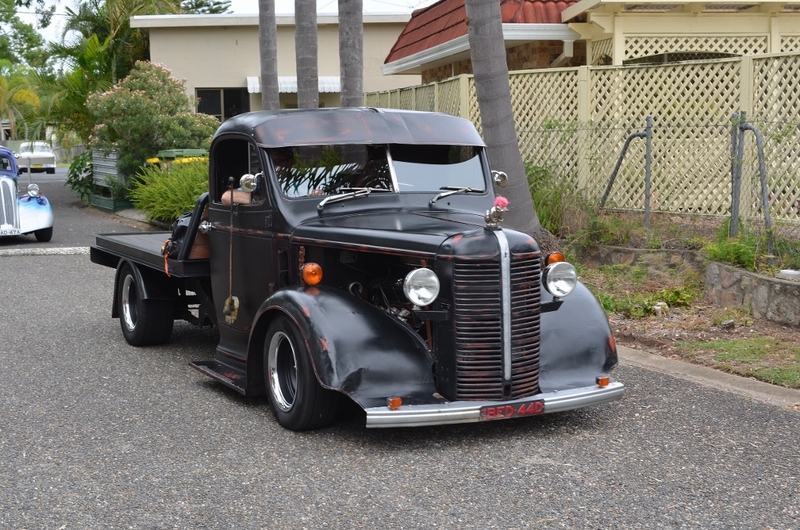 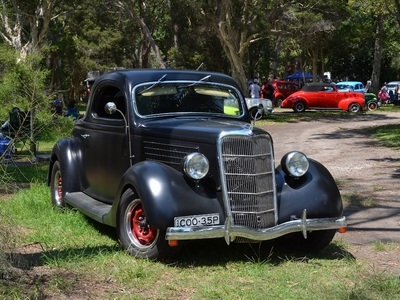 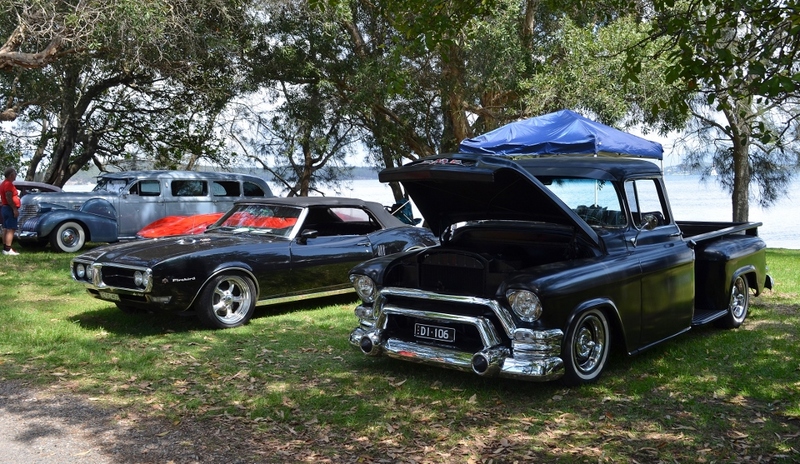 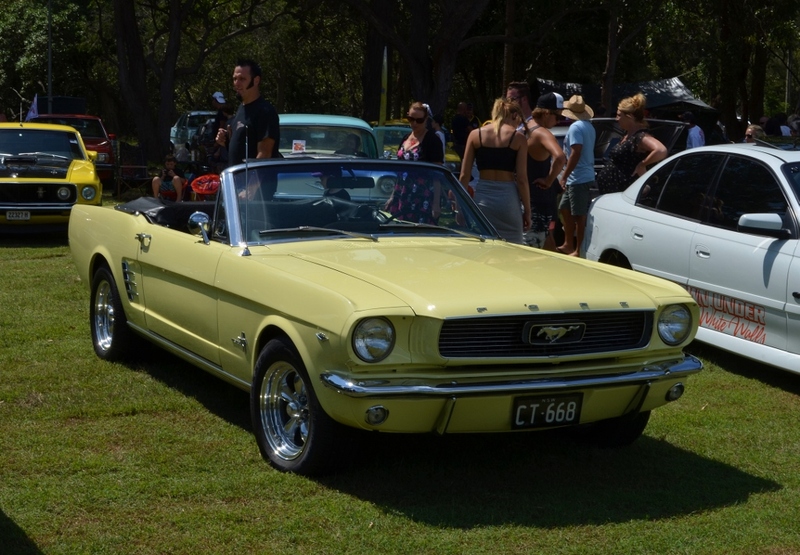 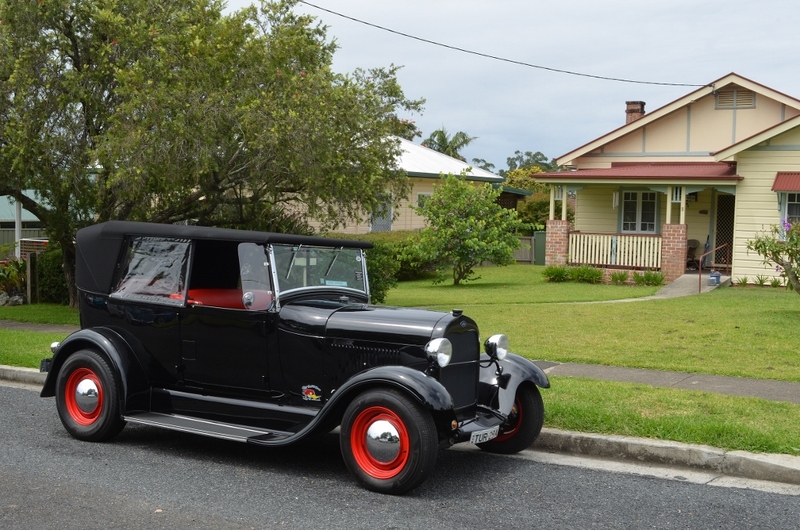 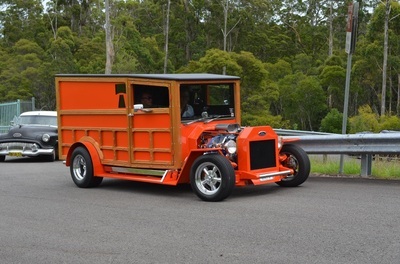 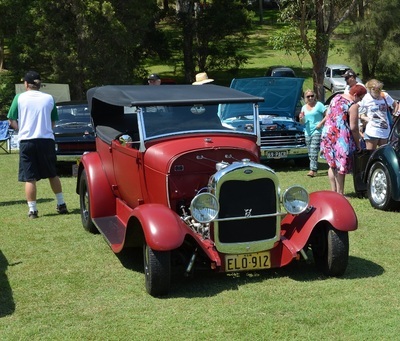 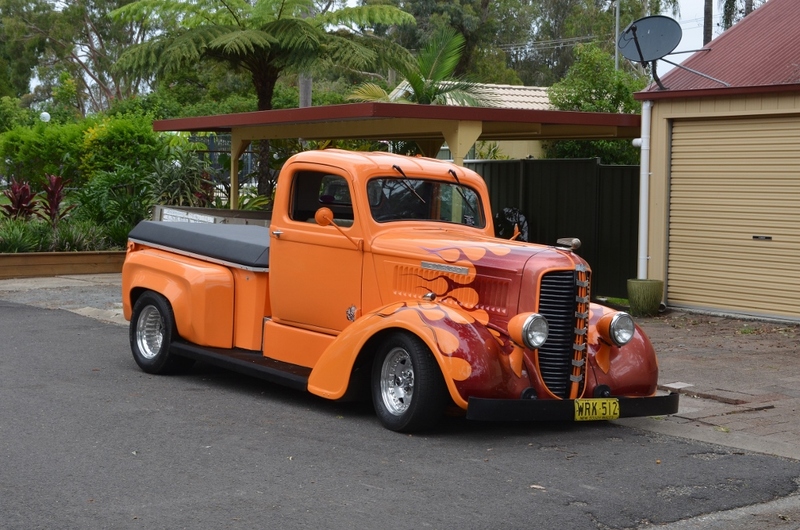 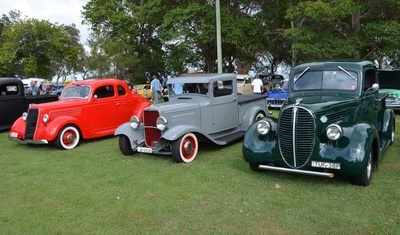 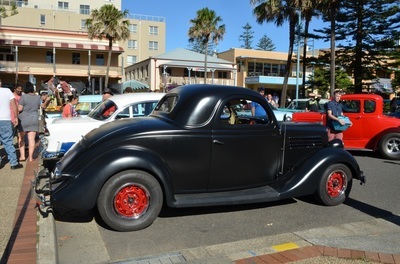 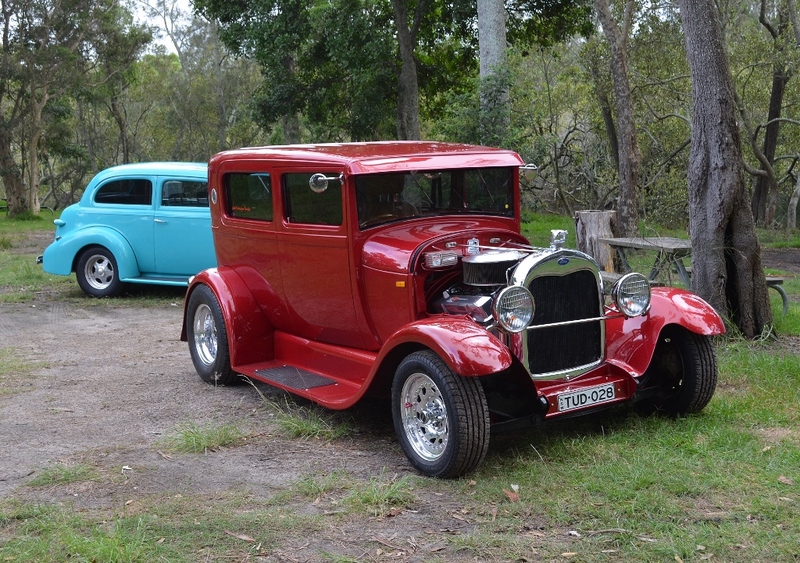 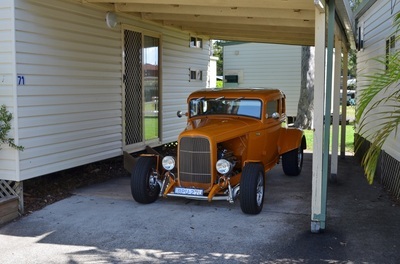 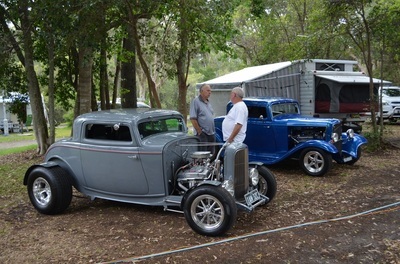 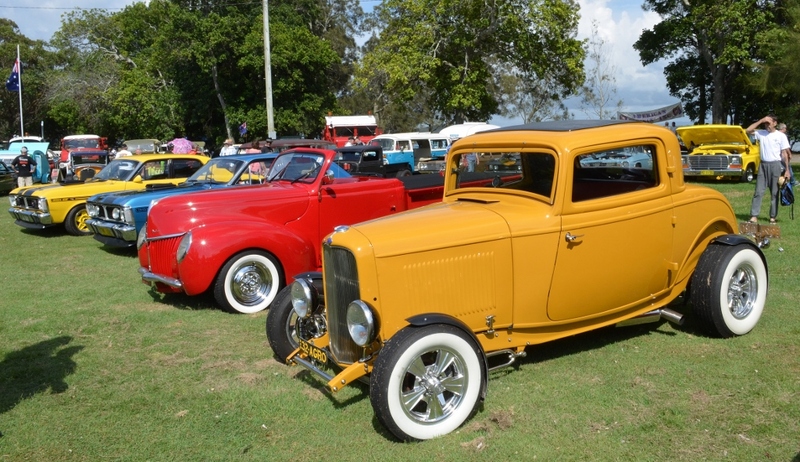 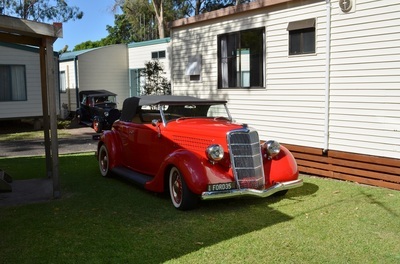 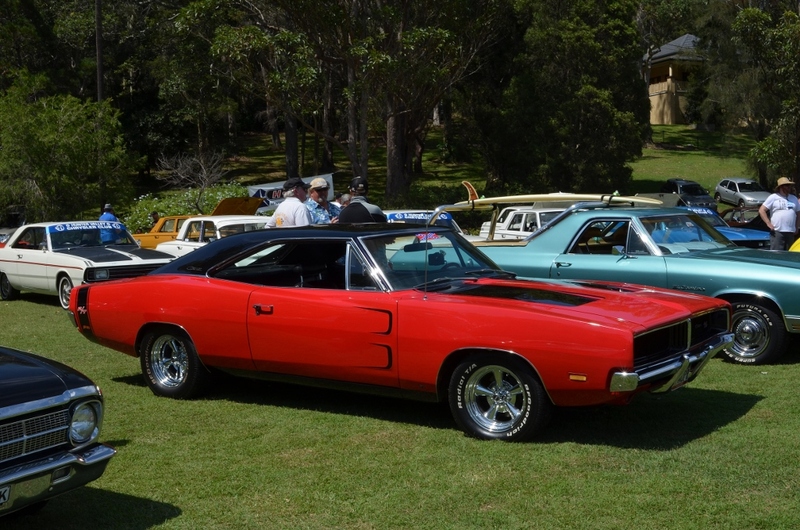 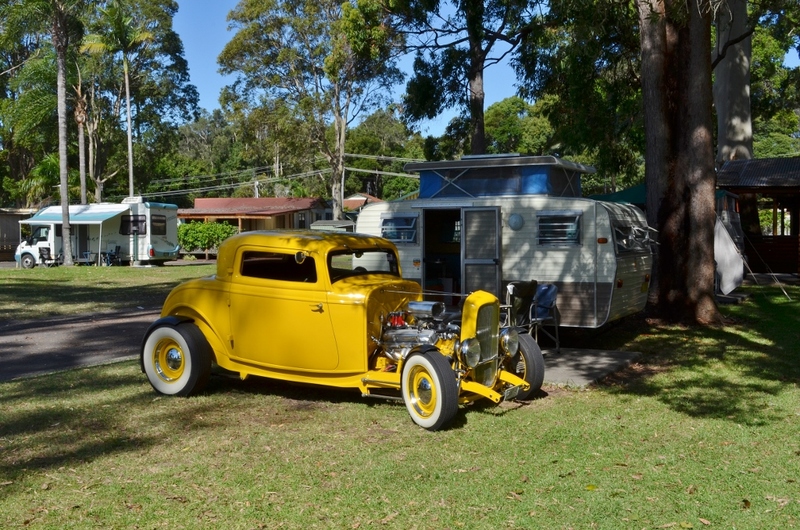 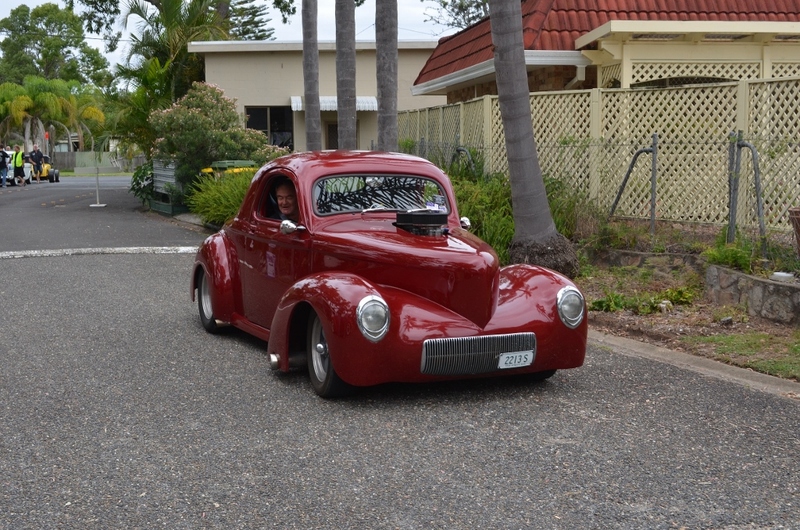 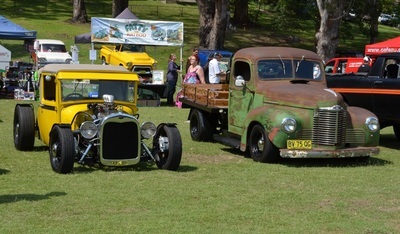 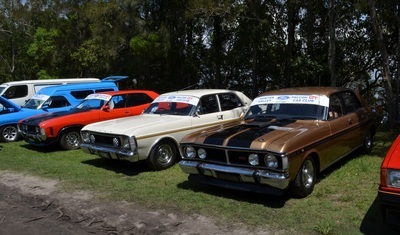 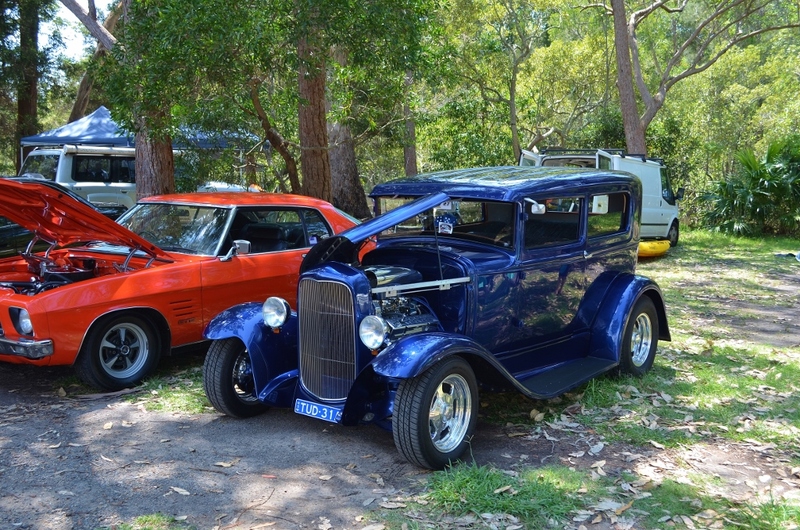 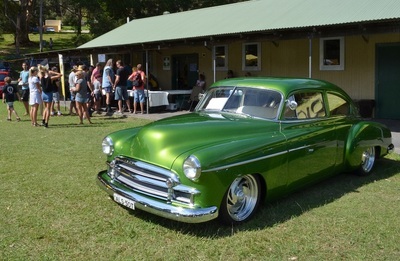 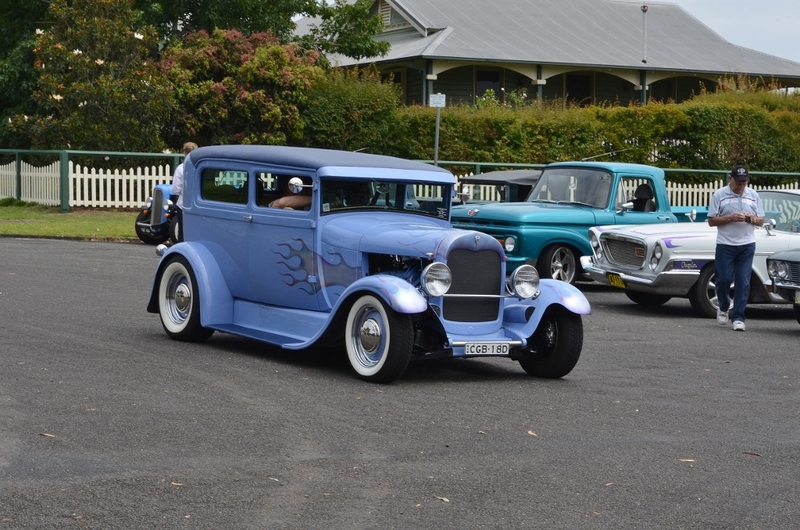 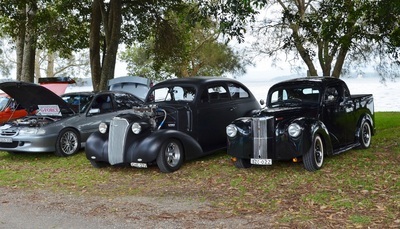 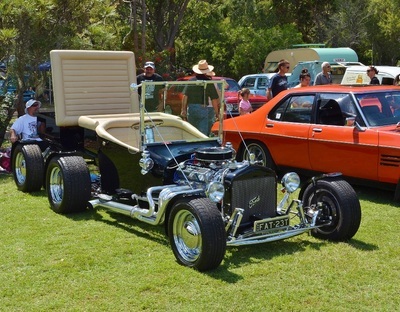 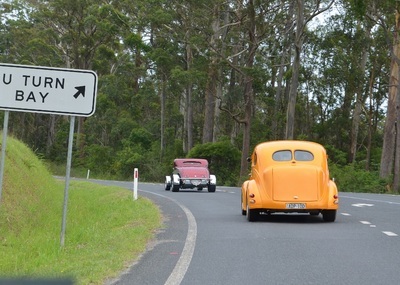 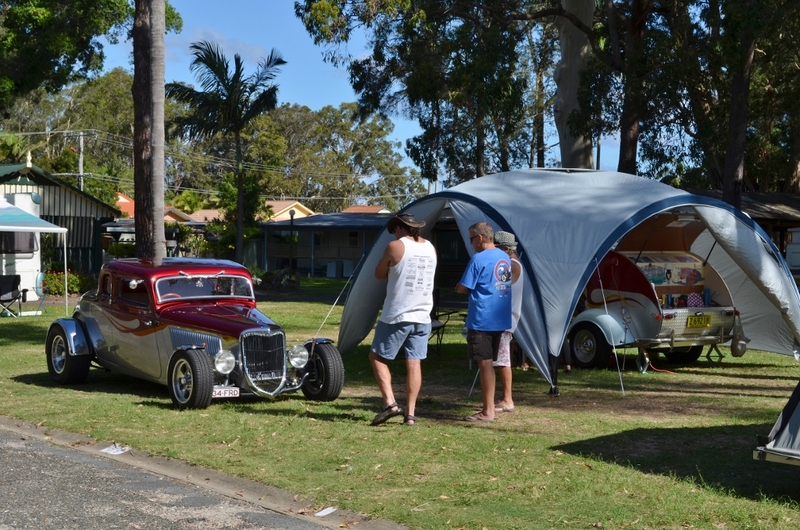 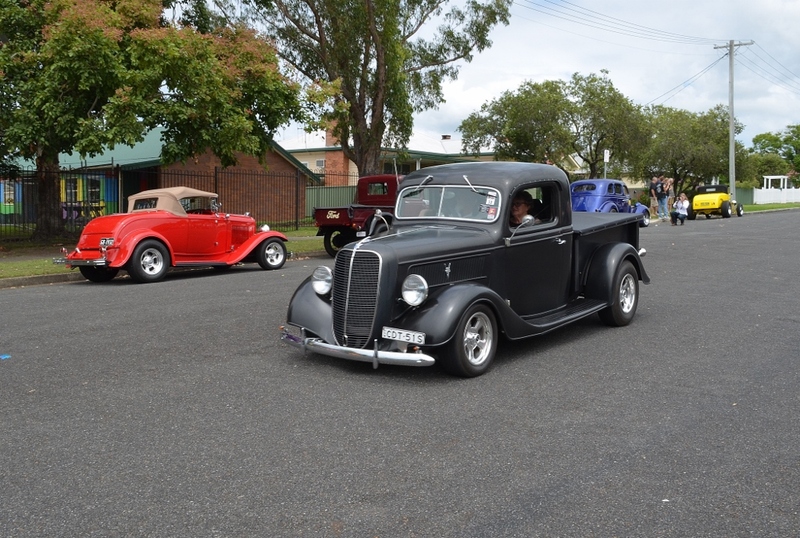 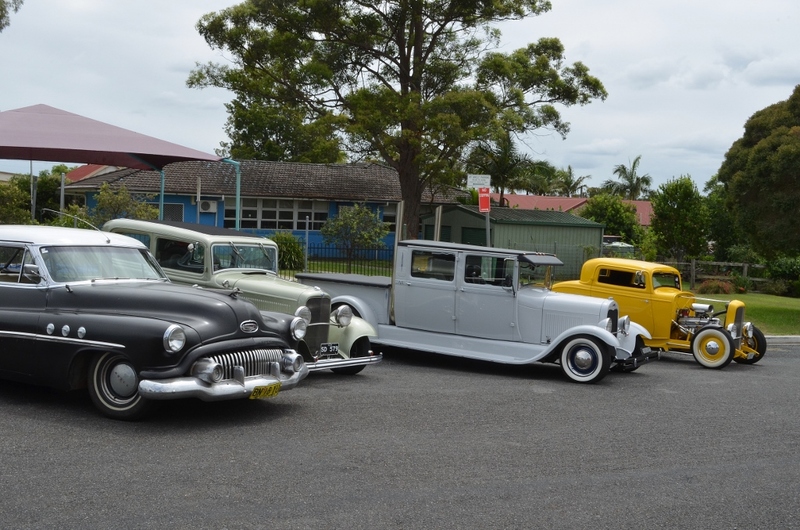 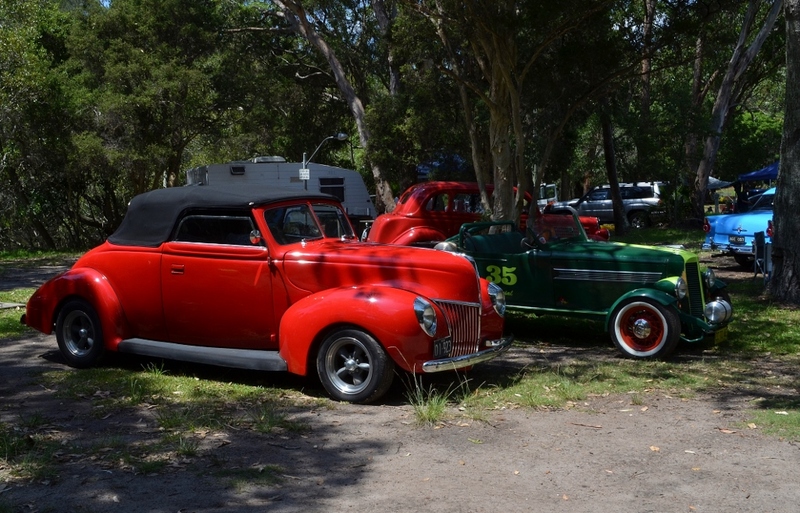 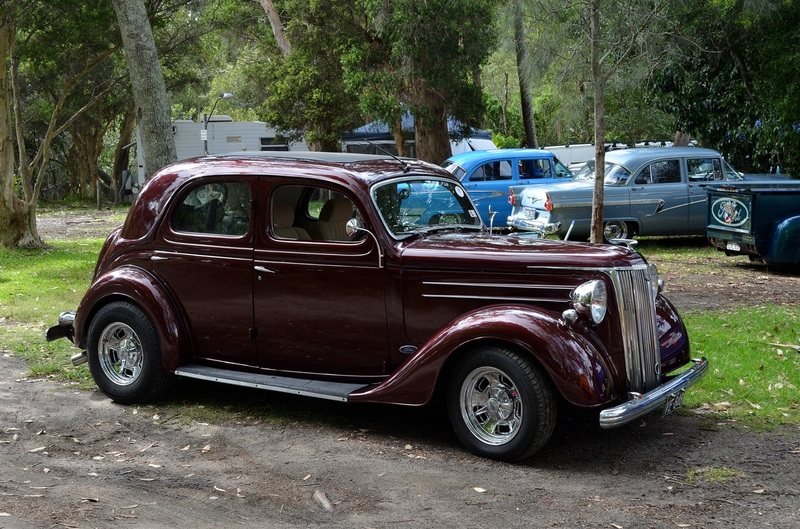 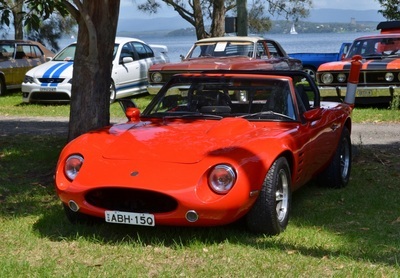 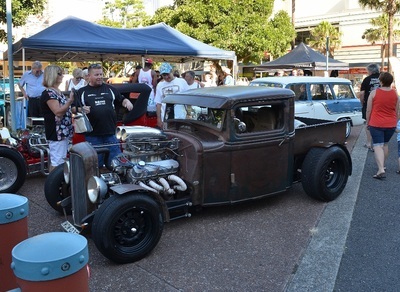 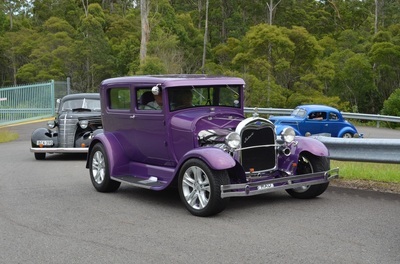 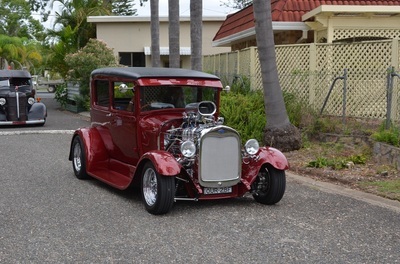 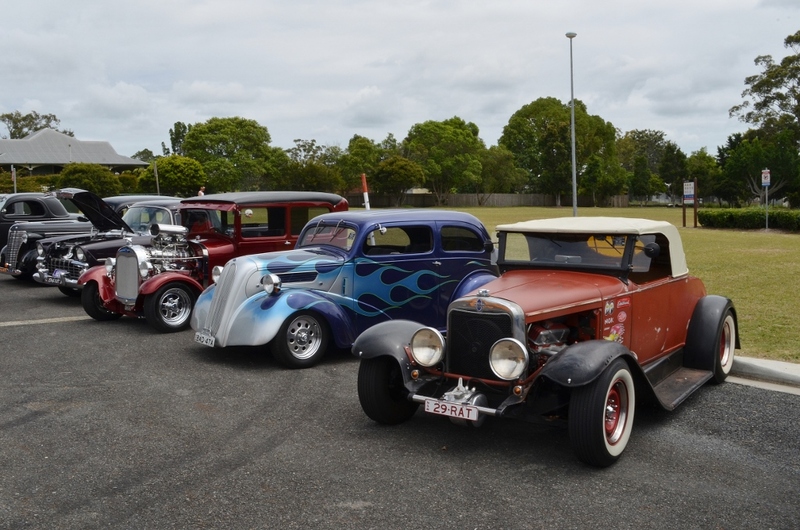 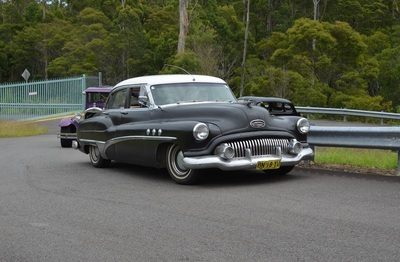 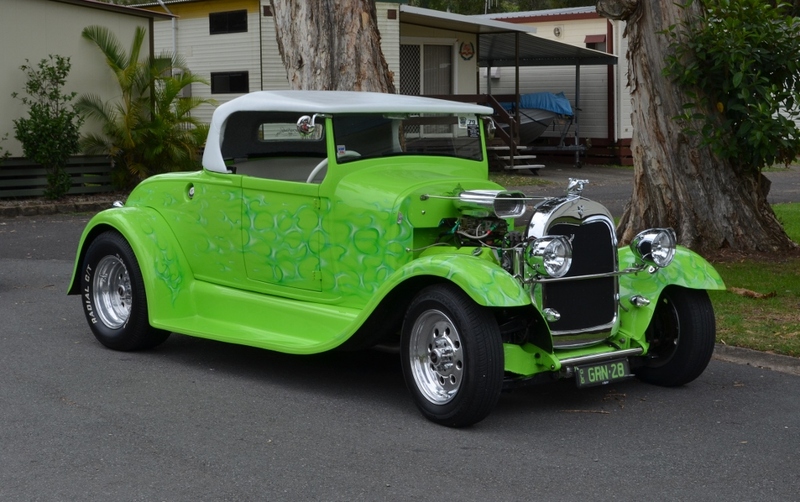 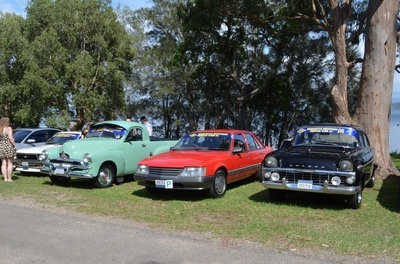 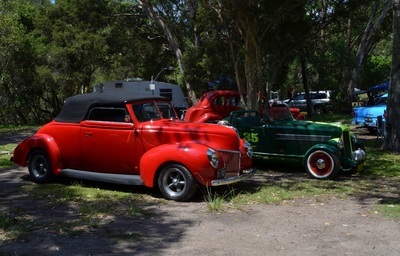 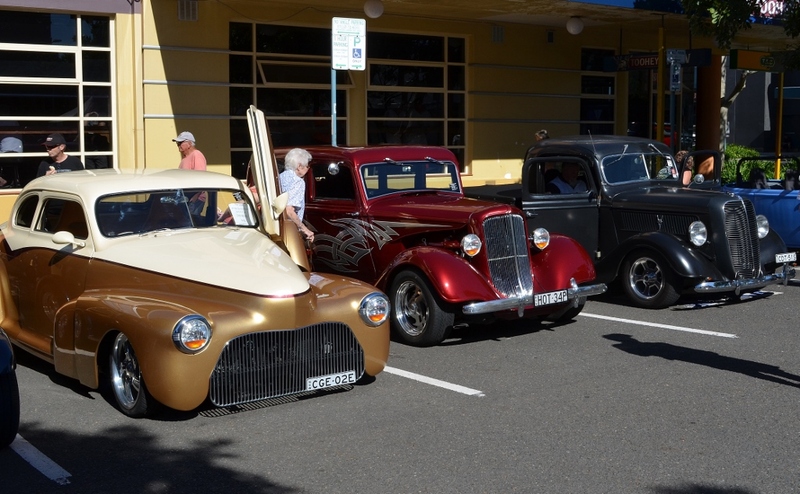 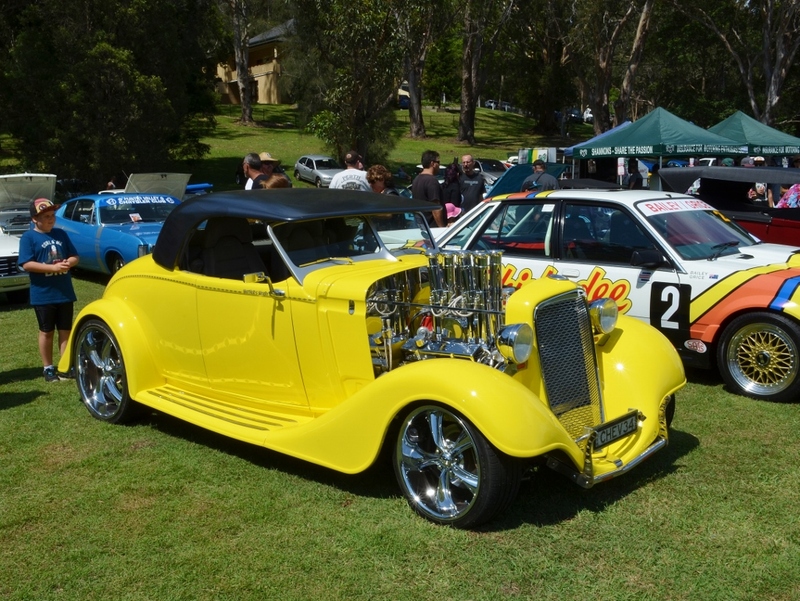 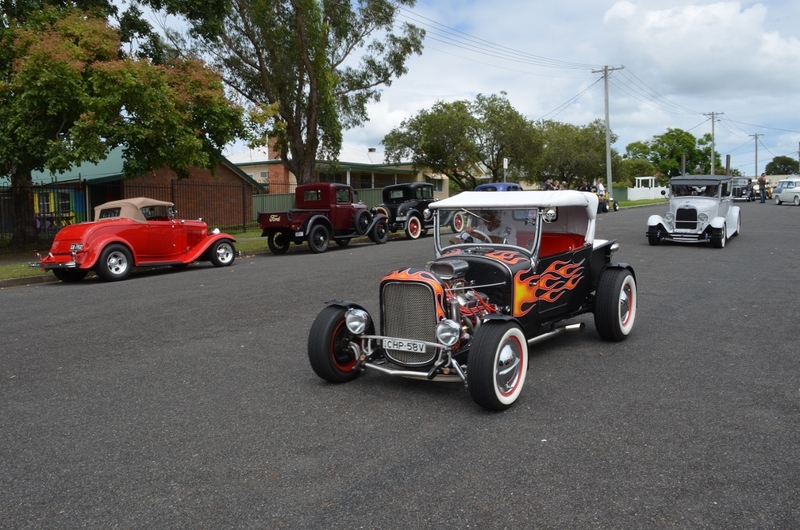 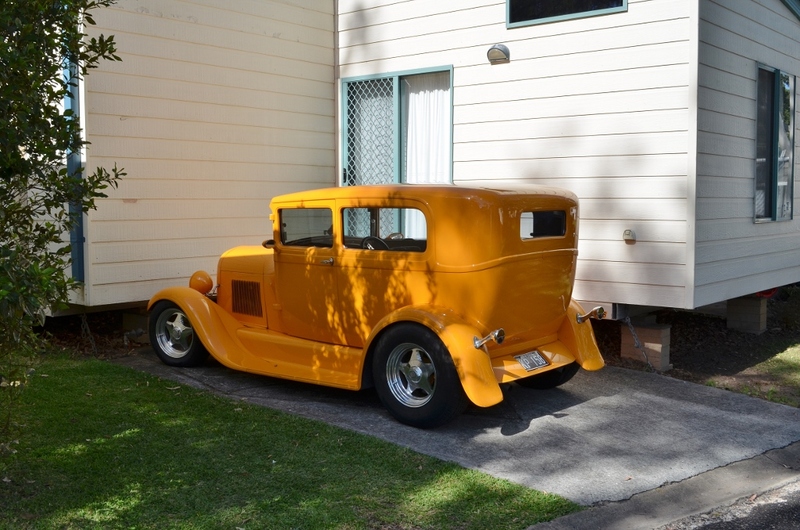 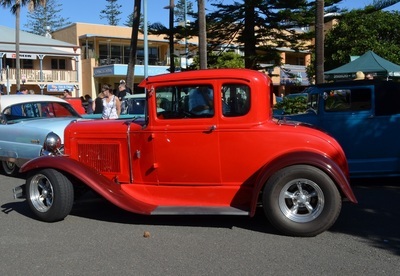 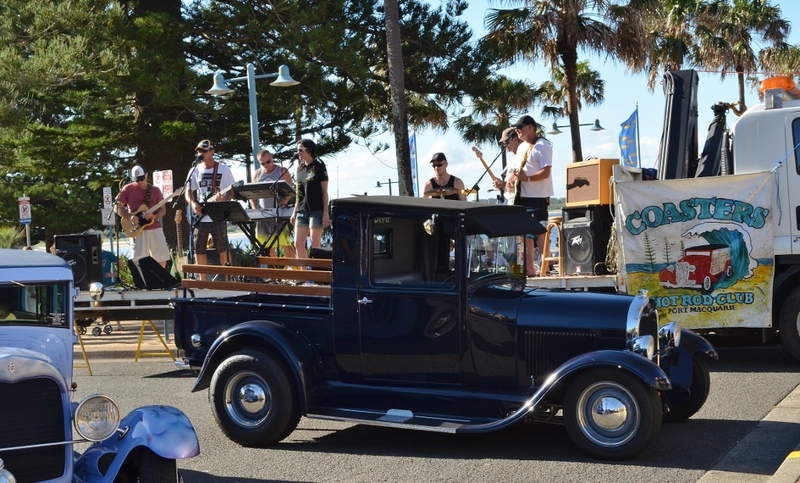 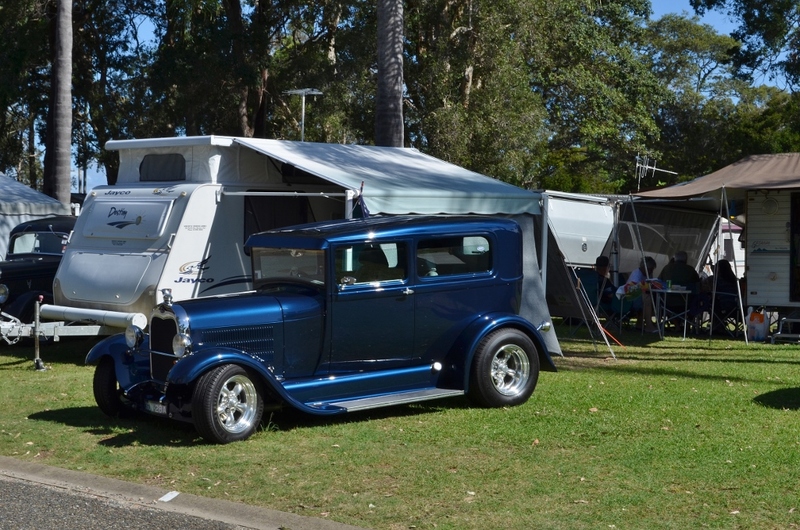 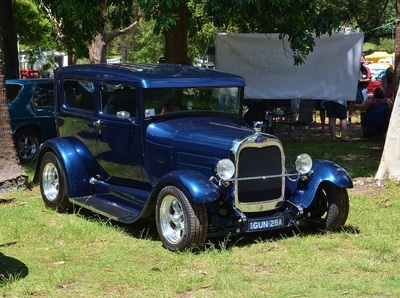 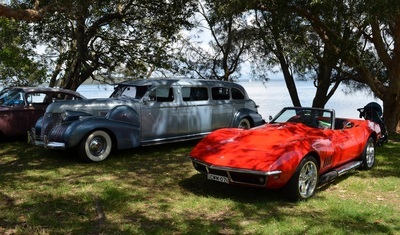 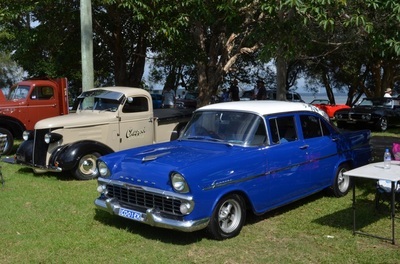 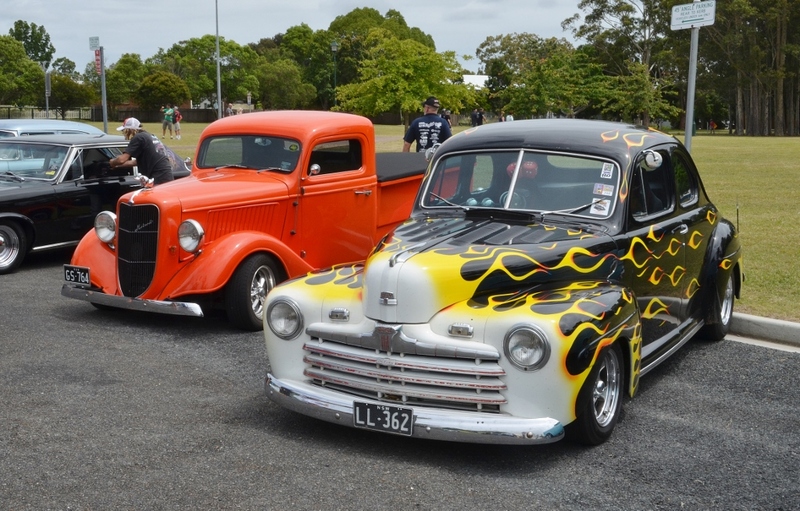 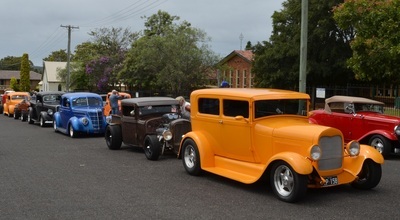 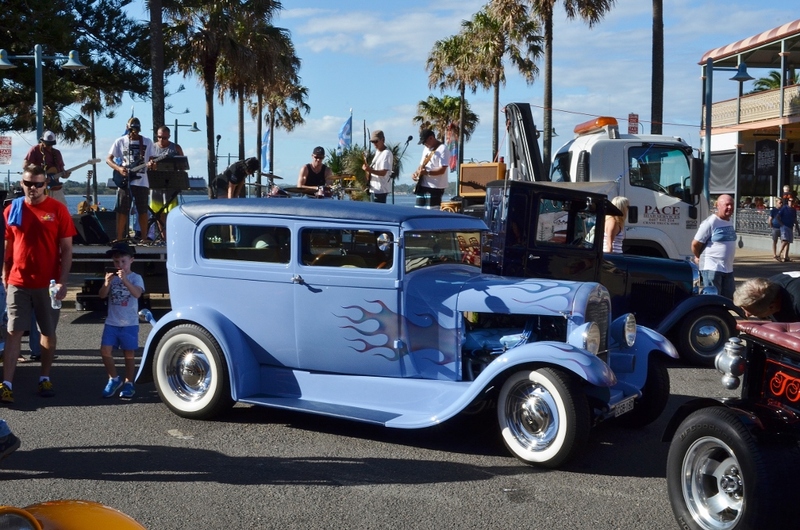 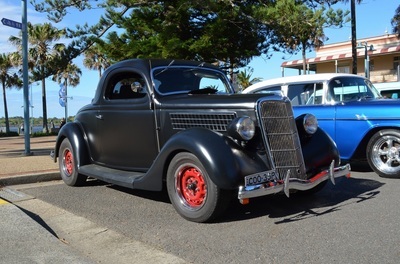 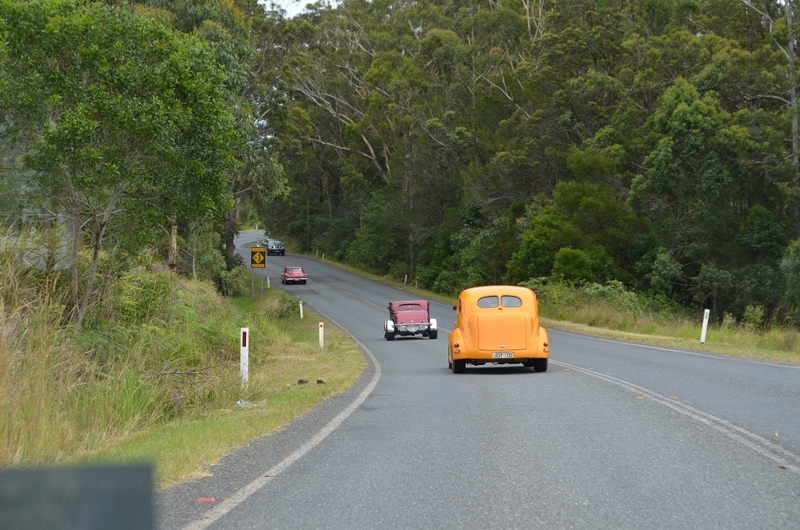 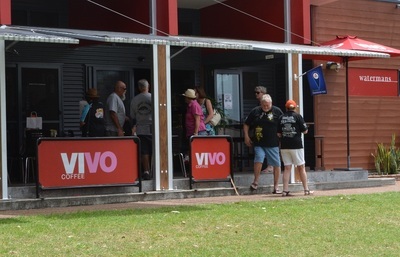 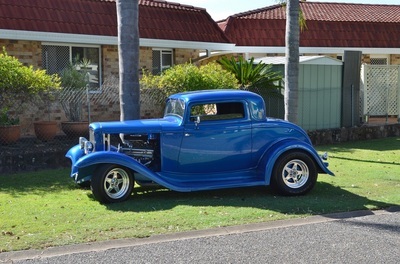 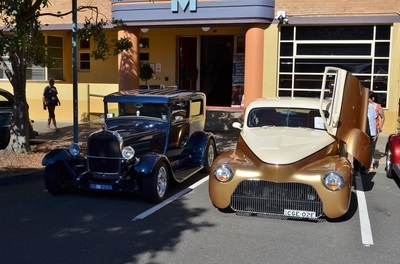 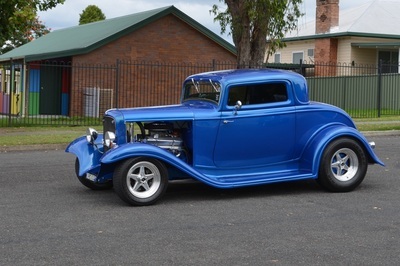 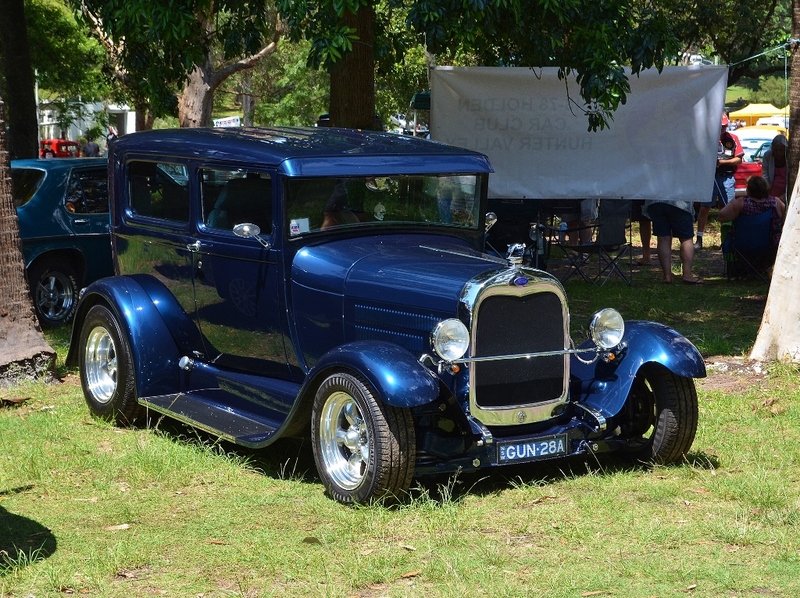 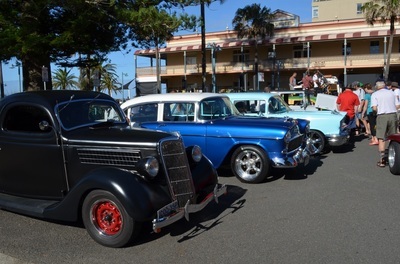 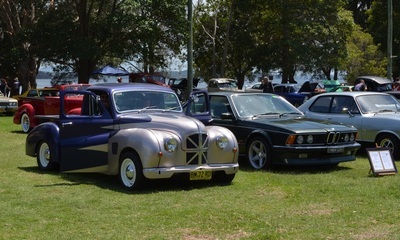 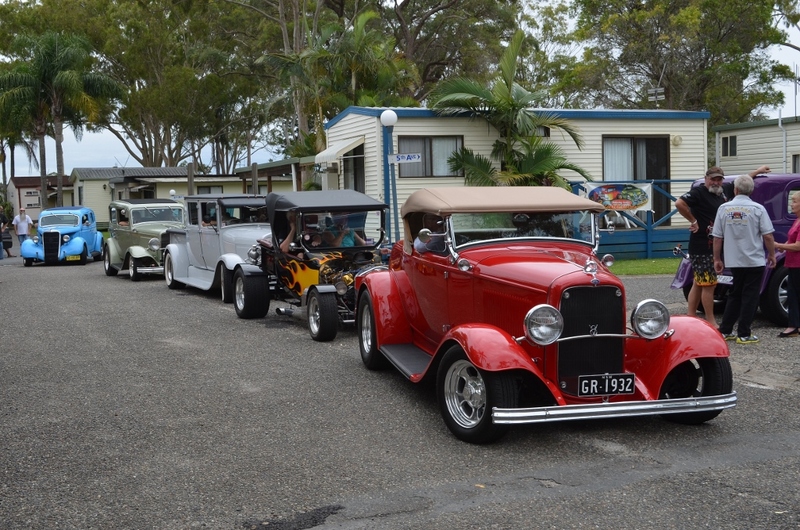 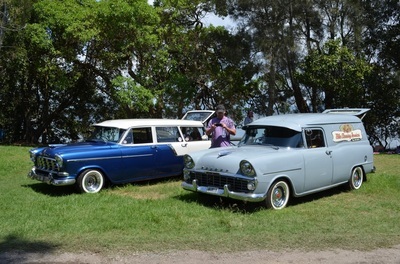 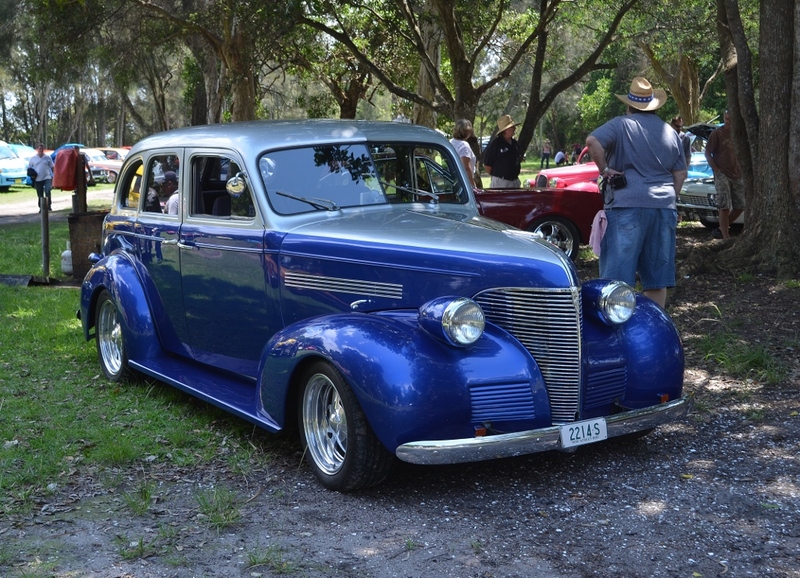 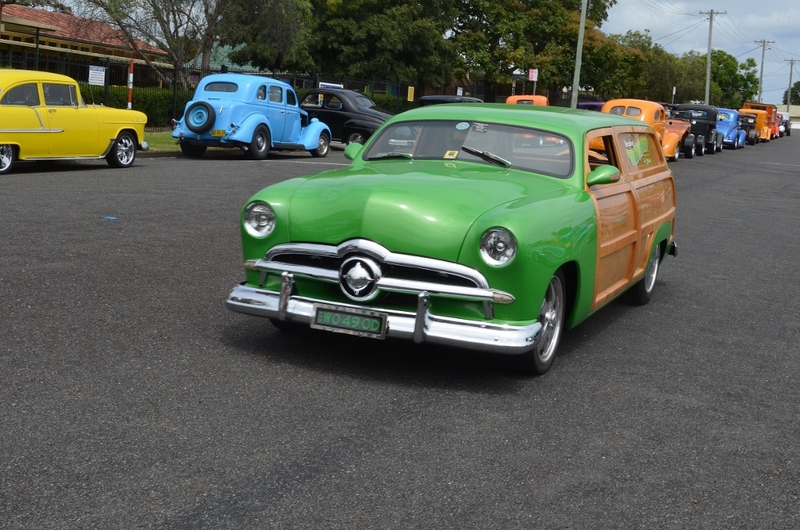 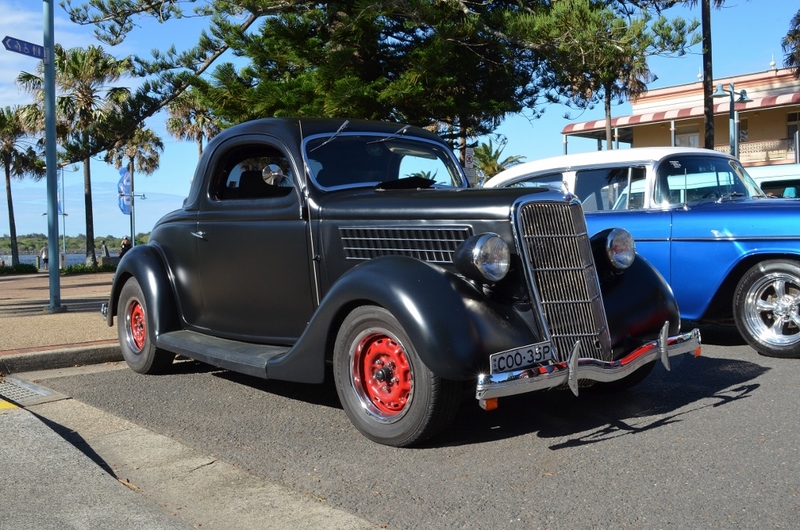 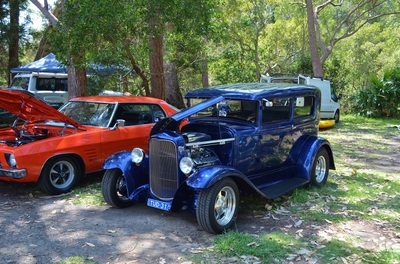 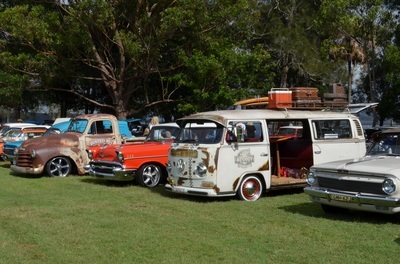 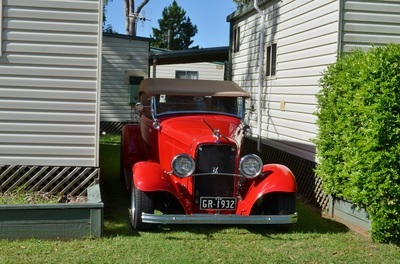 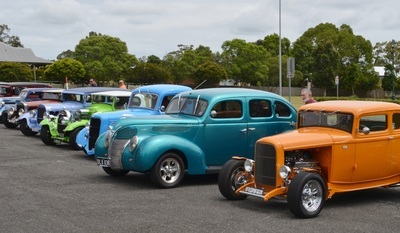 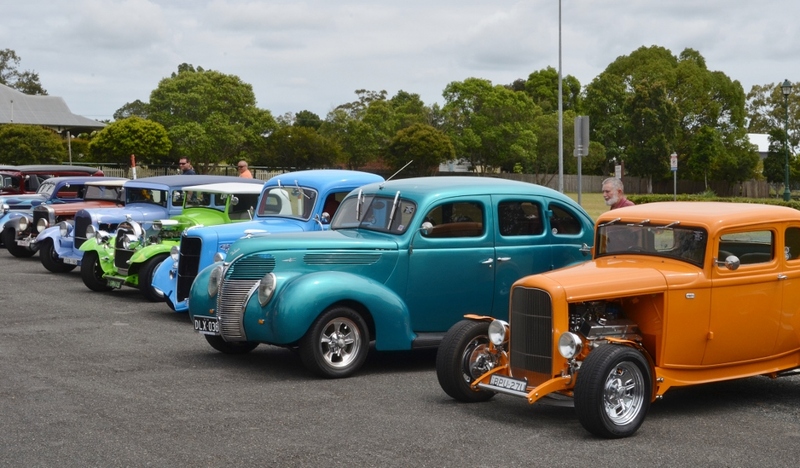 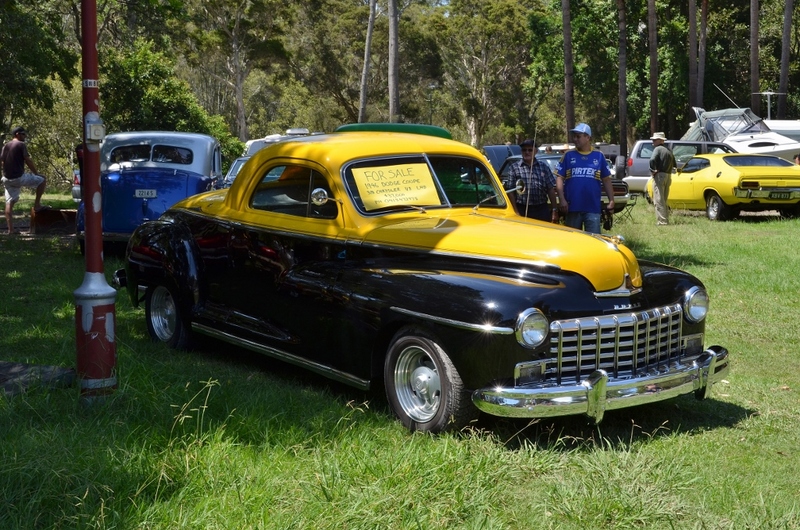 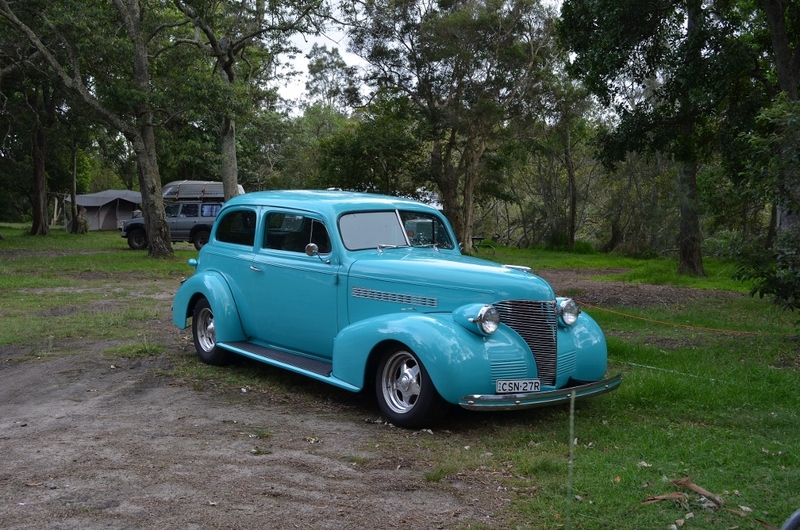 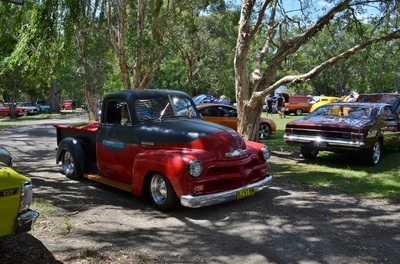 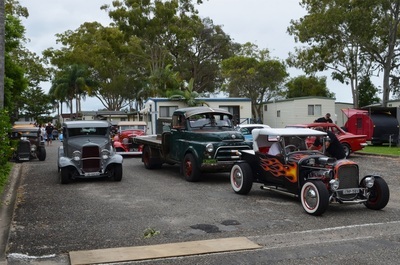 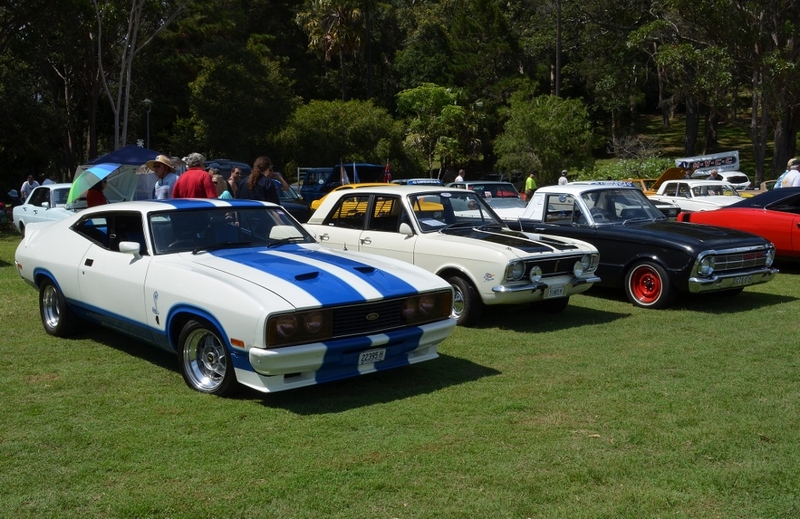 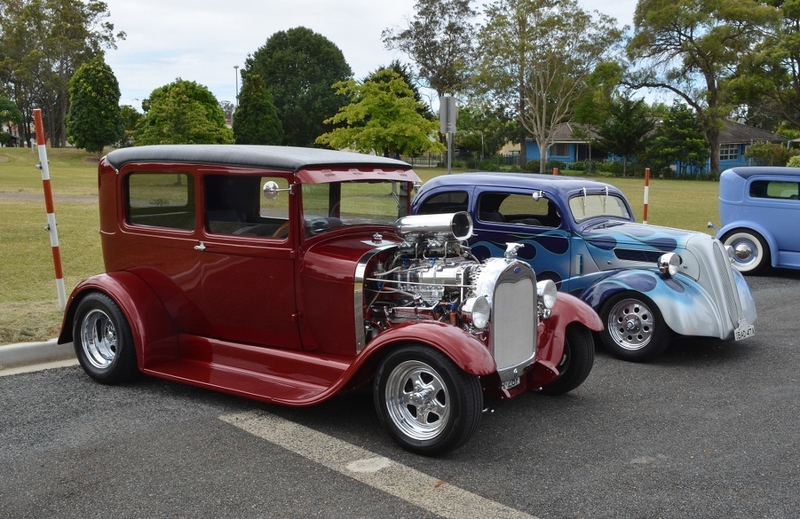 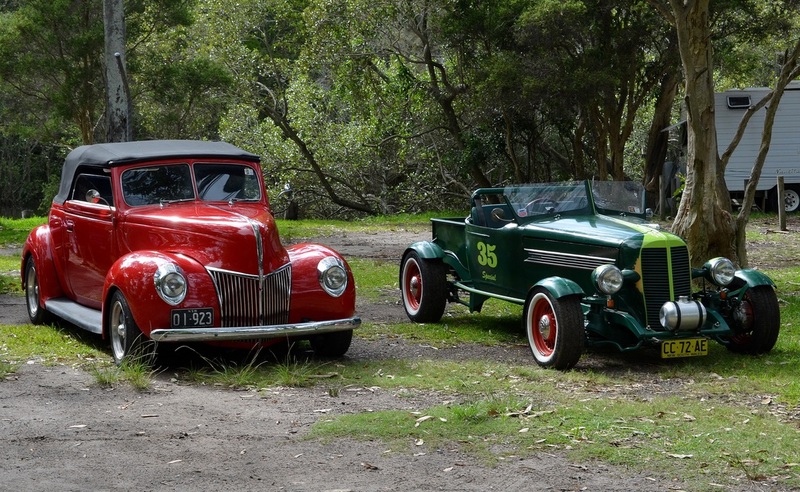 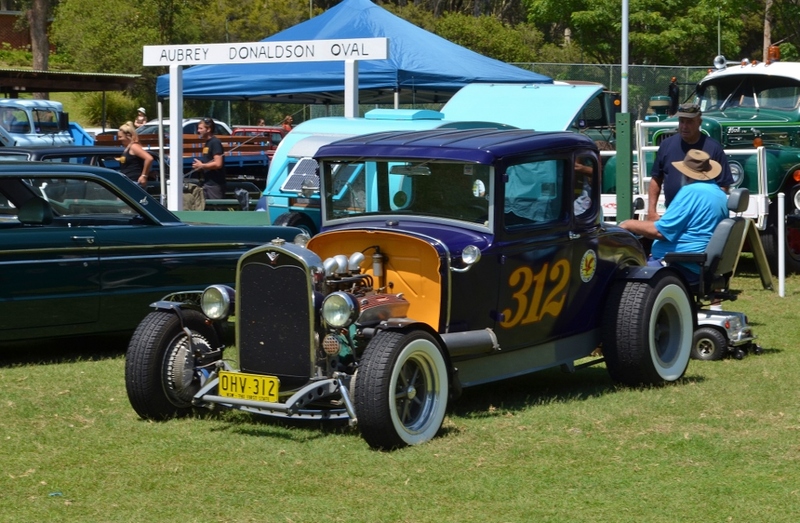 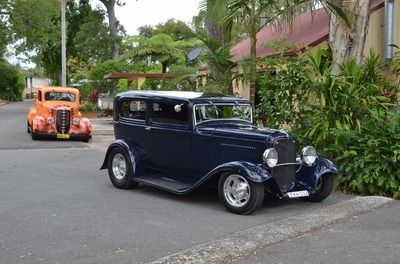 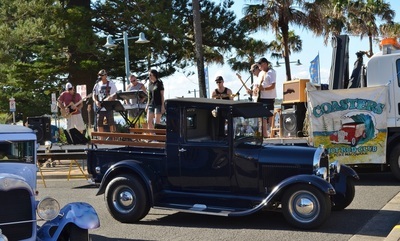 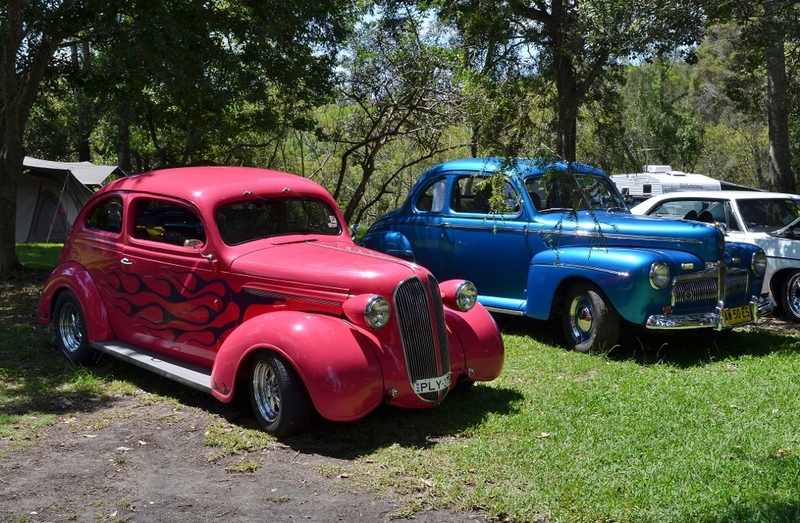 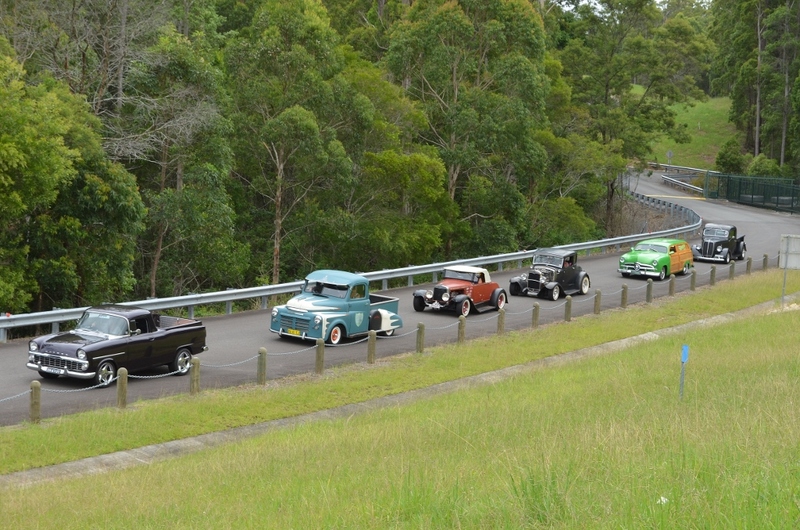 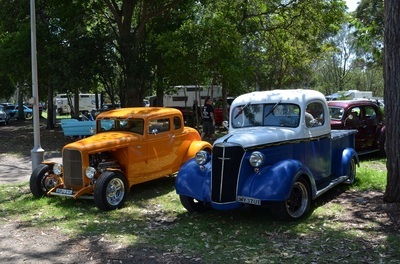 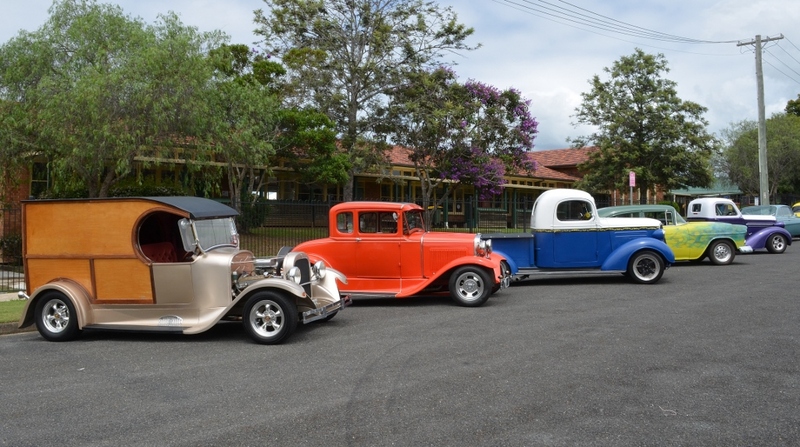 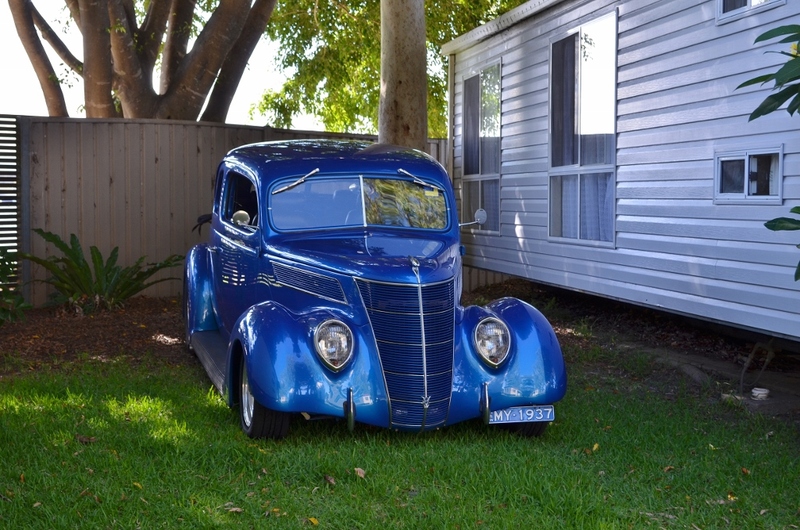 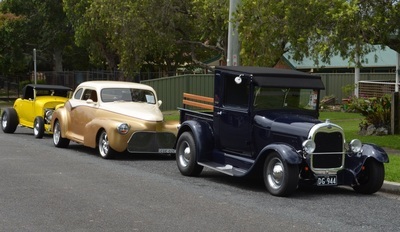 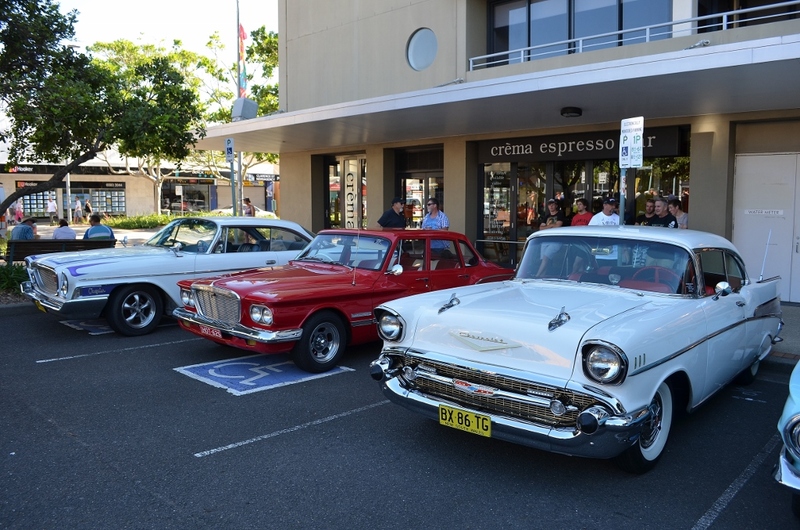 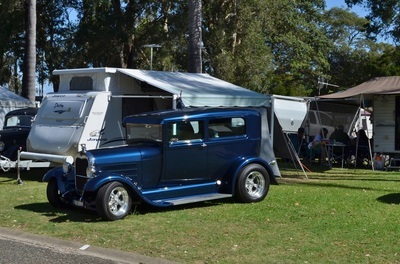 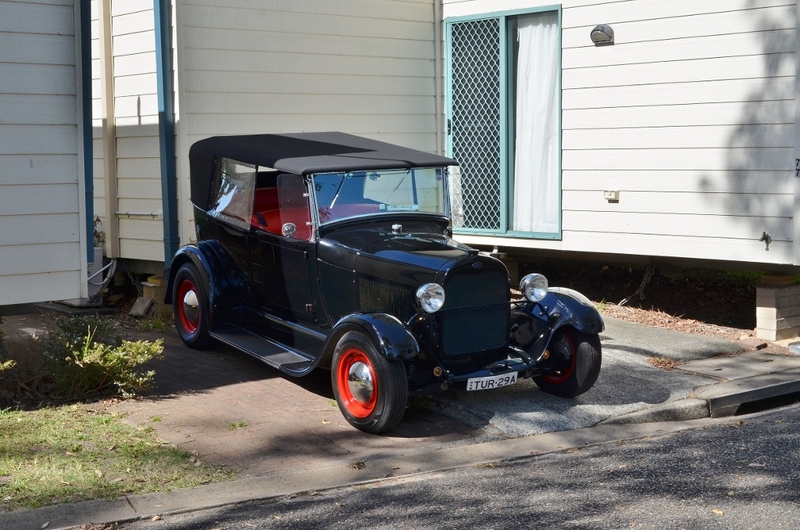 The Coasters Hot Rod Club's 13 Annual Coastal Cruise at Port Macquarie had to be one of the best ever. 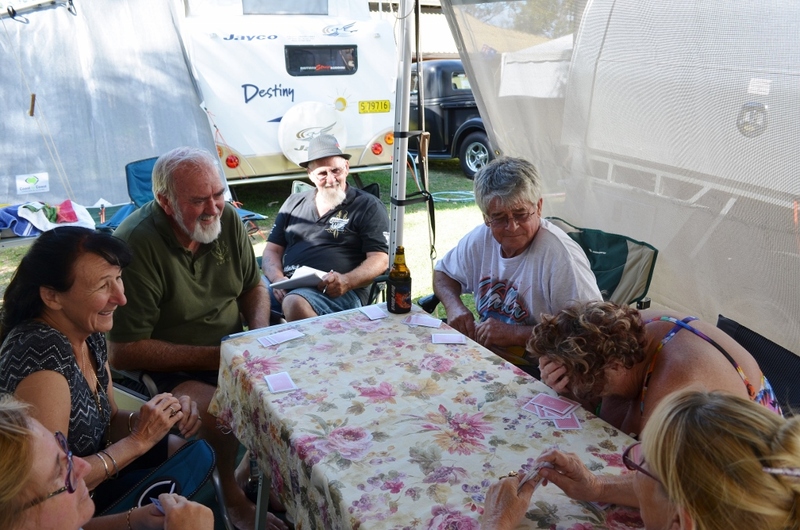 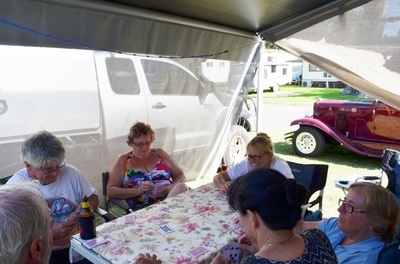 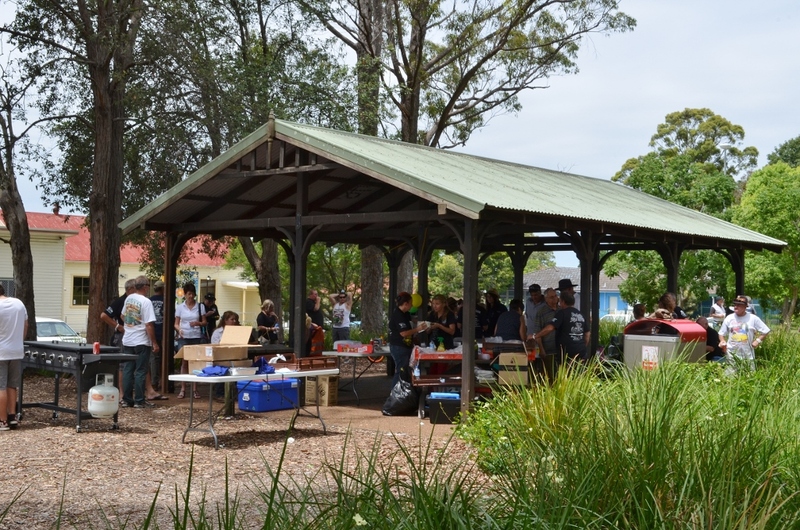 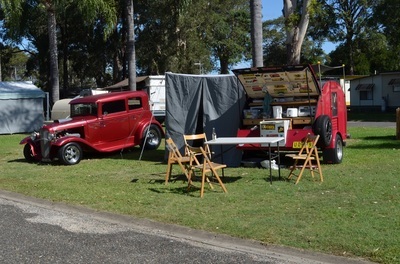 The weather this year was perfect as were all the meals they served to the entrants. 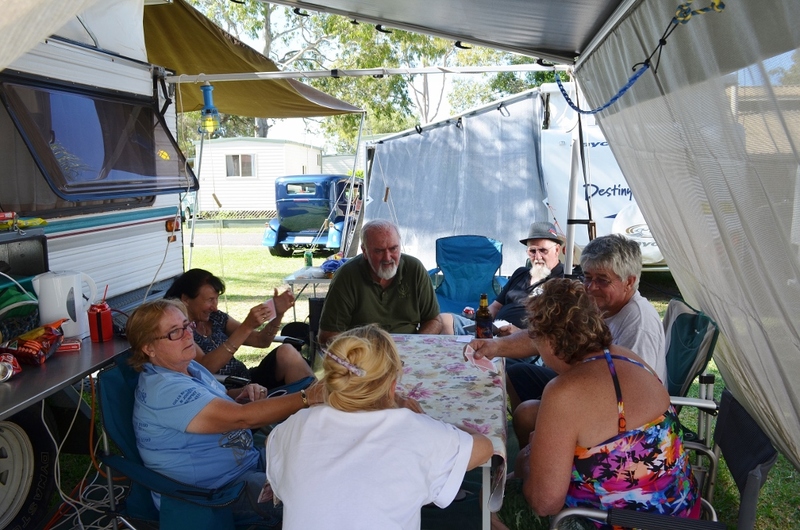 The weekend started on the Friday night with the usual meet and greet, Roast Beef and Gravy rolls and drinks supplied and neither ran out. 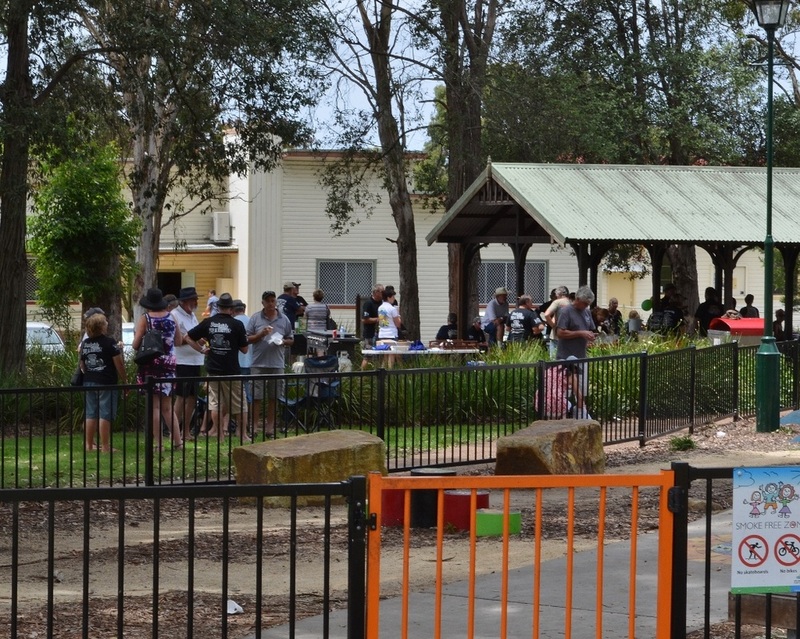 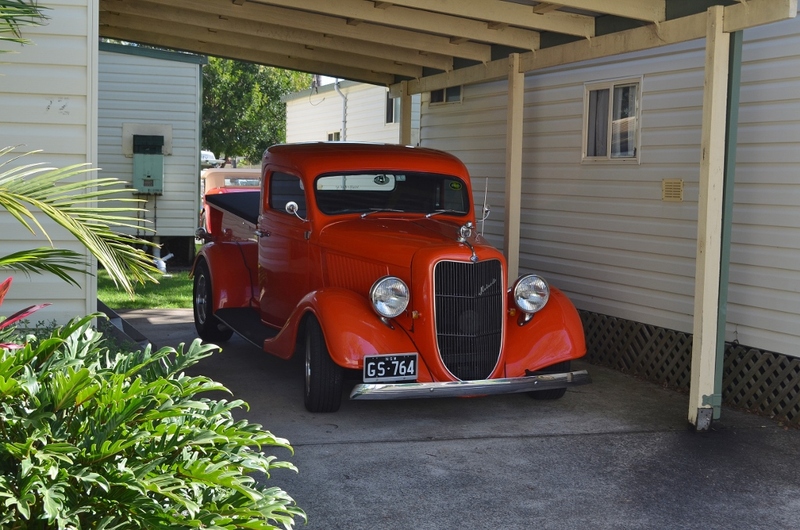 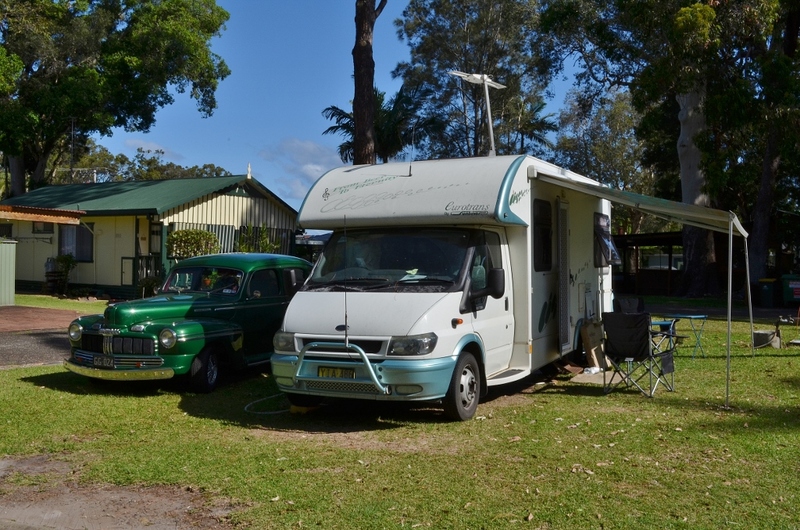 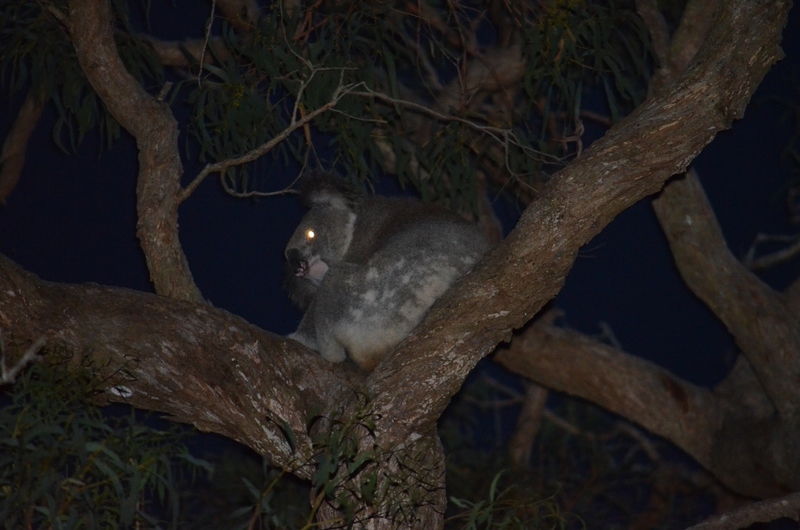 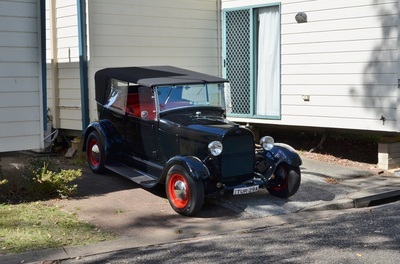 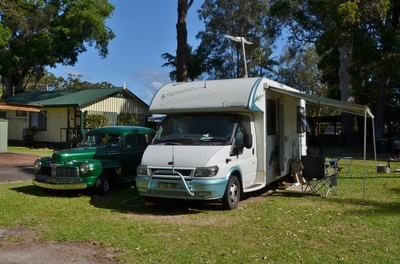 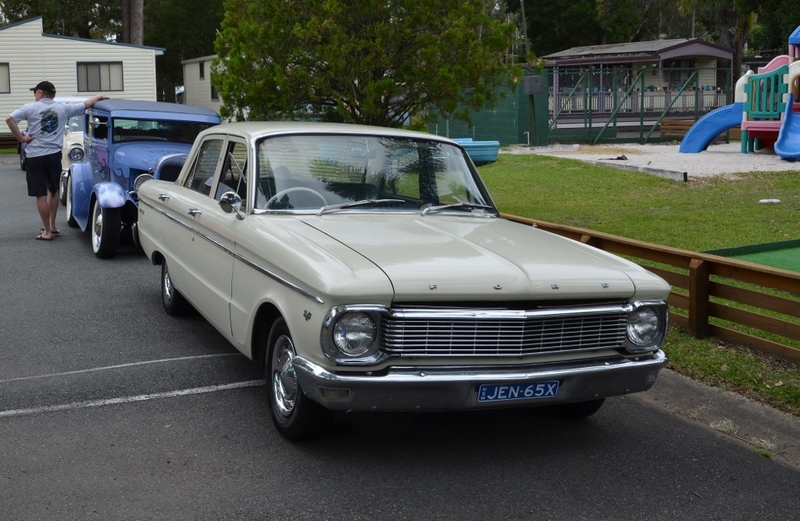 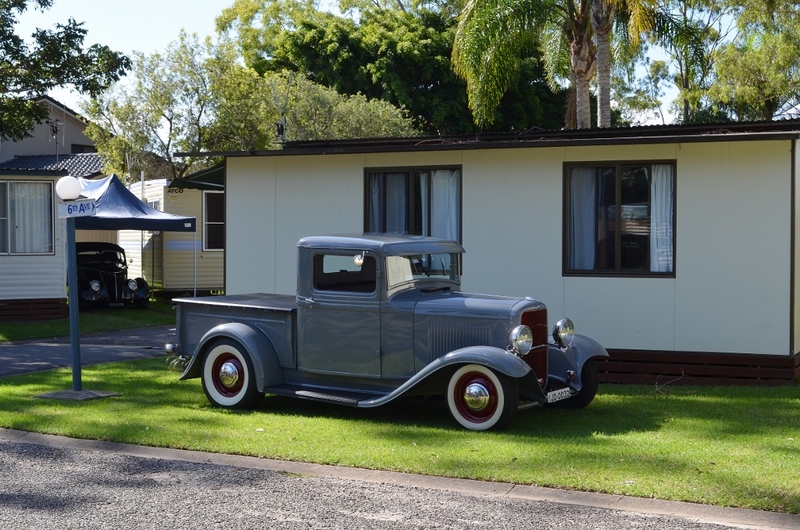 Perfect Pancakes, cereal, toast and fruit for breakfast on Saturday and then an observation run to Wauchope where we were served a great BBQ and then cakes. 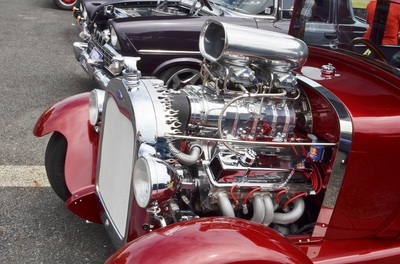 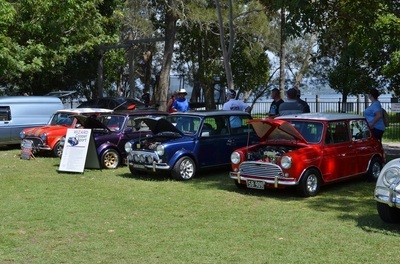 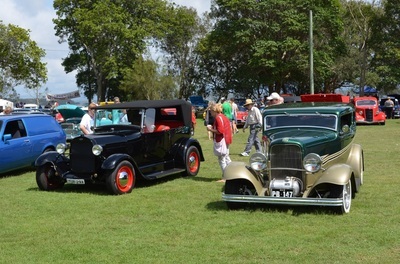 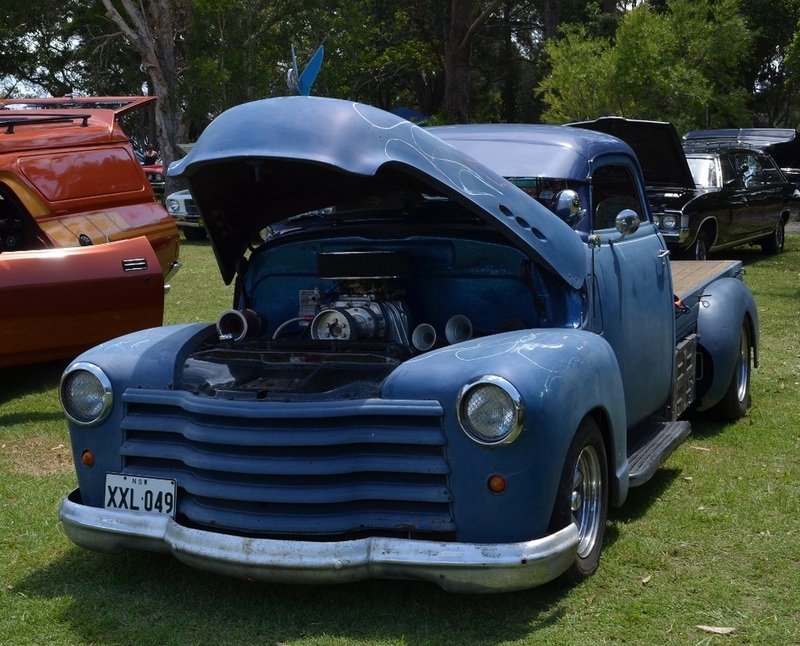 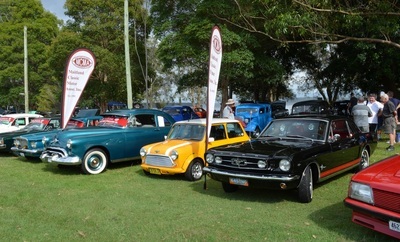 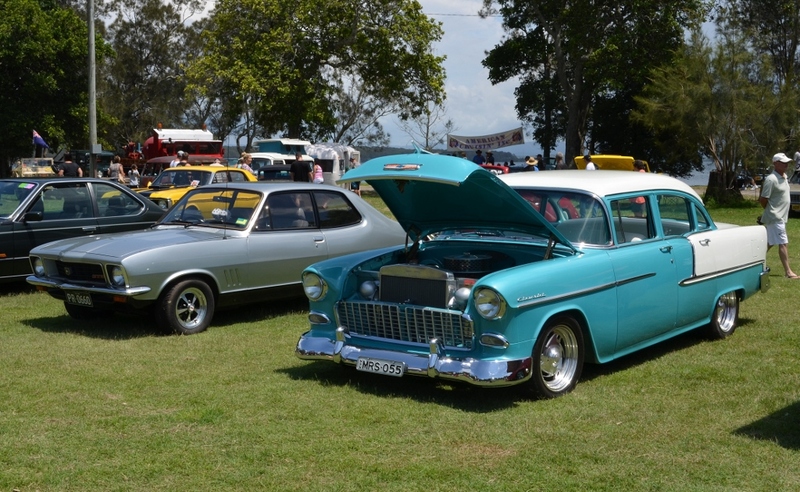 This years Show and Shine saw the largest crowd turn up to view the Rods with an estimated 6000 lookers enjoying the cars and the band. 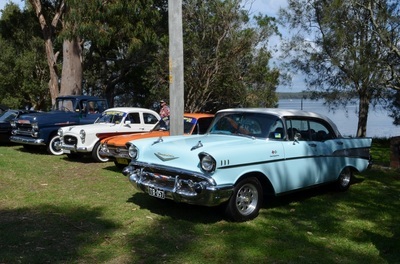 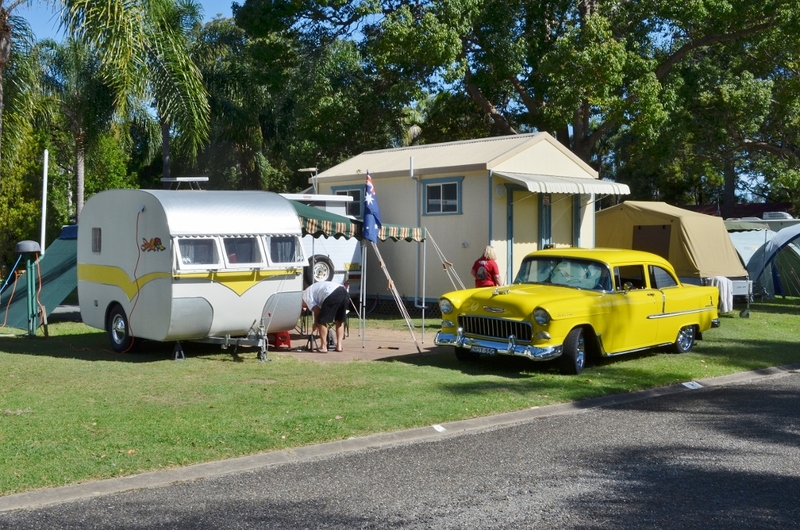 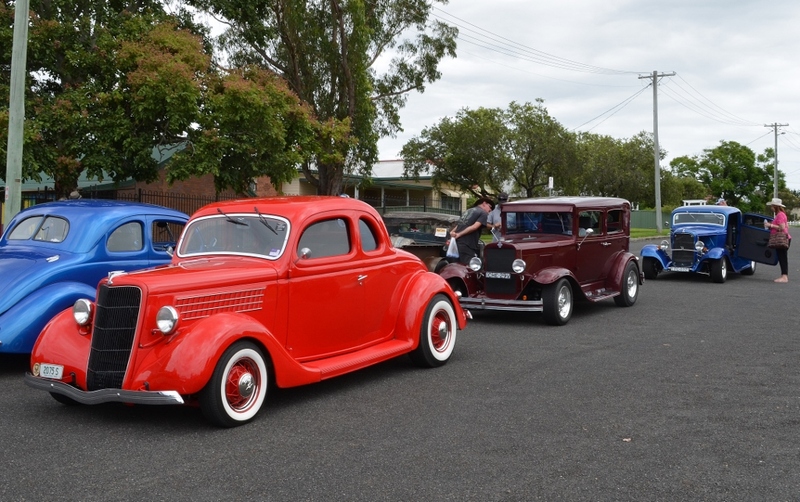 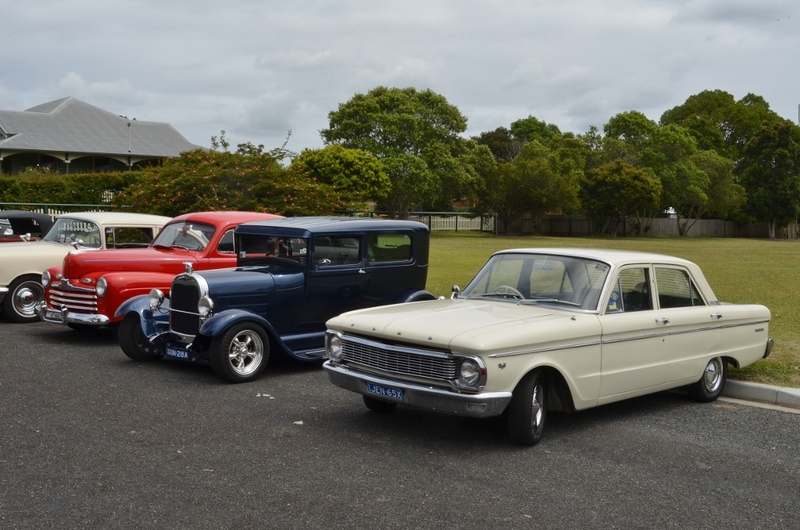 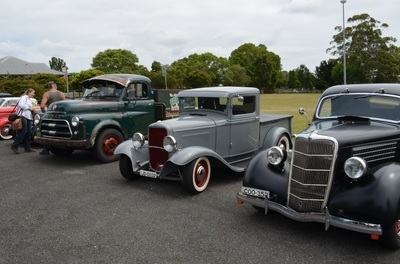 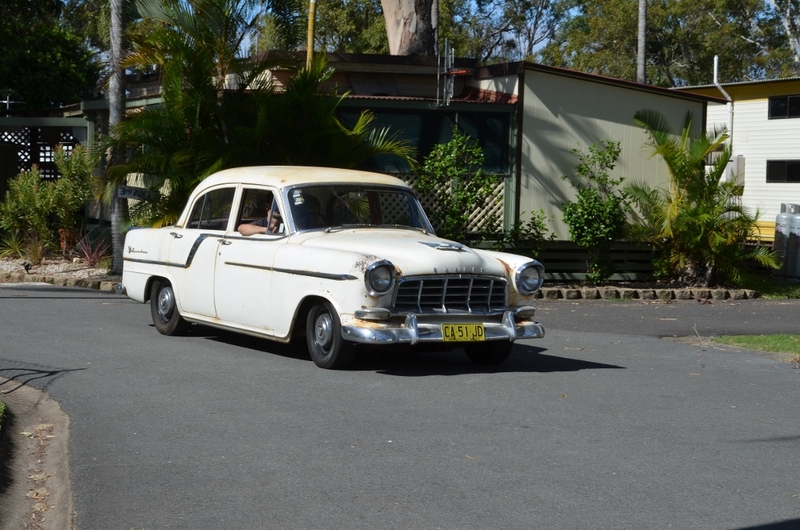 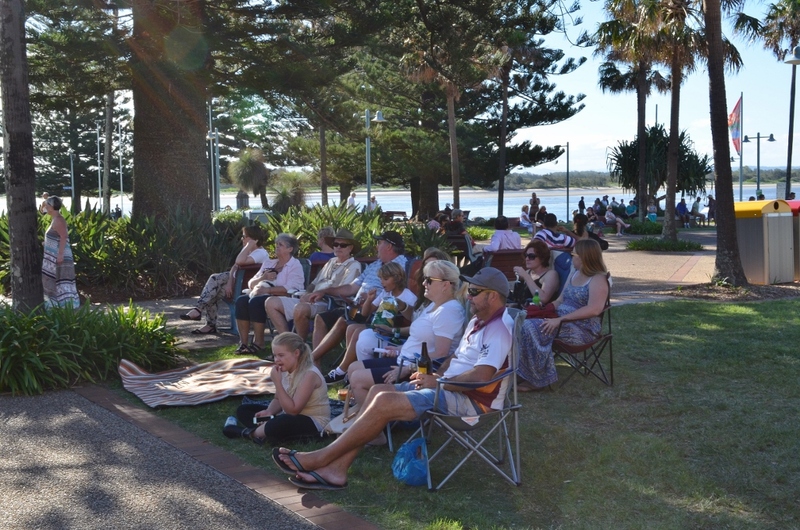 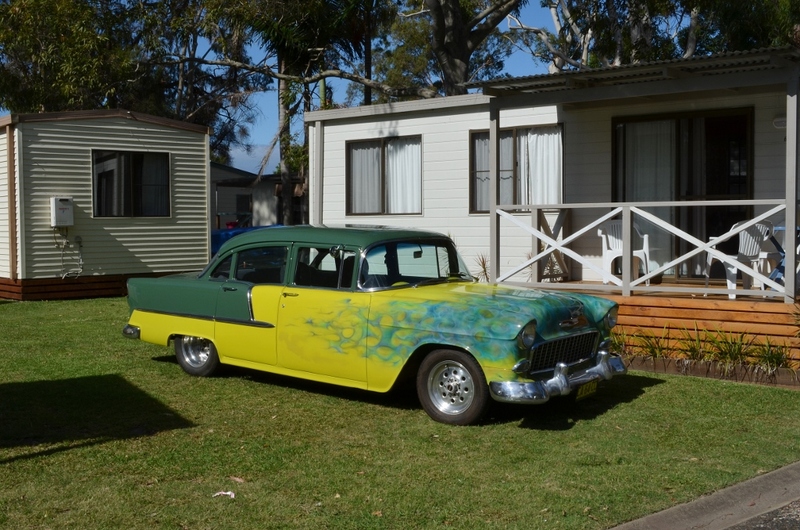 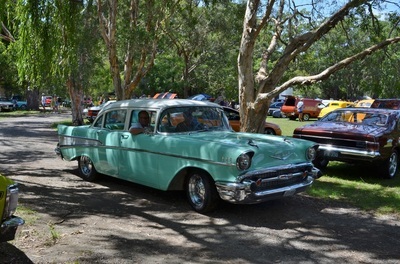 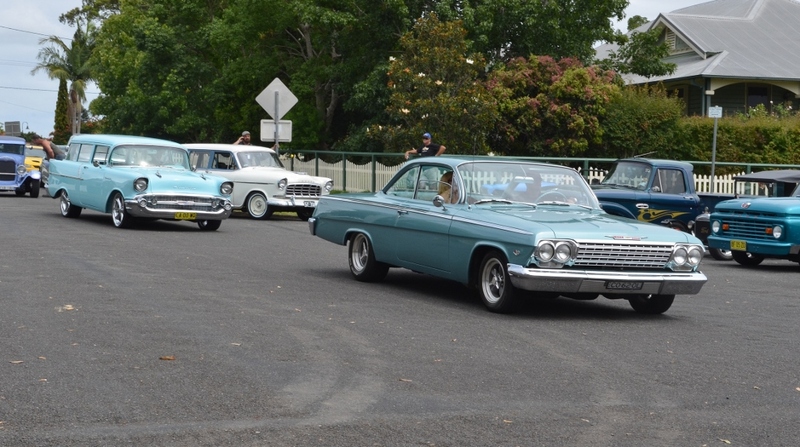 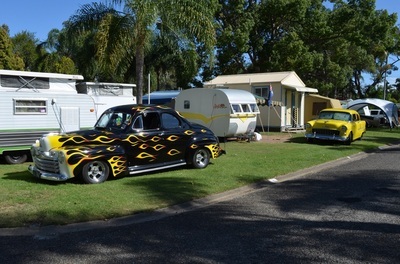 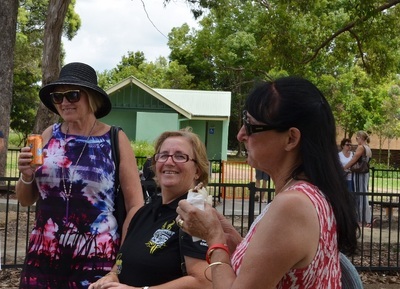 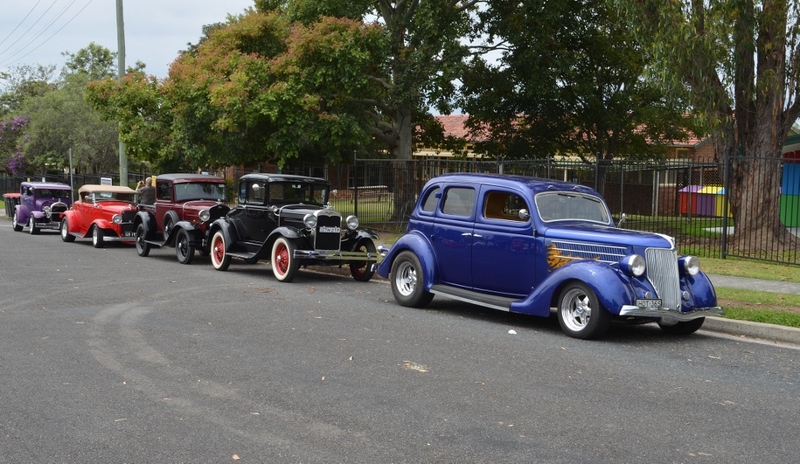 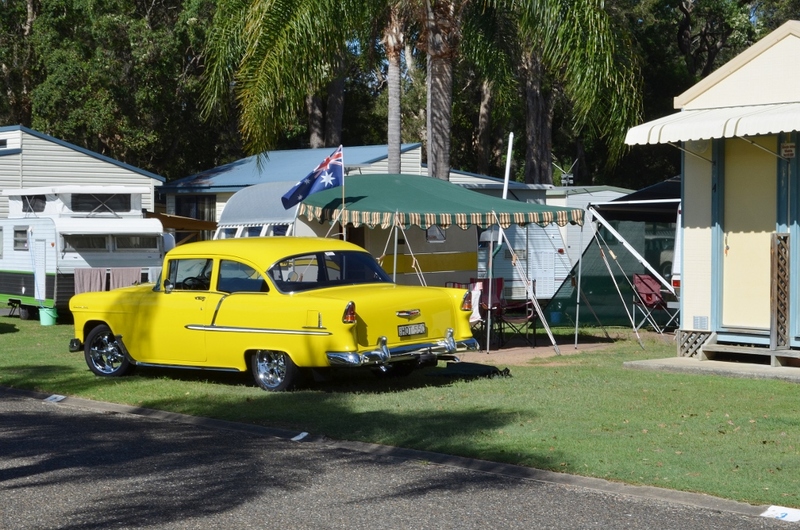 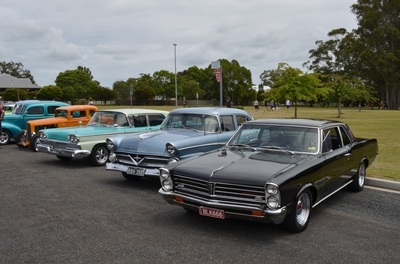 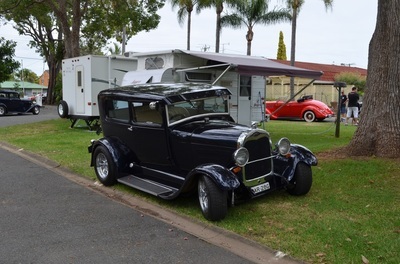 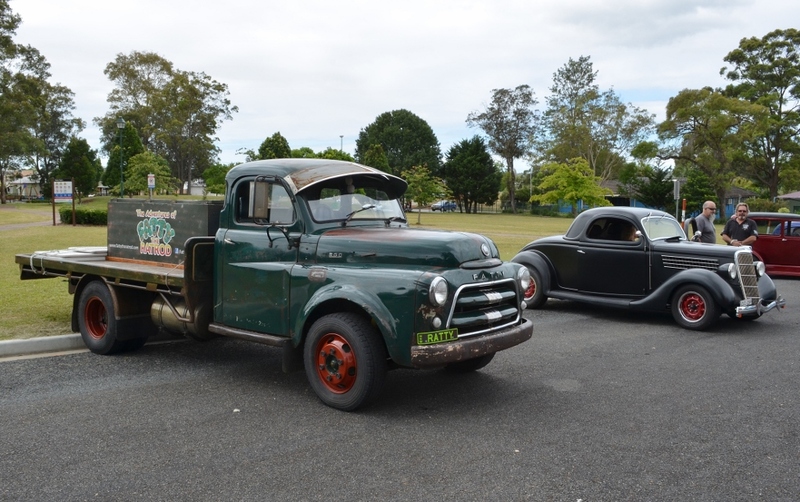 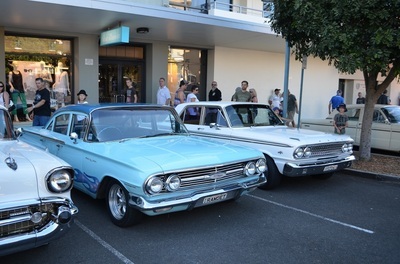 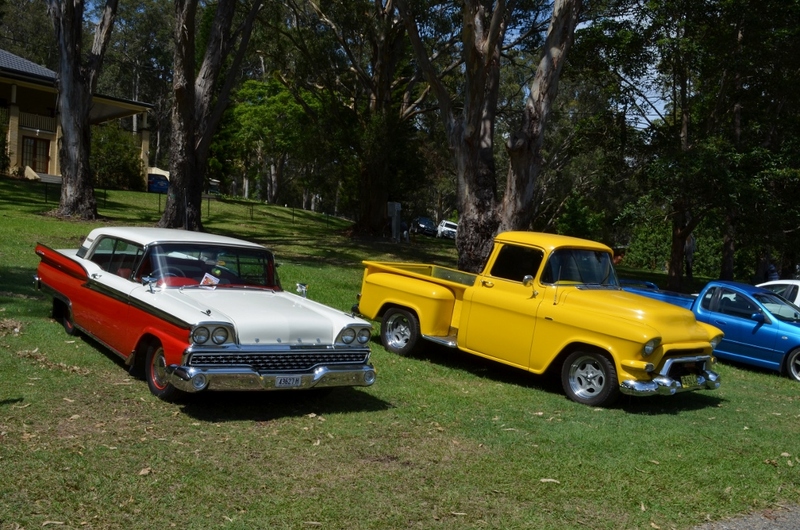 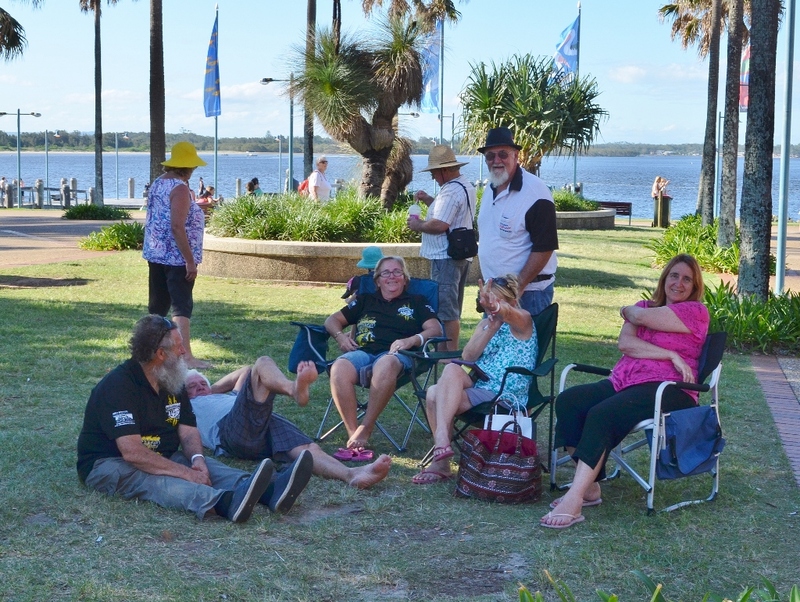 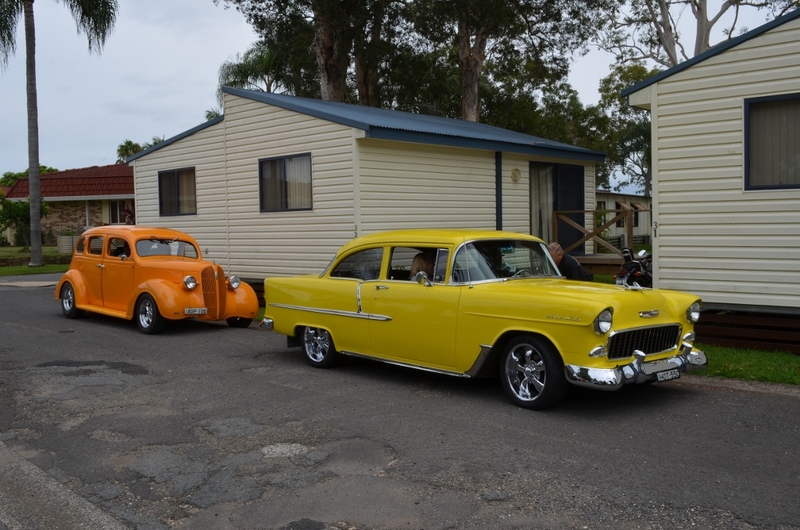 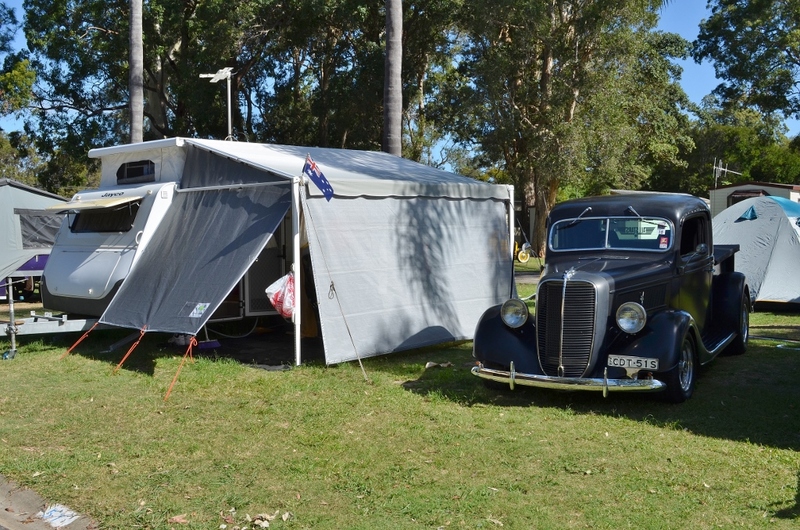 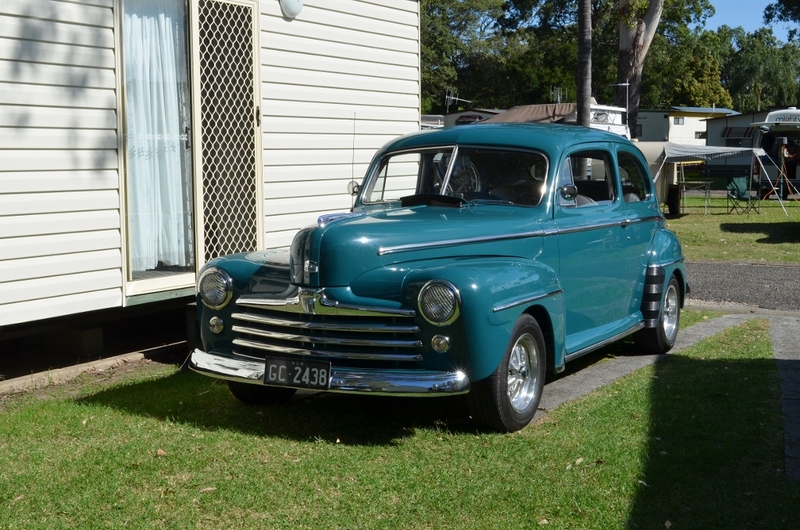 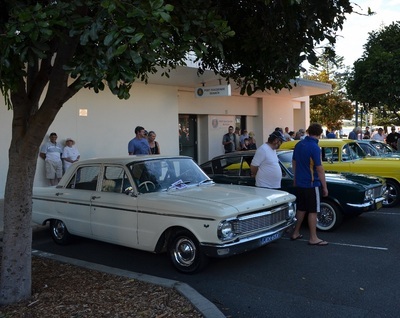 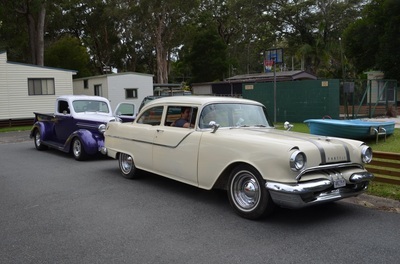 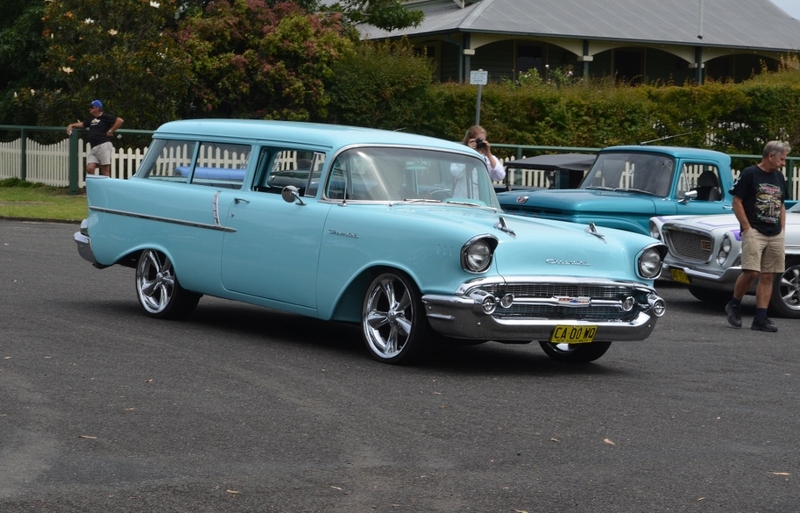 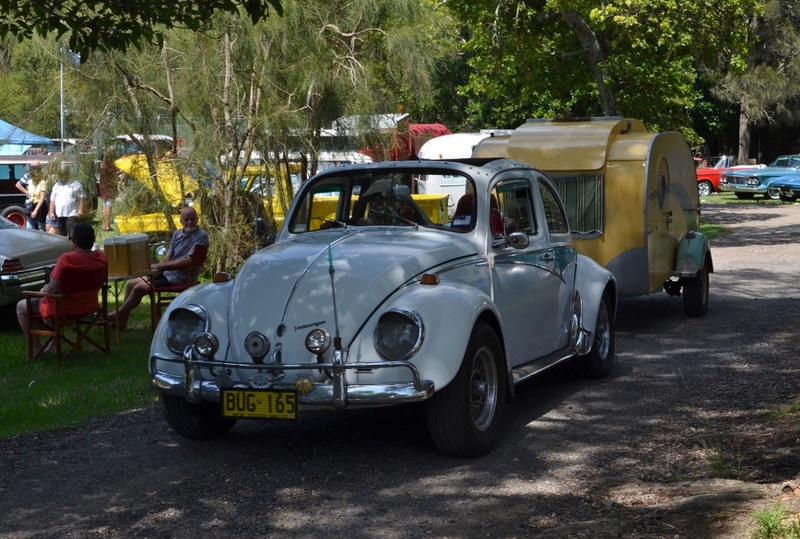 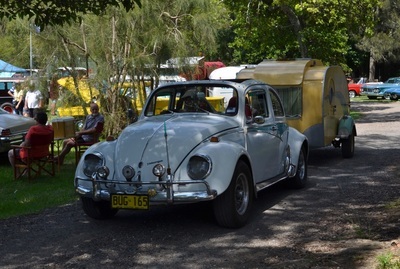 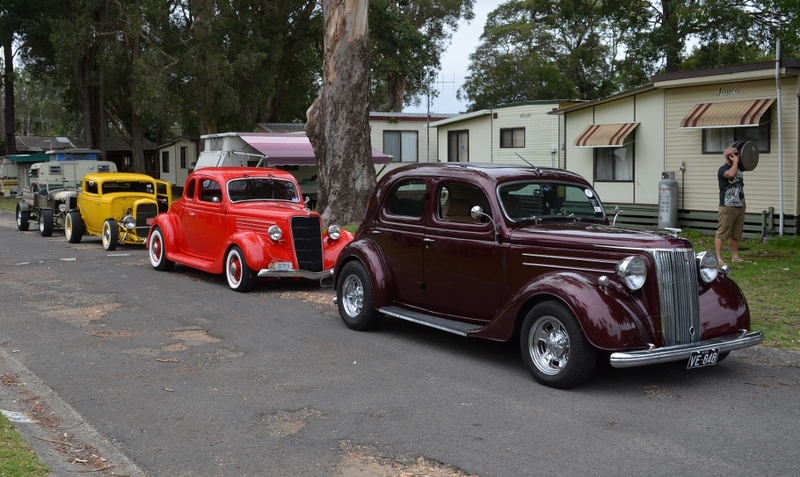 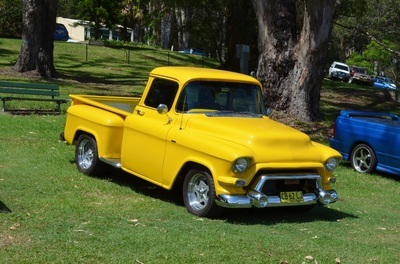 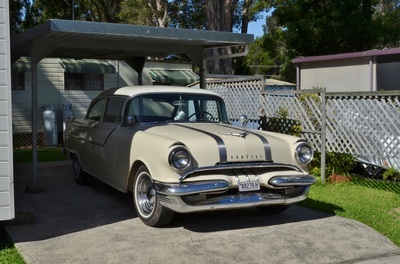 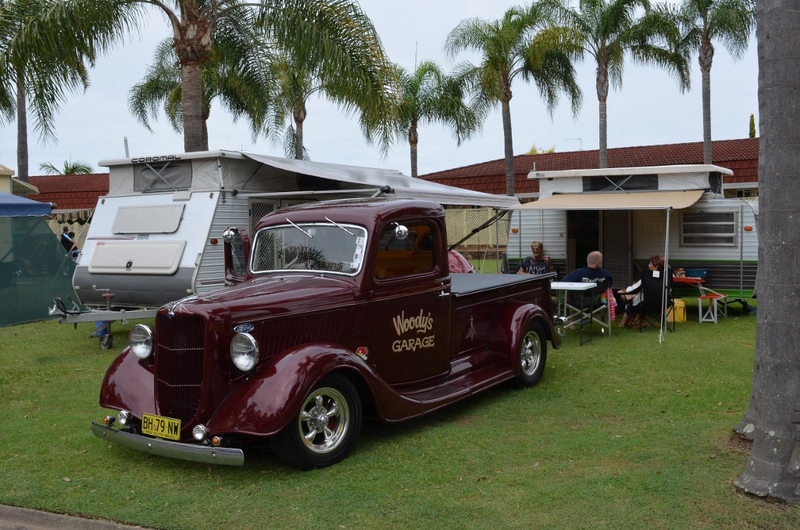 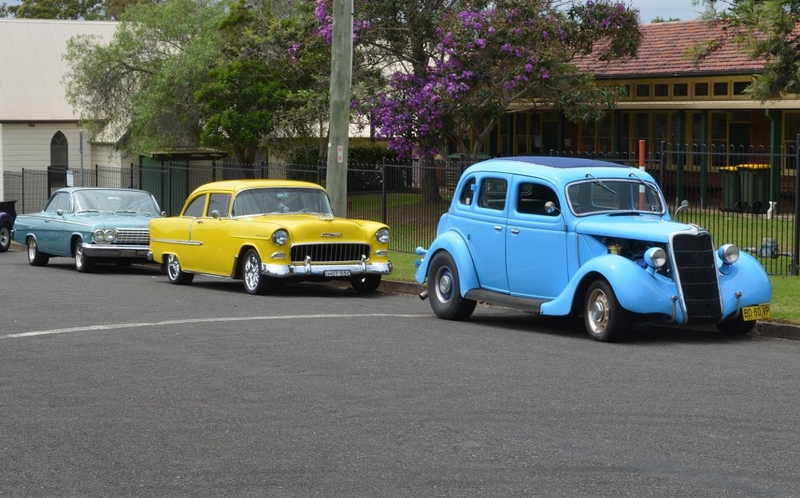 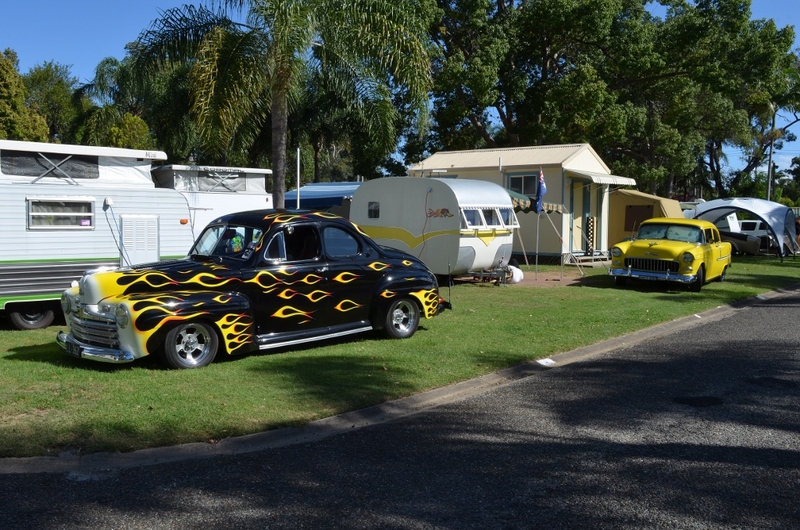 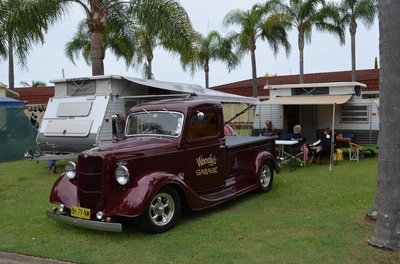 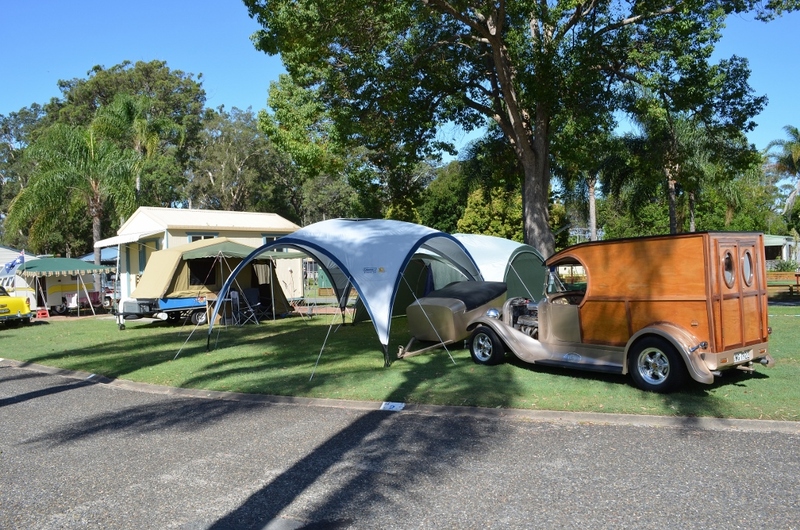 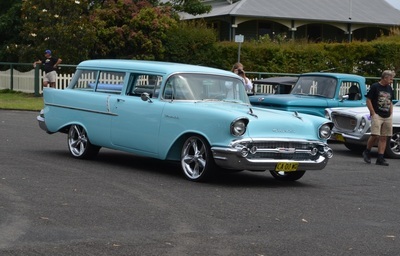 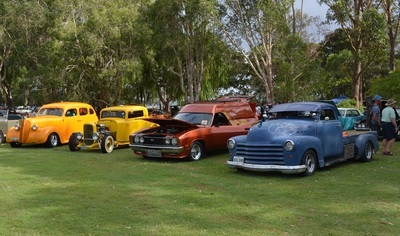 A drive in movie night on Saturday was a great event where they served Popcorn, Fairy Floss and Ice Cream. 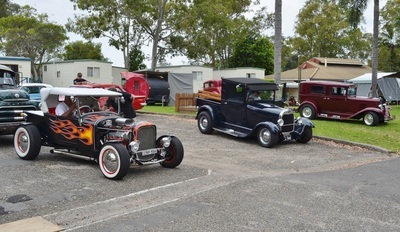 Sundays breakfast was Bacon and Eggs plus all the usual cereals etc. 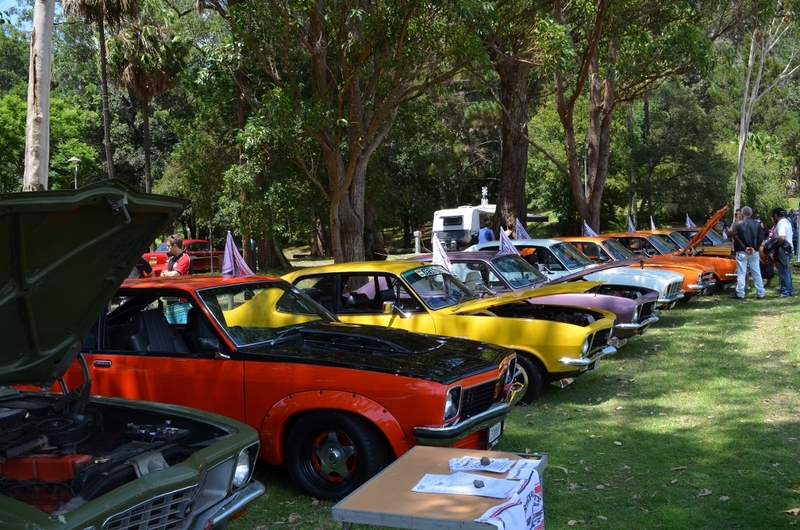 There were 119 entrants with a lot registering late this year and the trophy winners all deserved their awards. 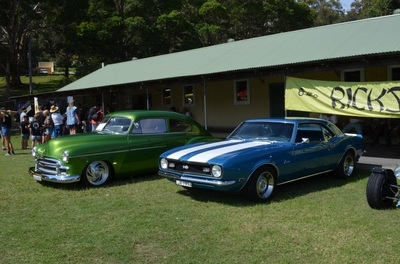 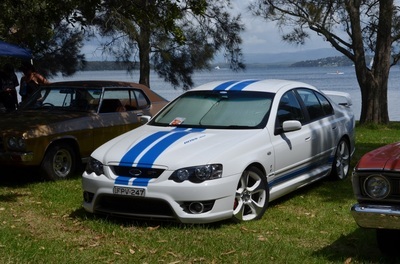 Our members were lucky in the Raffle with Col and Garry both winning prizes. 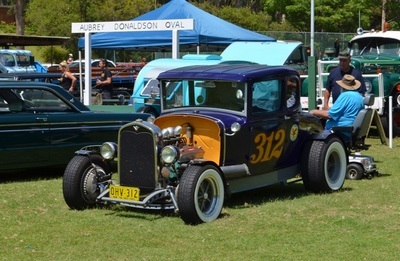 Paul Coombe took out the unwanted Hard Luck Trophy when his 32 Coupe threw a shock, but thanks to Sandy and others along with the help of a local fireman it was all put back together again. 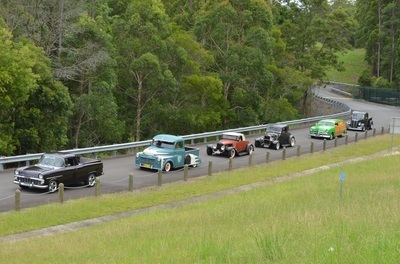 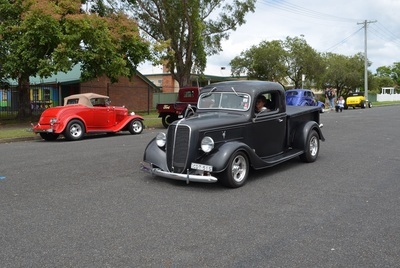 Thanks Coasters for putting on such a wonderful Rod Run and for the way you help all the entrants, especially when trouble strikes.